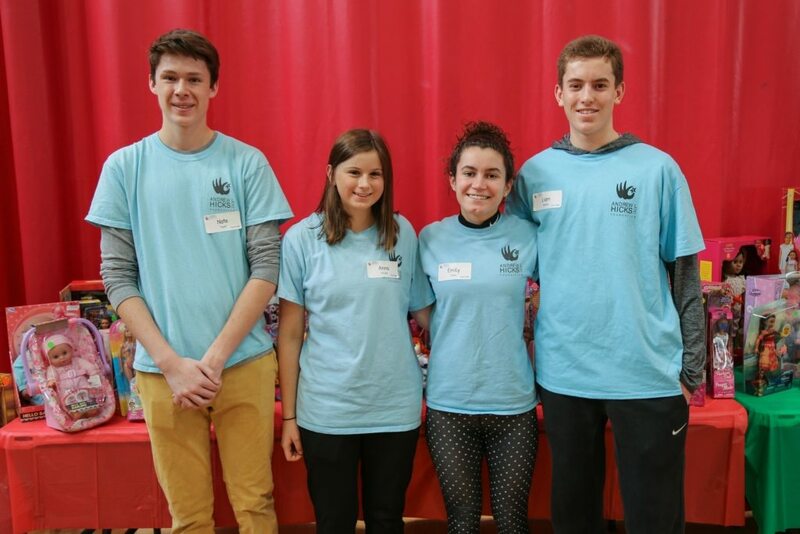 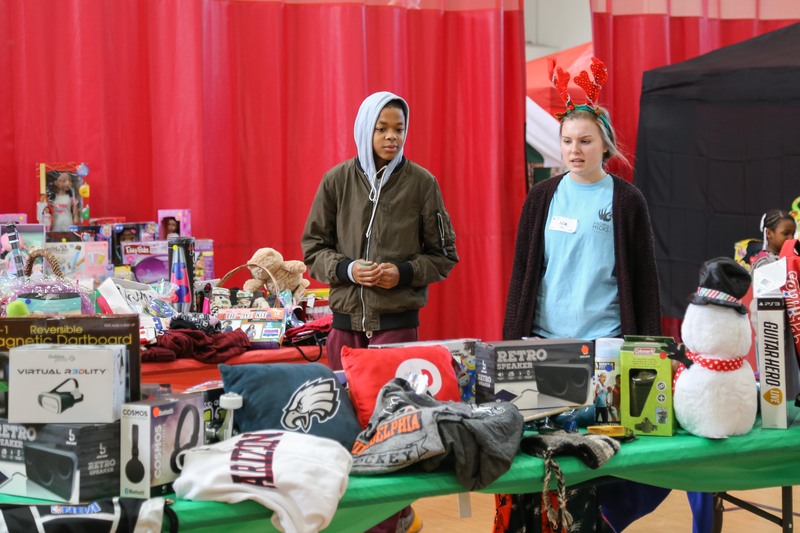 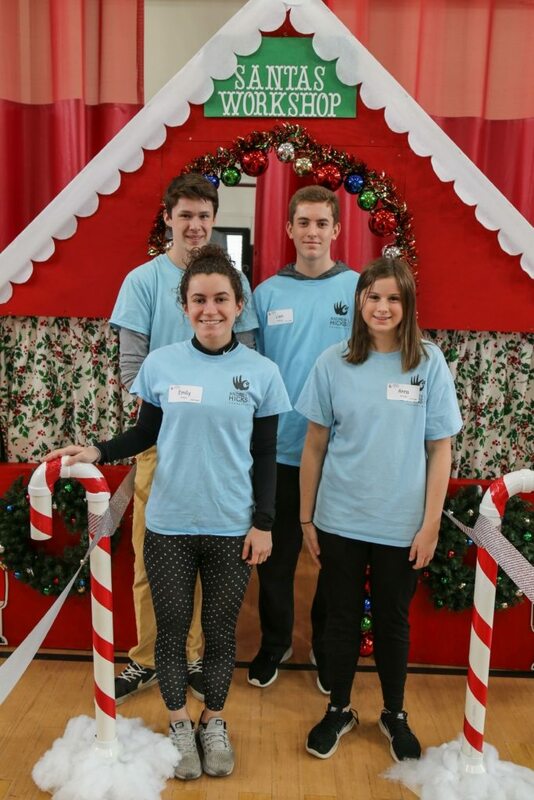 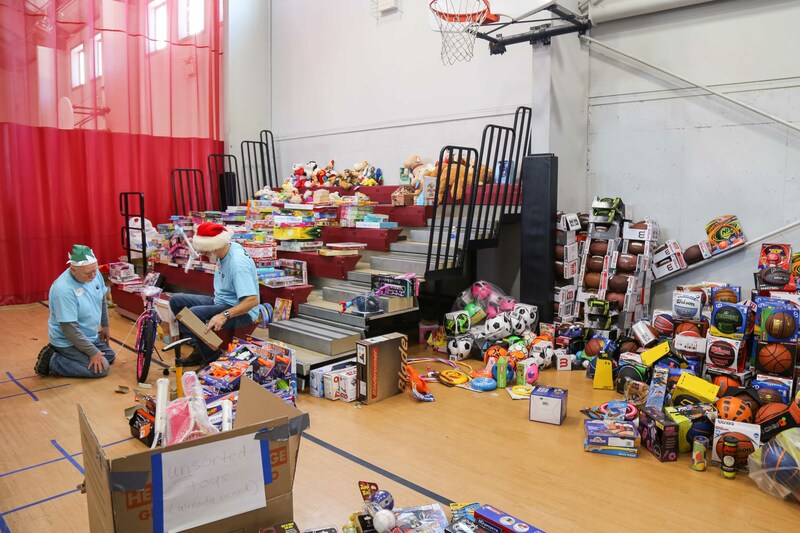 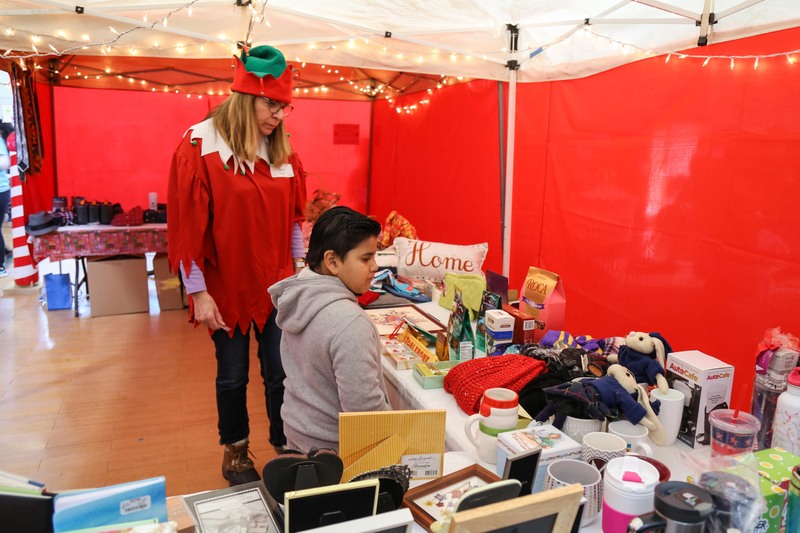 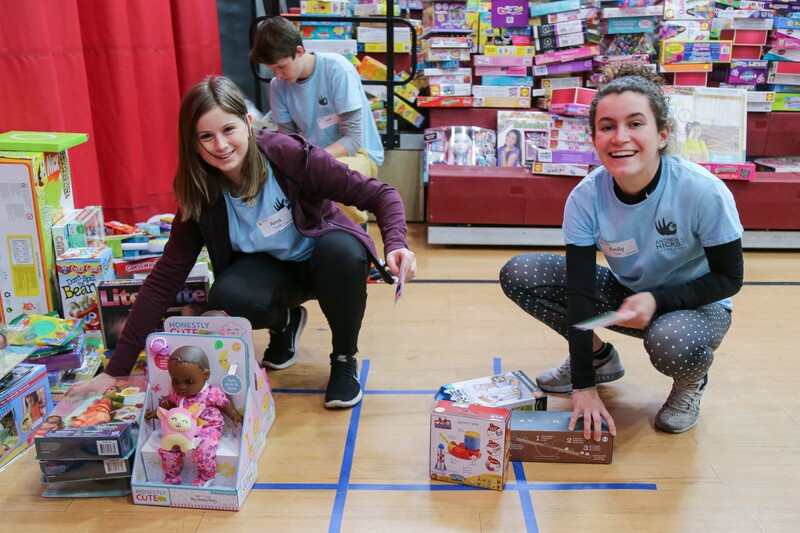 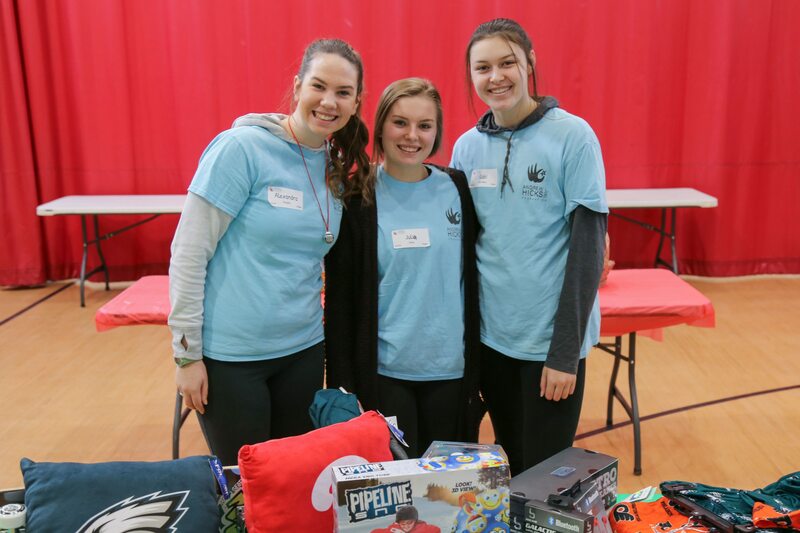 Throughout November and December, Henderson High School seniors, Anna Persick, Emily Franco, Nate Fuguet, and Liam Dowling have been working tirelessly collecting toys and planning our 8th Annual Christmas Toy Store for the children of Chester. They managed to collect 2,876 toys by putting collection boxes outside their homes as well as local participating businesses. 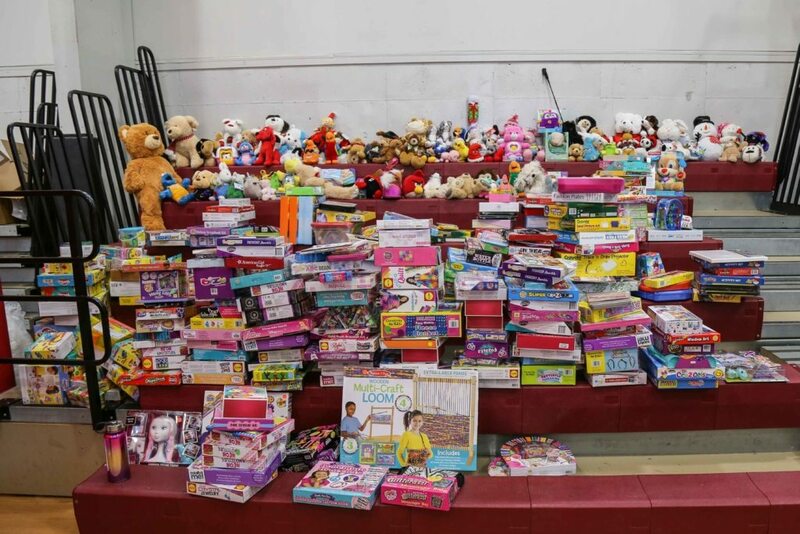 The community really stepped it up this year in helping our drive – this was the most toys collected in the 8 year history of this event. 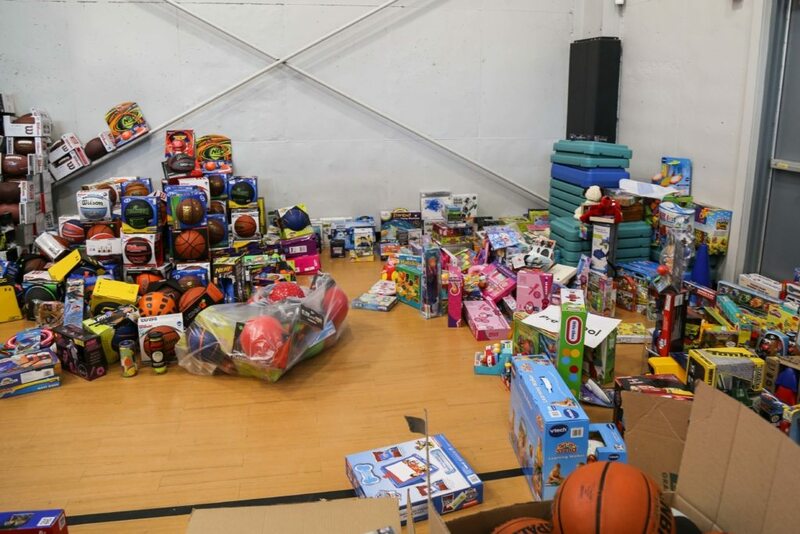 The Thursday before the event, all of the Toys were taken to Christ Community Church. 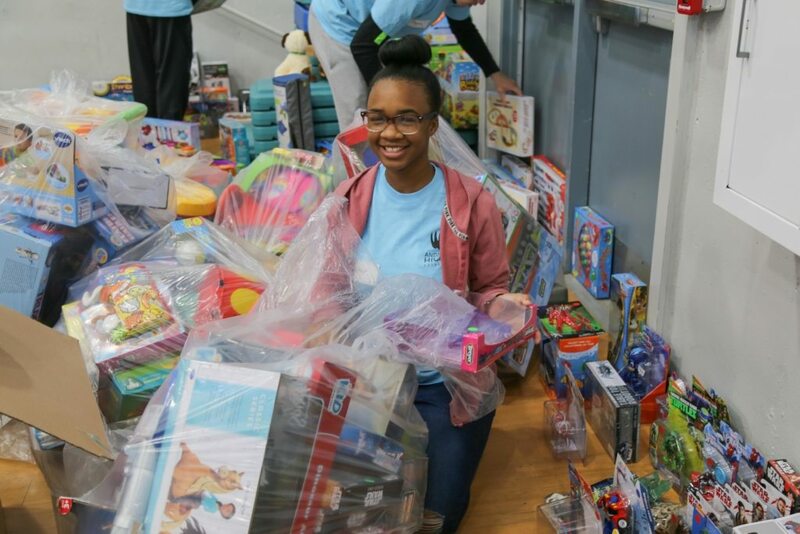 There, both the Men’s and Women’s group helped us unload the truck of toys and then sort, tag, and reload them back on the truck ready tobe taken down to Chester on Saturday. 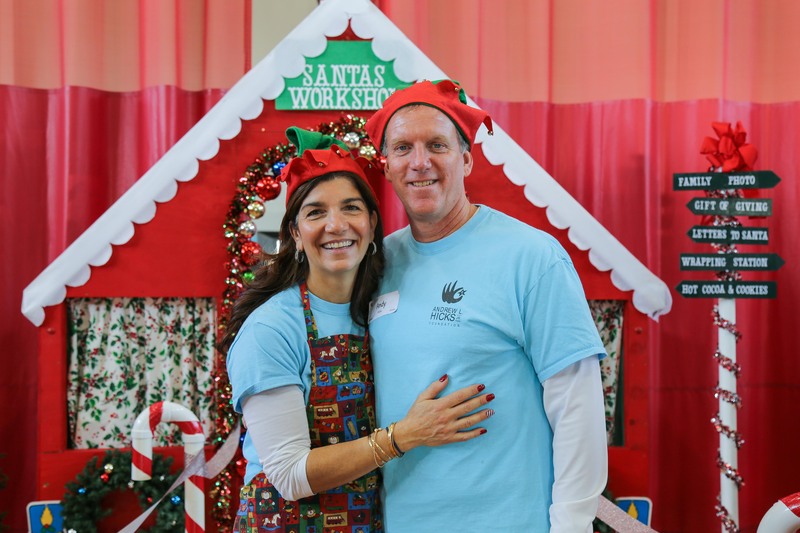 We are so thankful for their tremendous work, they make a daunting task so much easier. 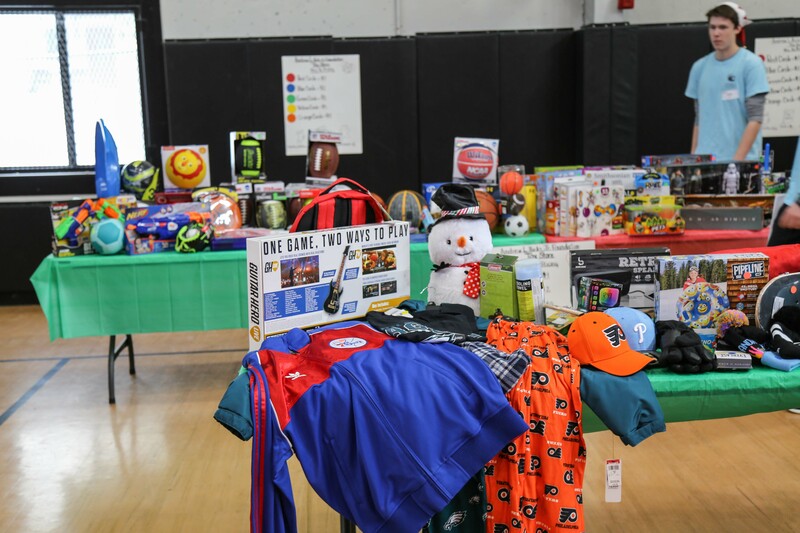 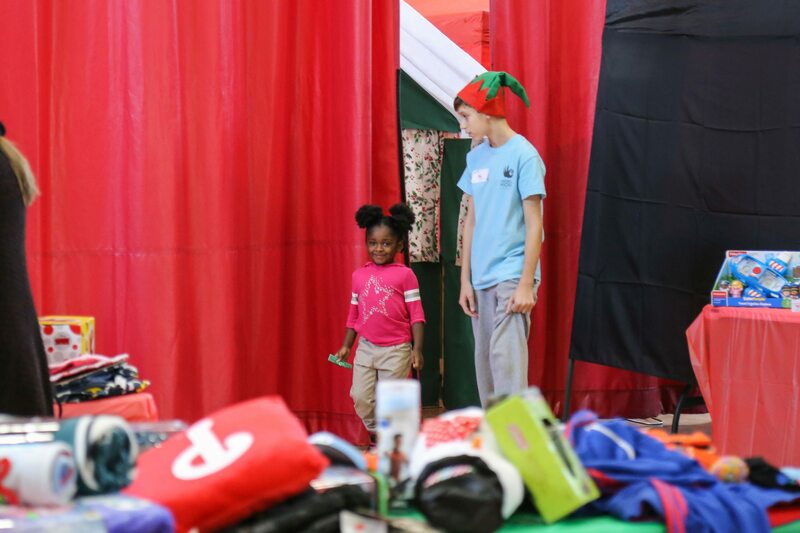 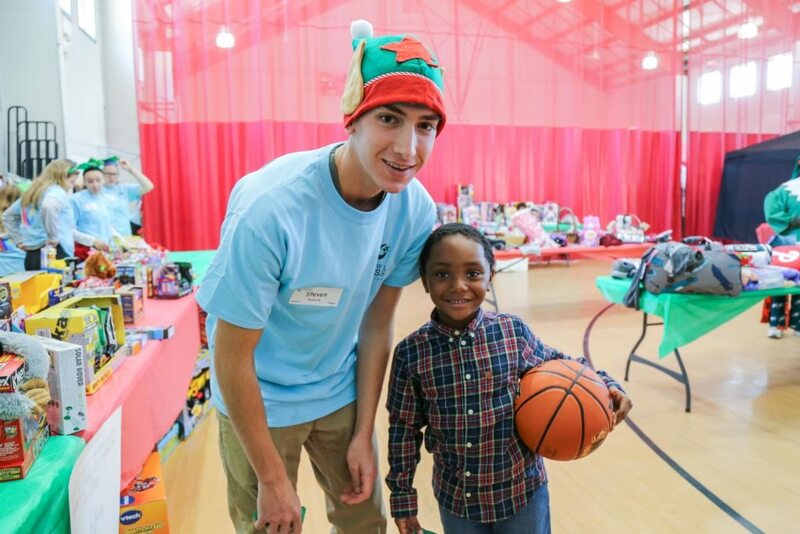 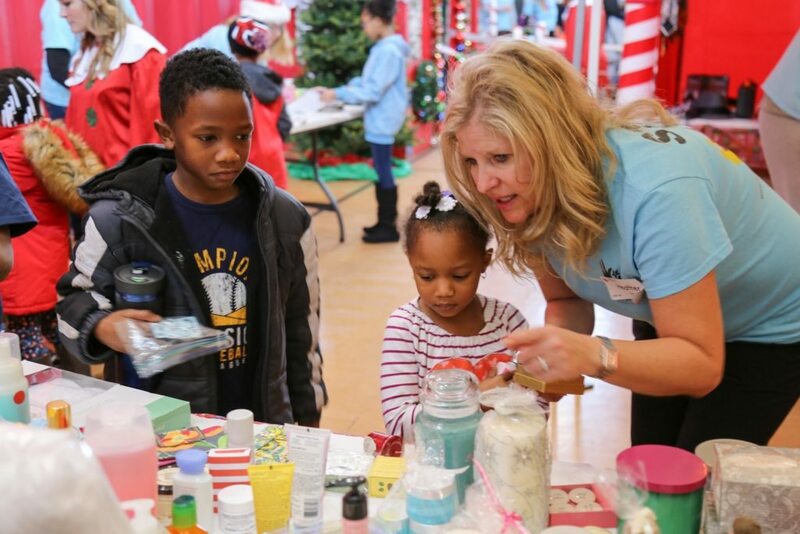 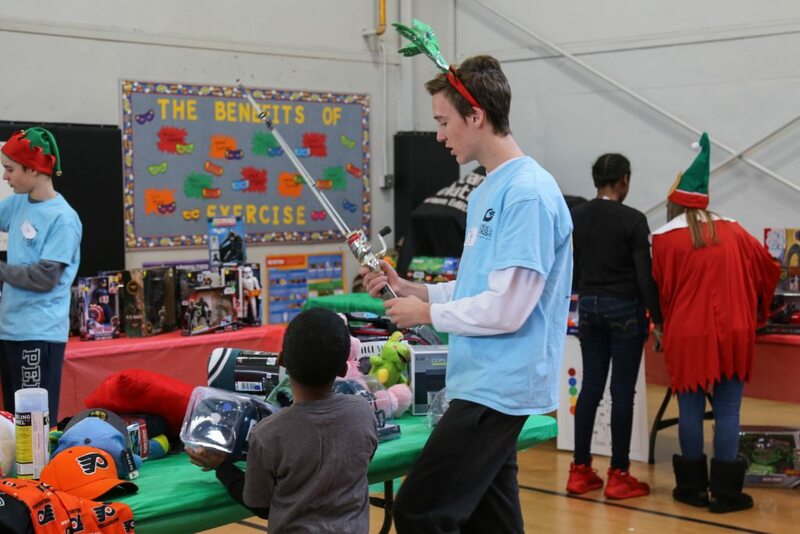 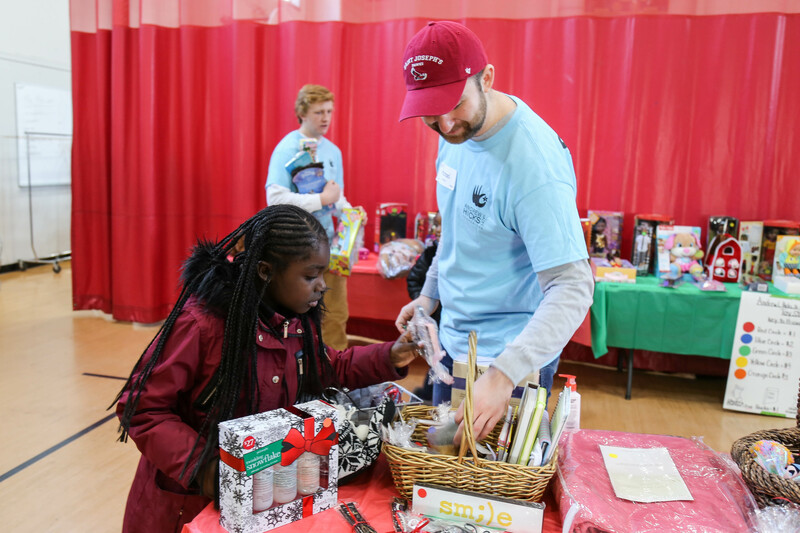 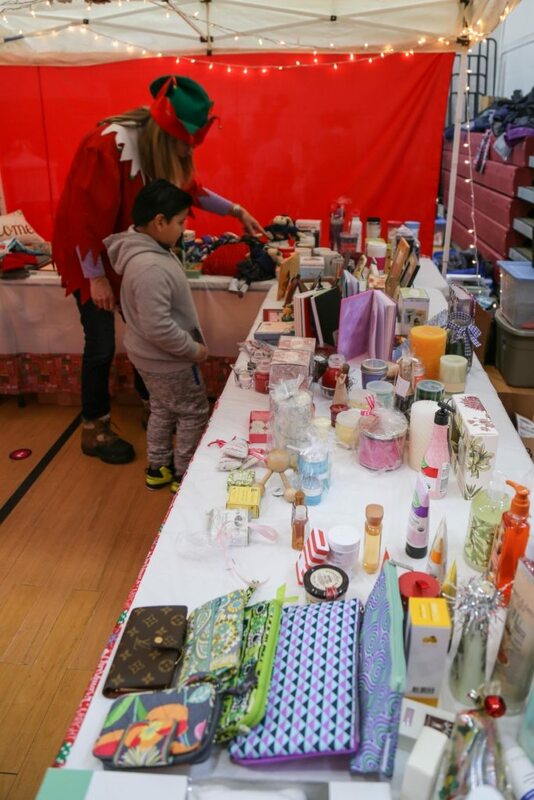 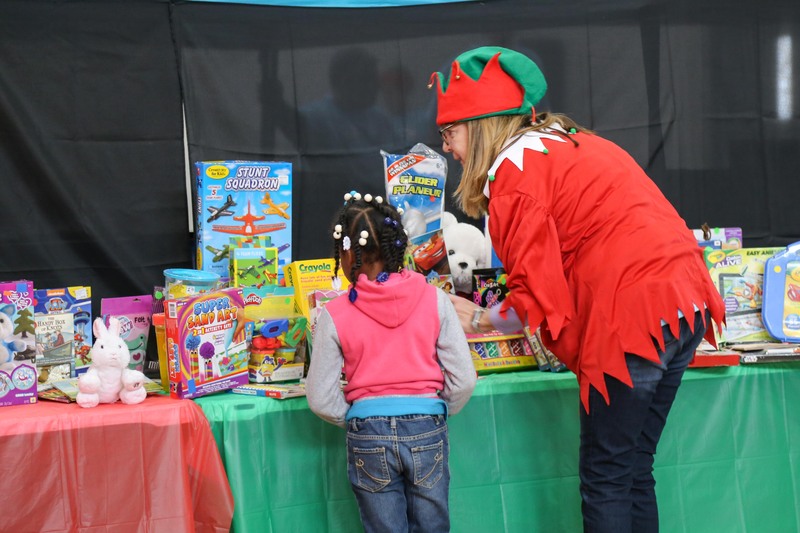 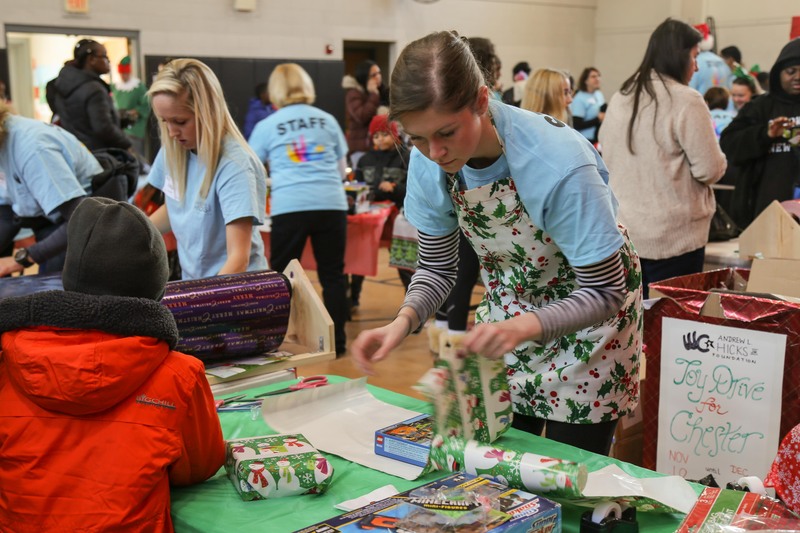 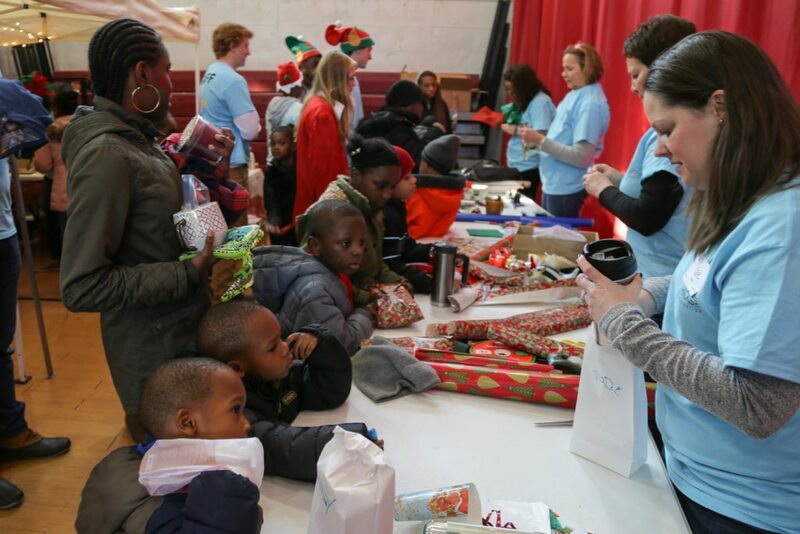 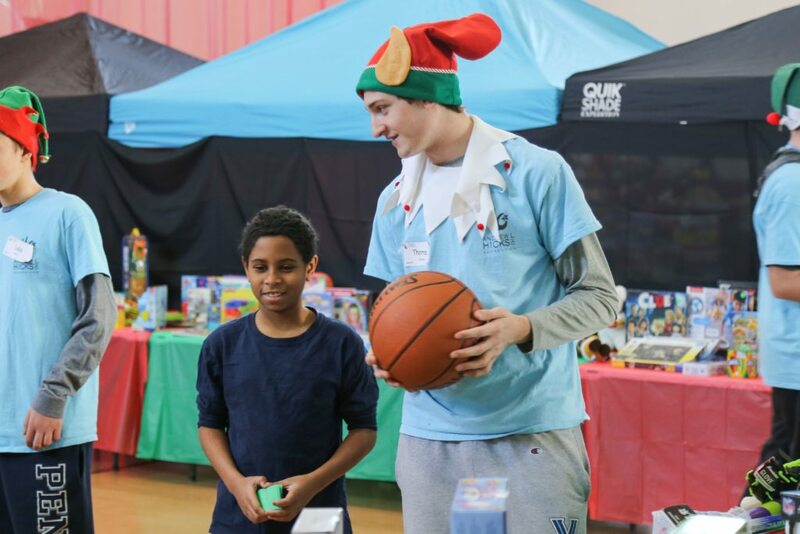 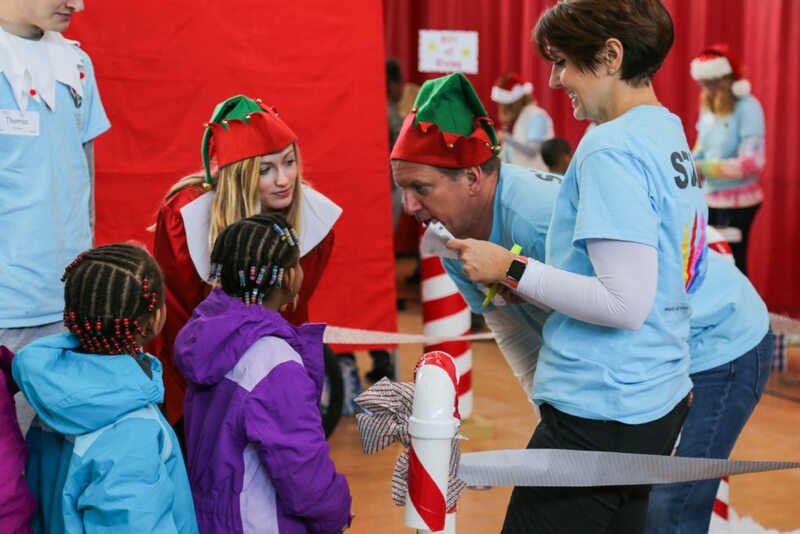 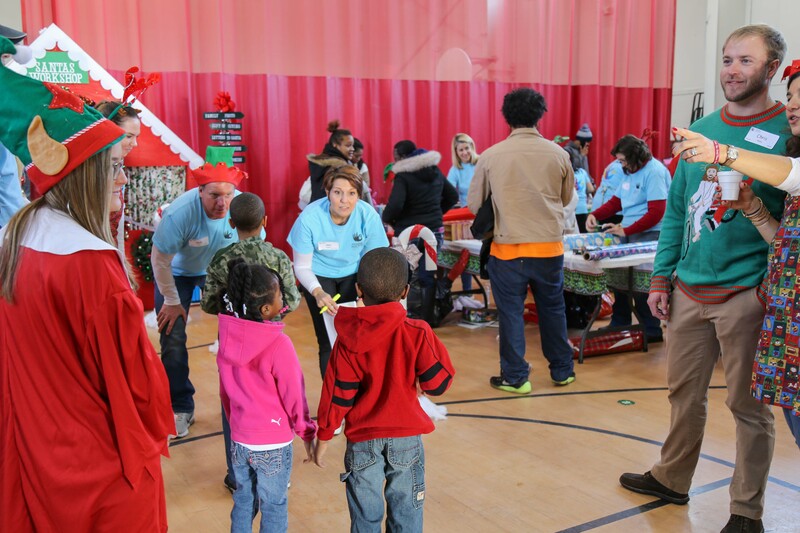 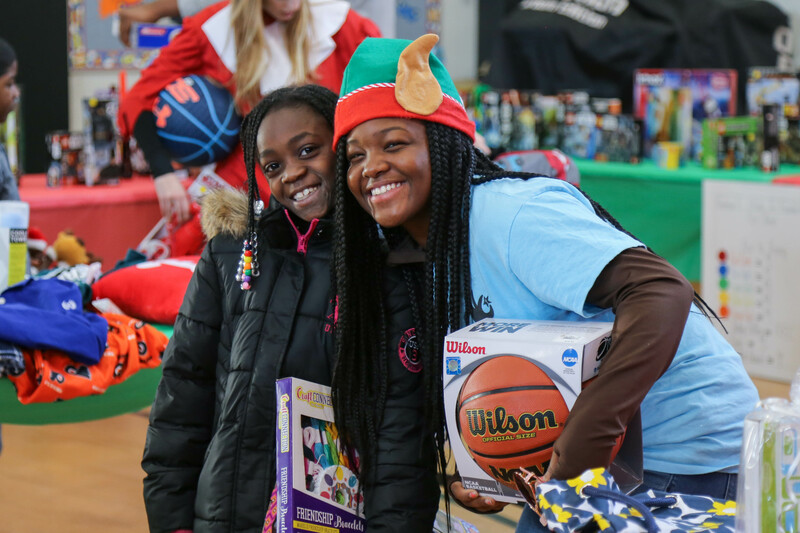 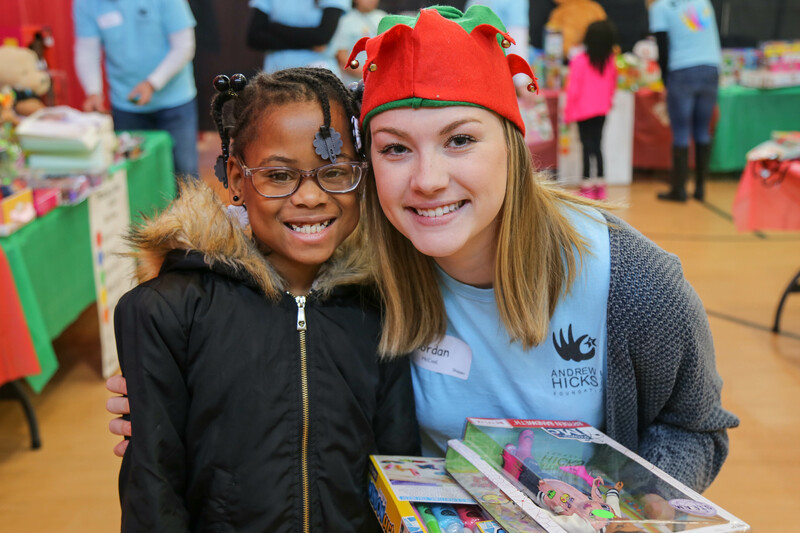 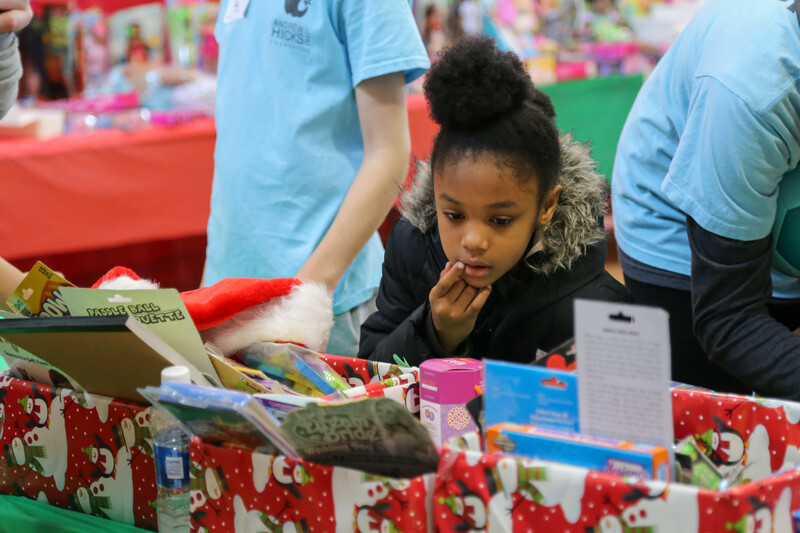 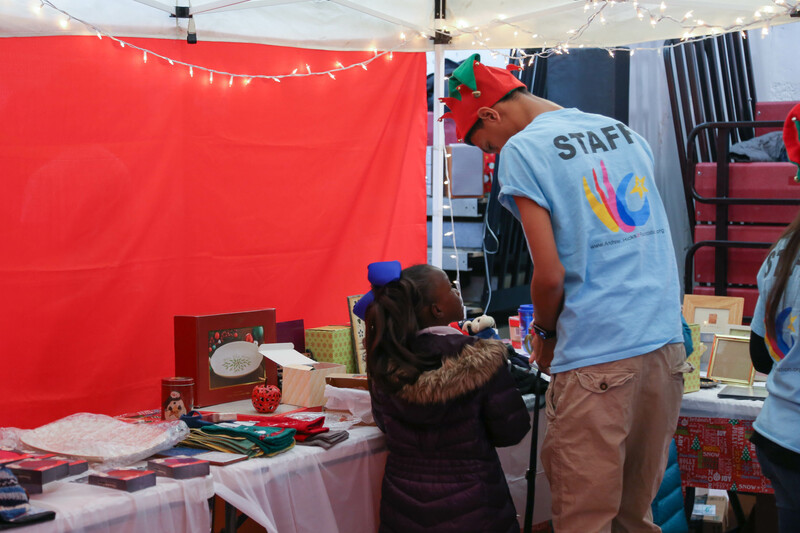 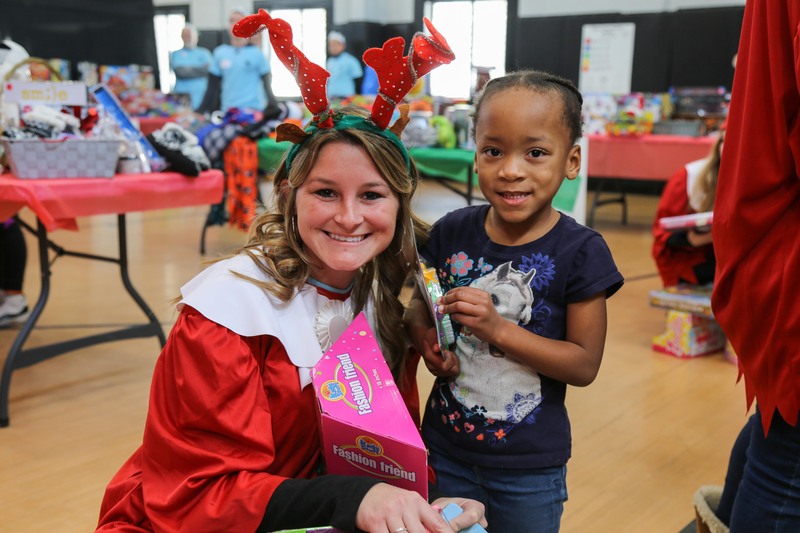 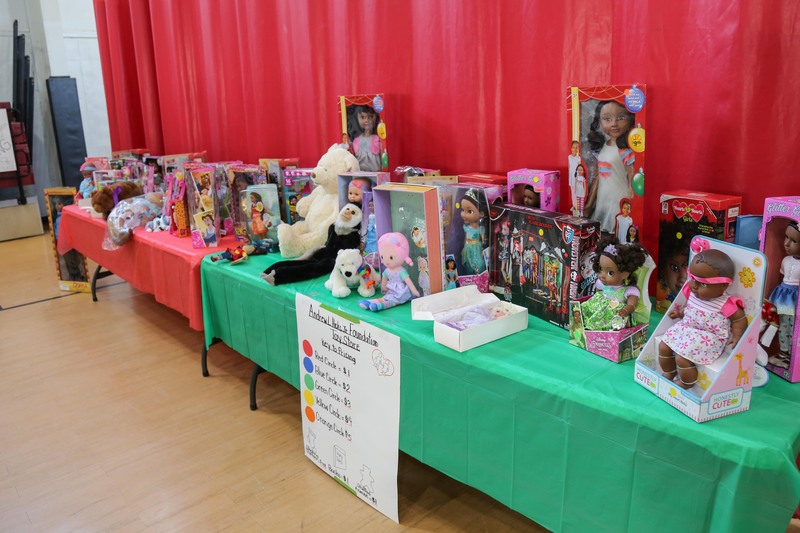 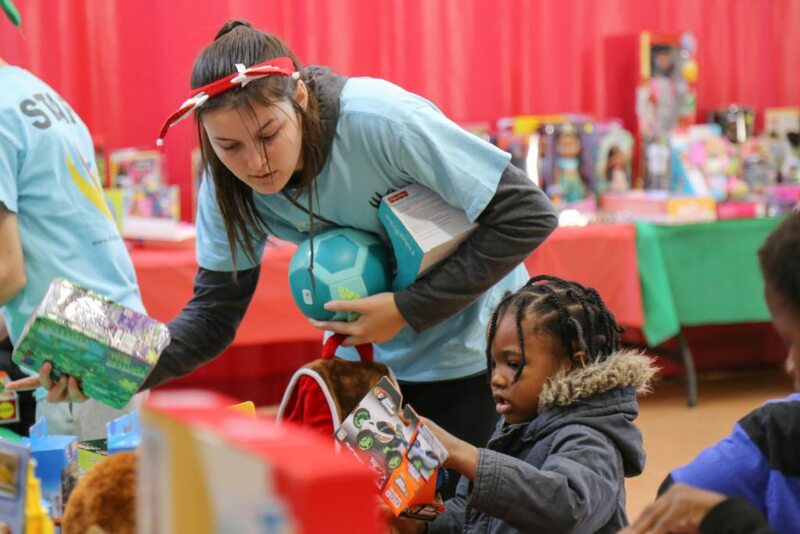 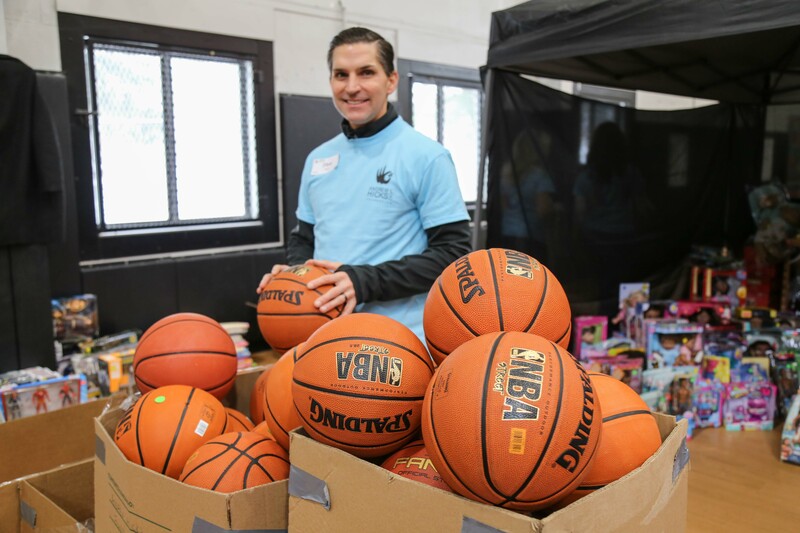 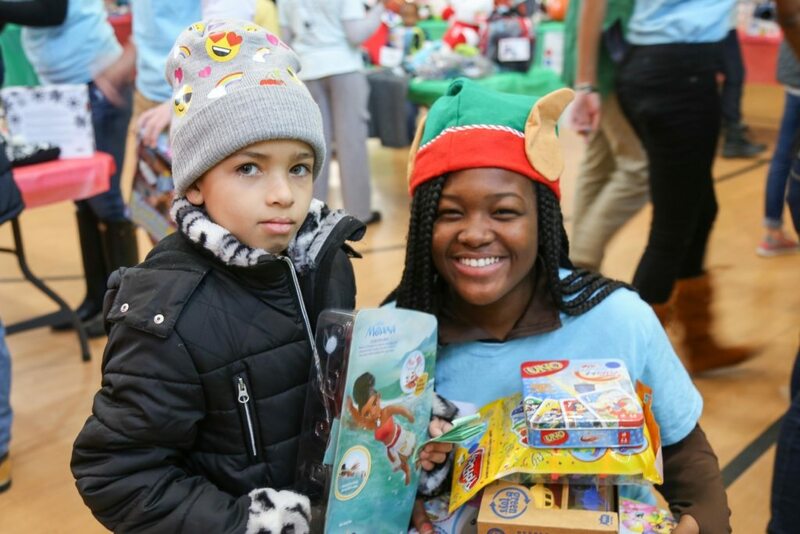 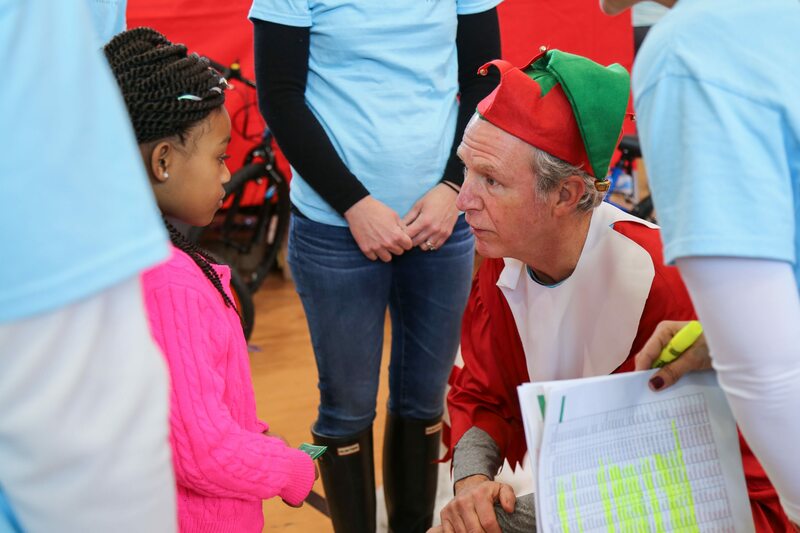 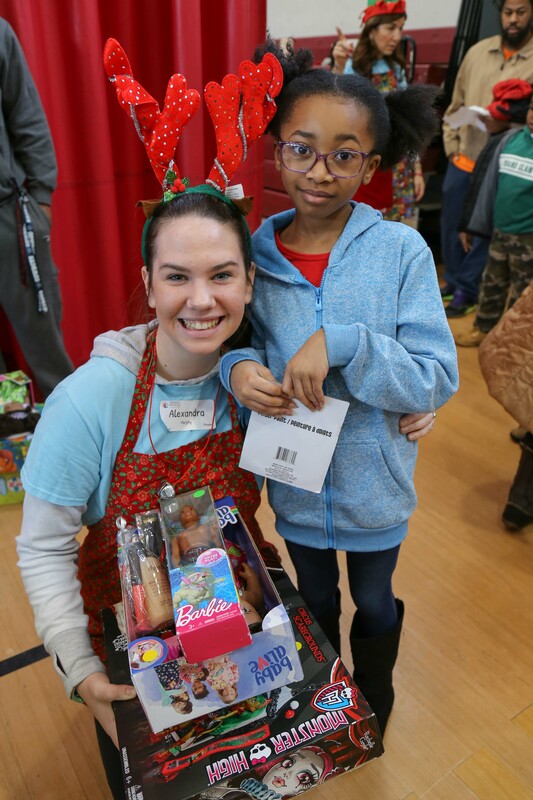 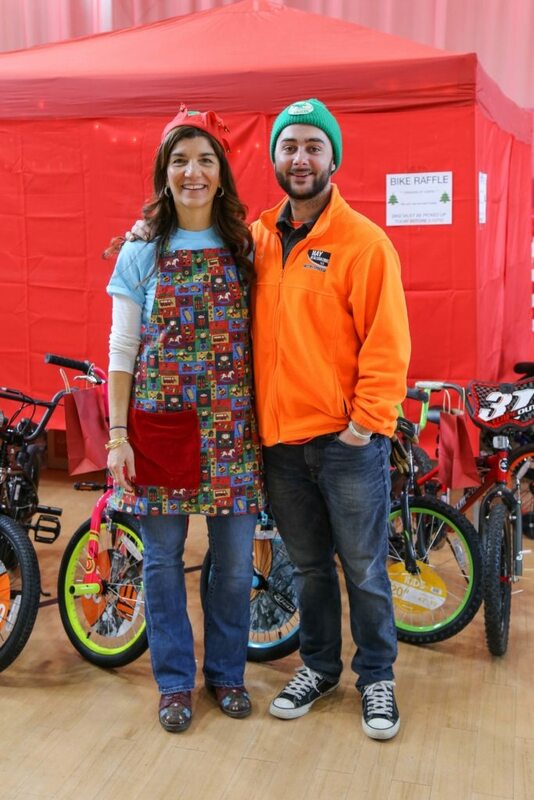 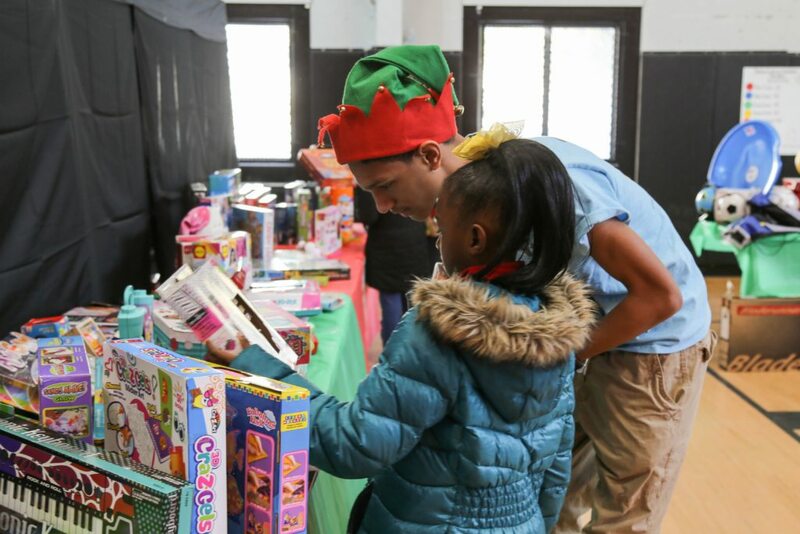 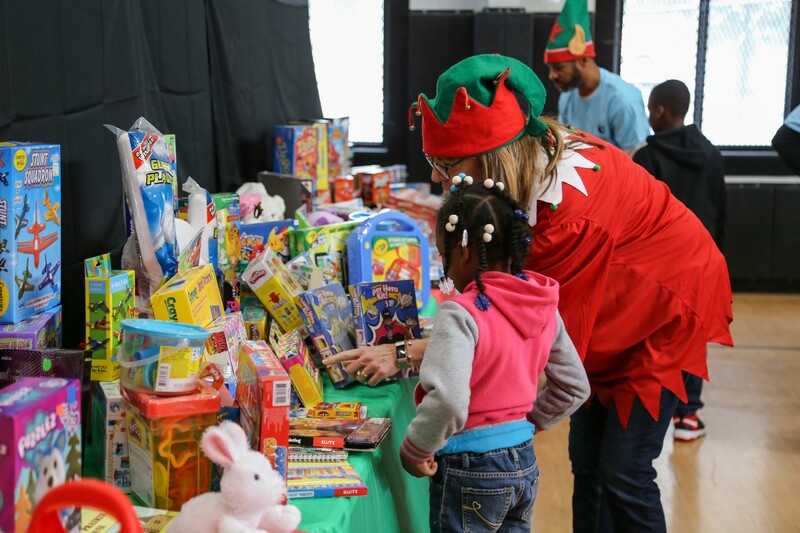 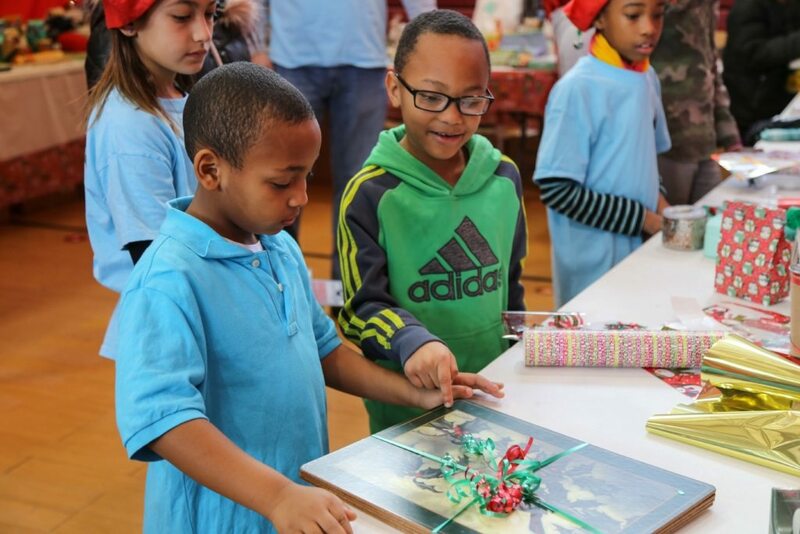 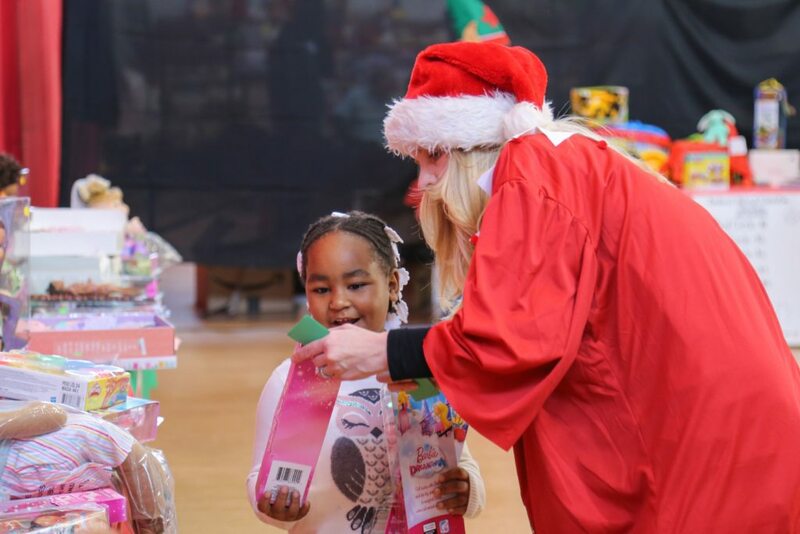 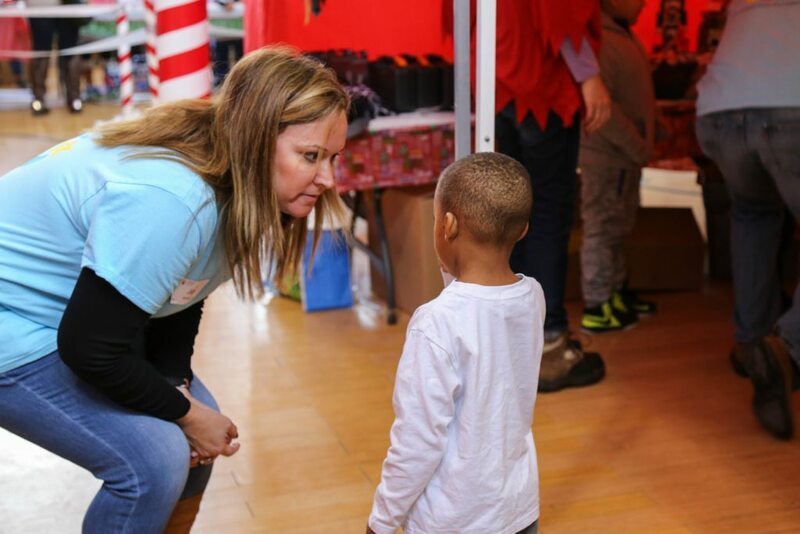 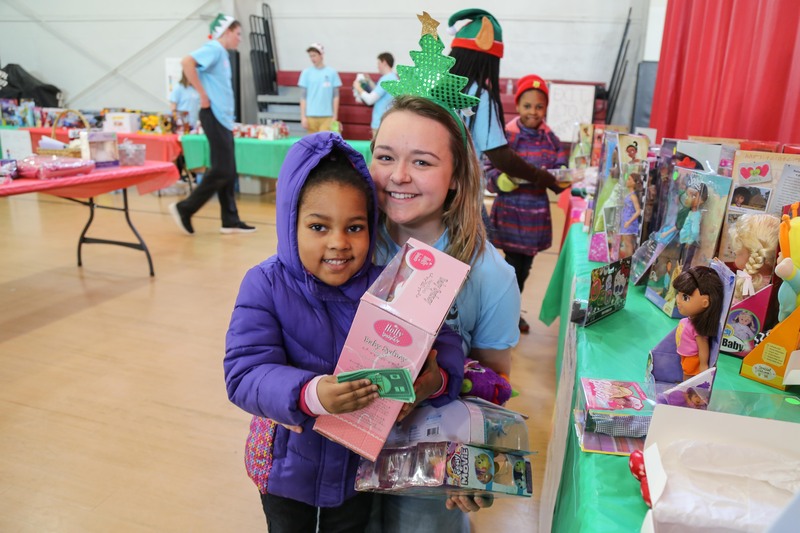 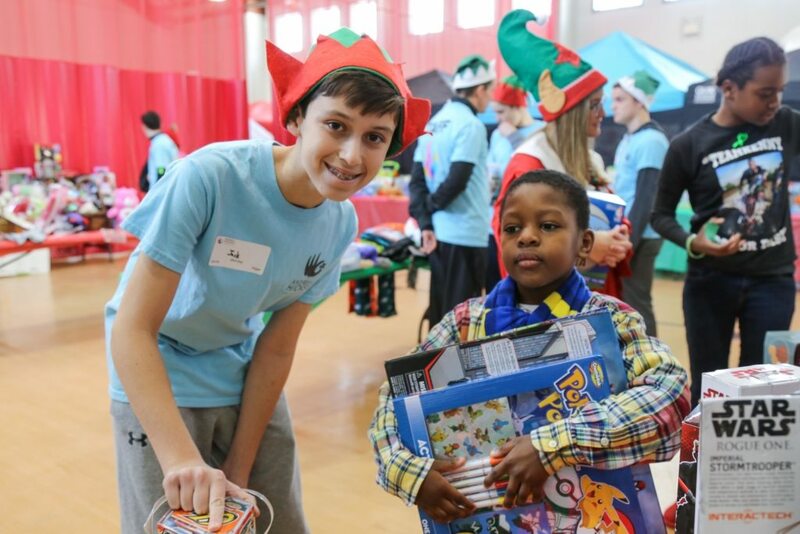 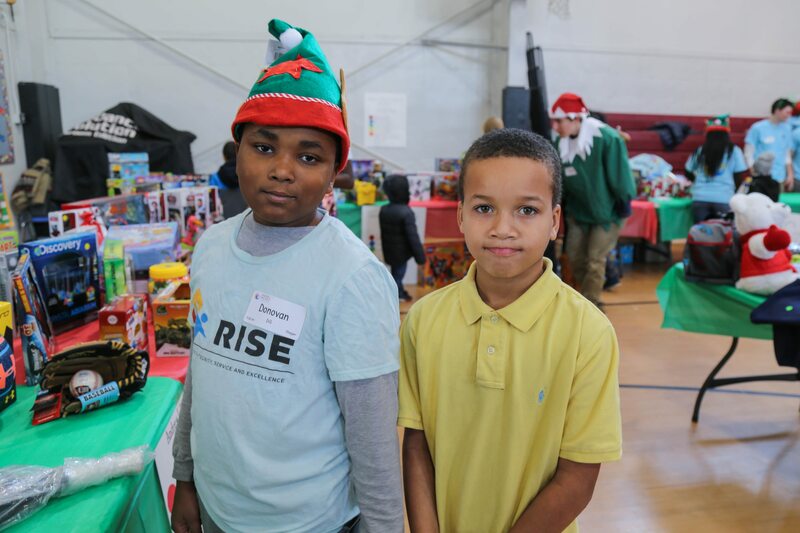 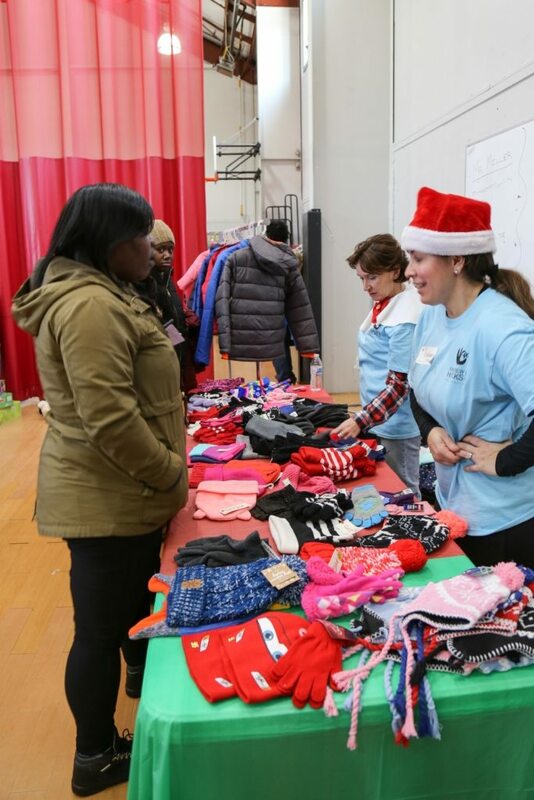 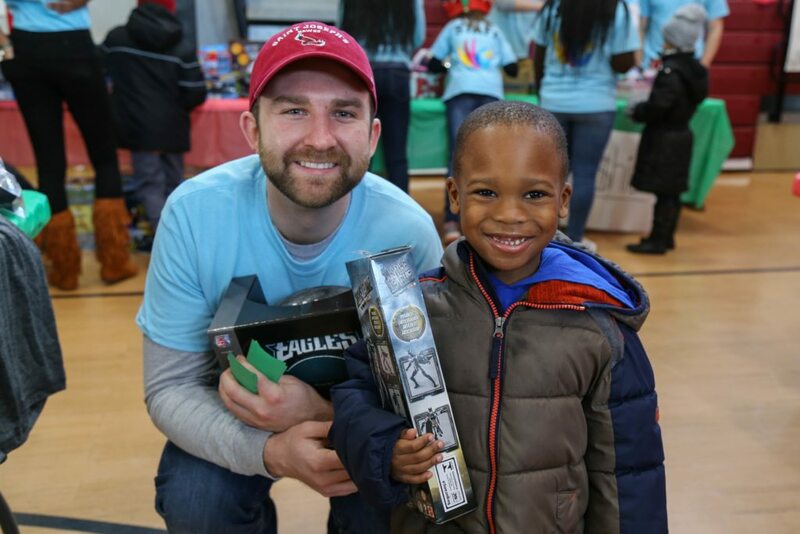 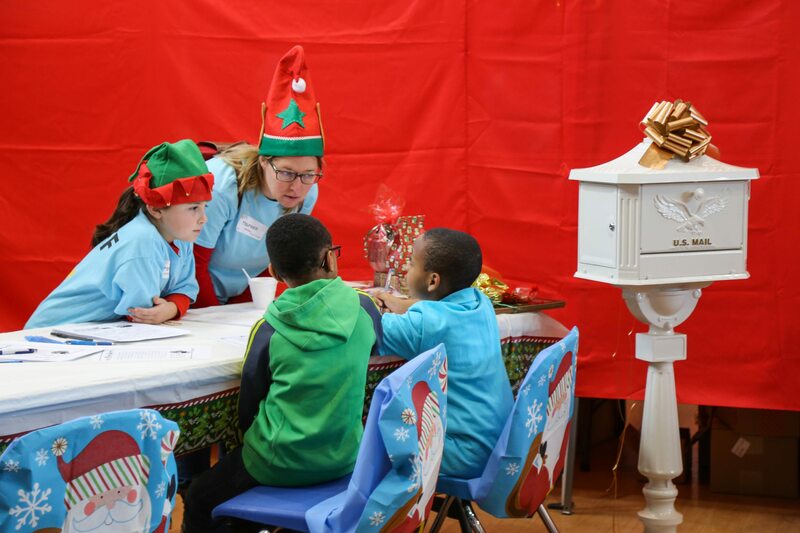 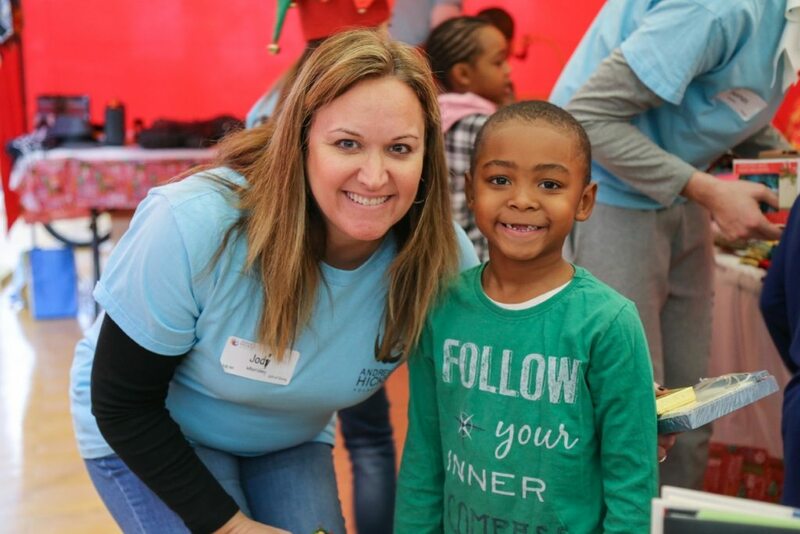 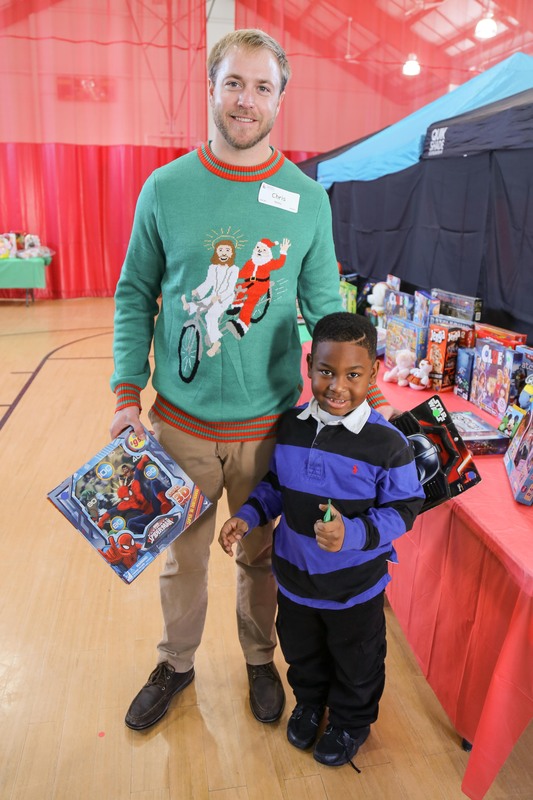 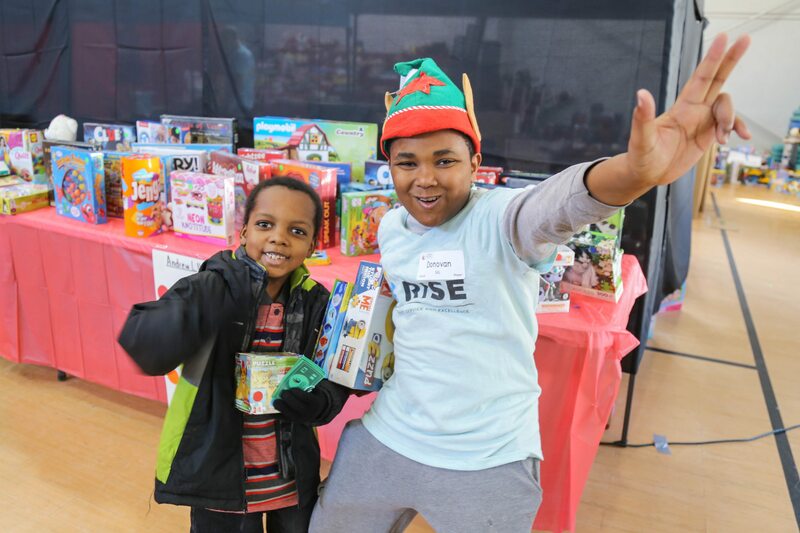 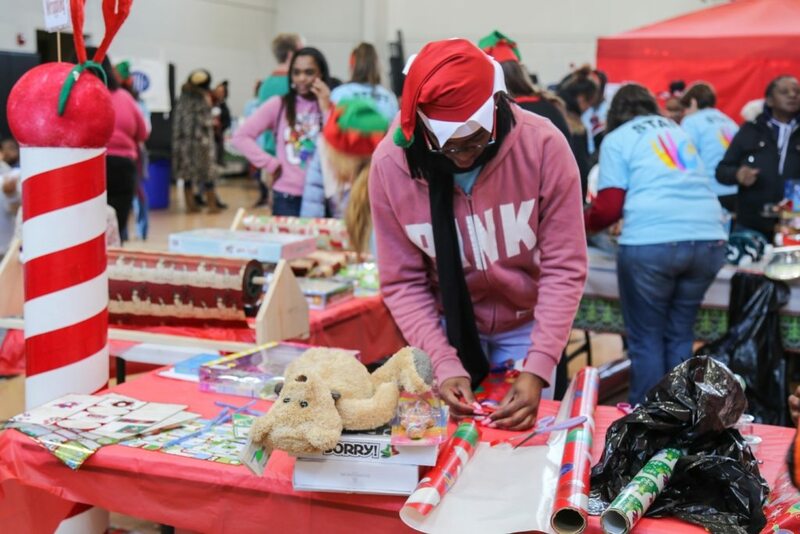 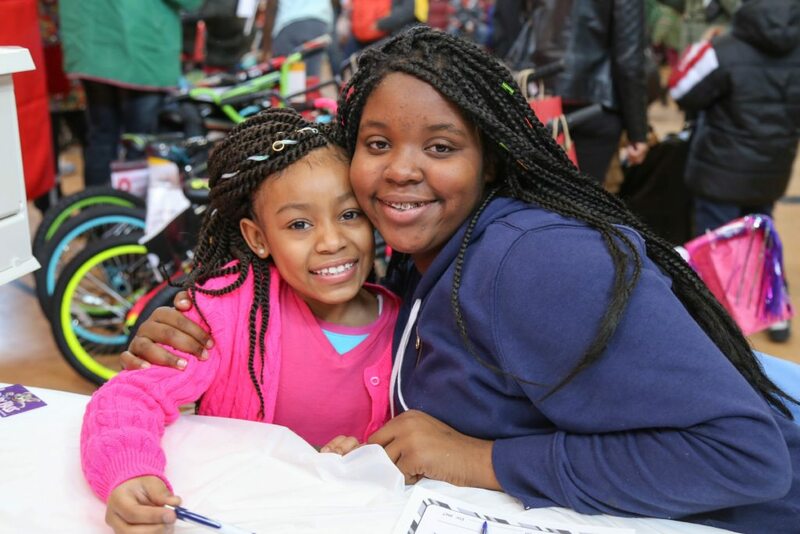 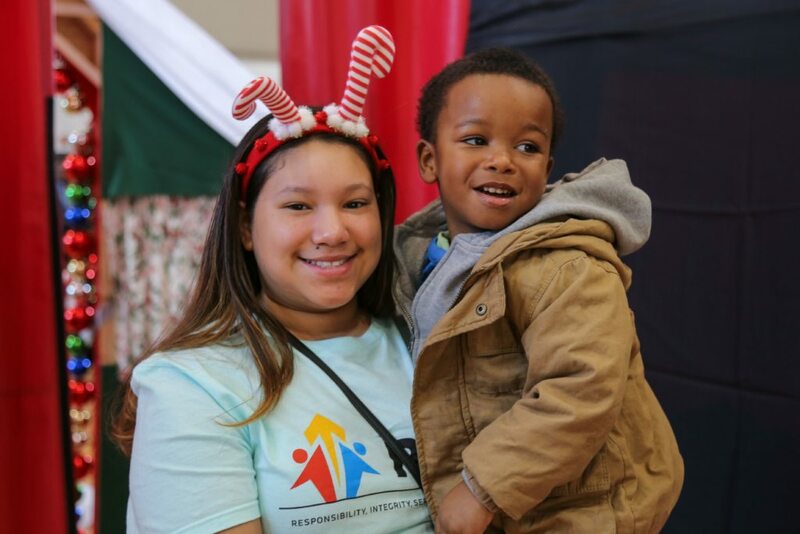 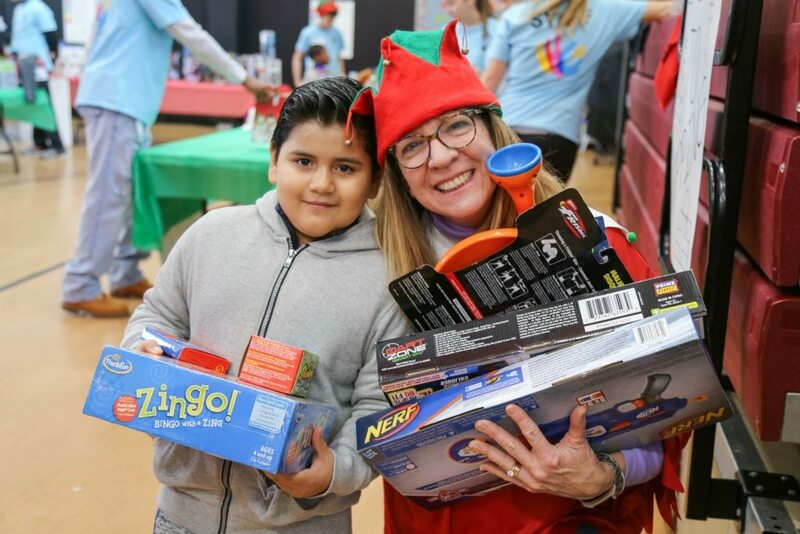 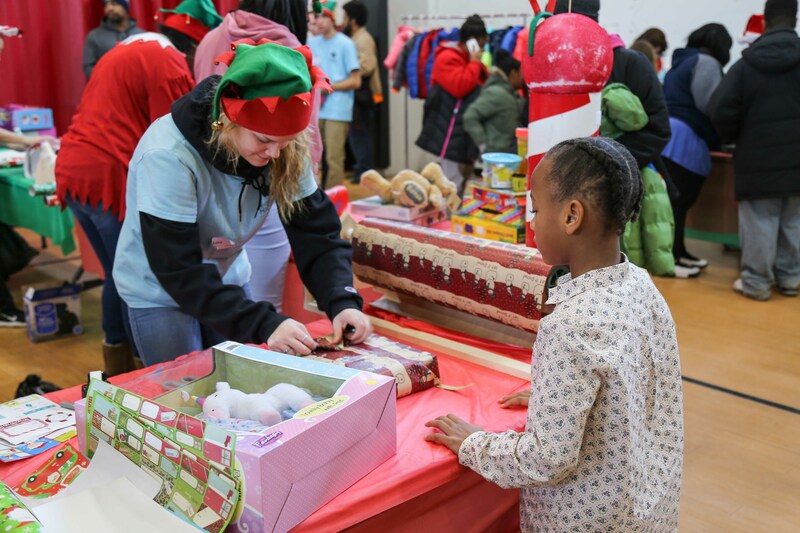 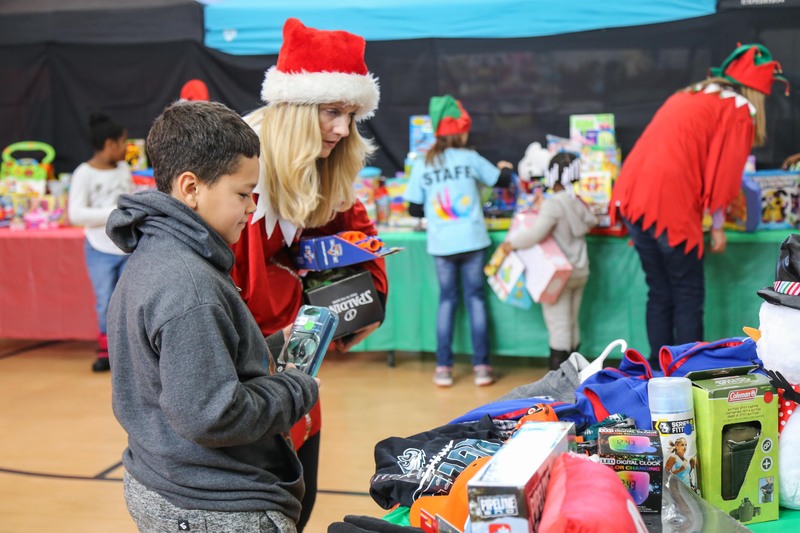 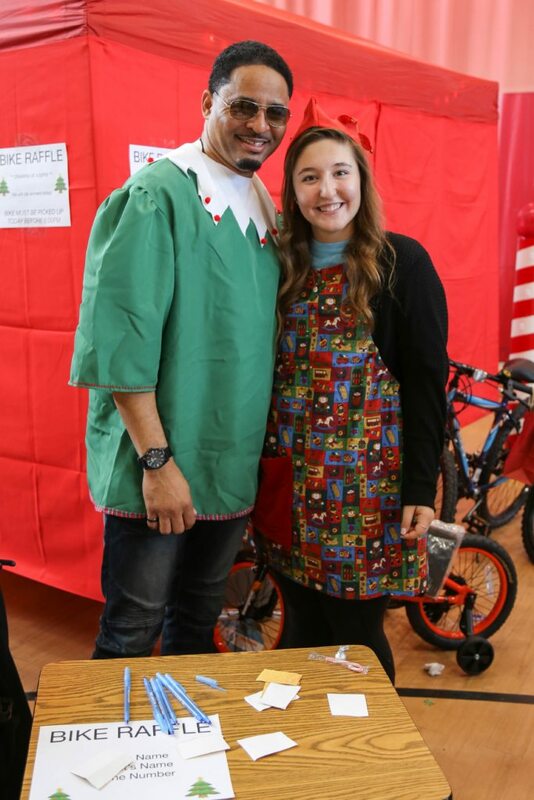 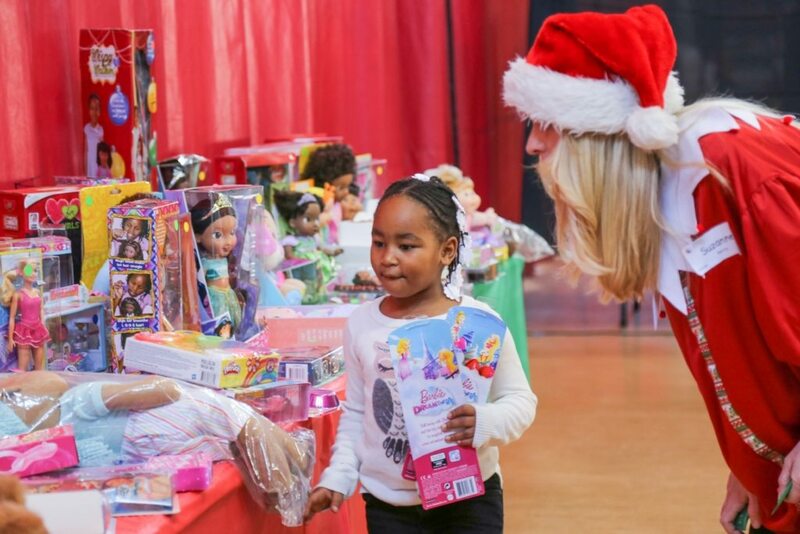 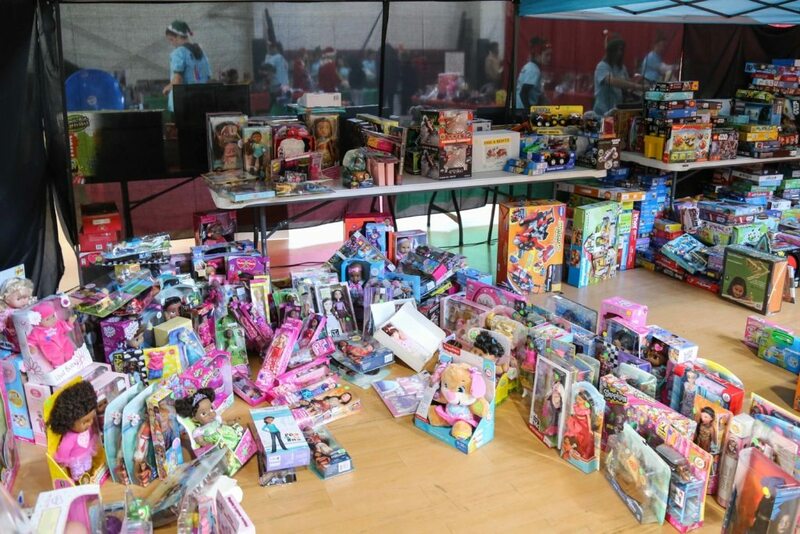 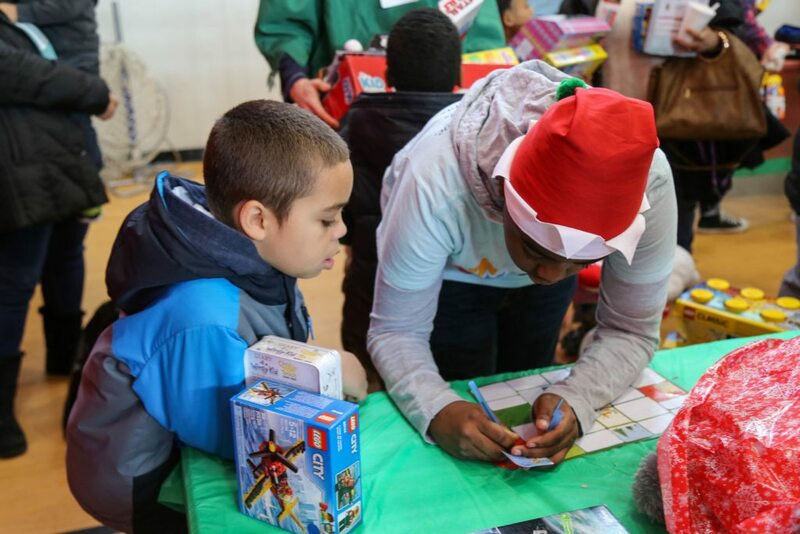 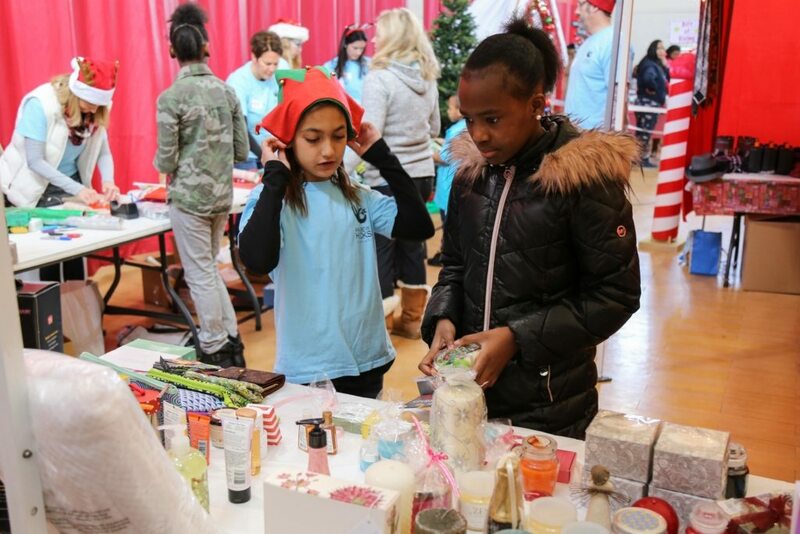 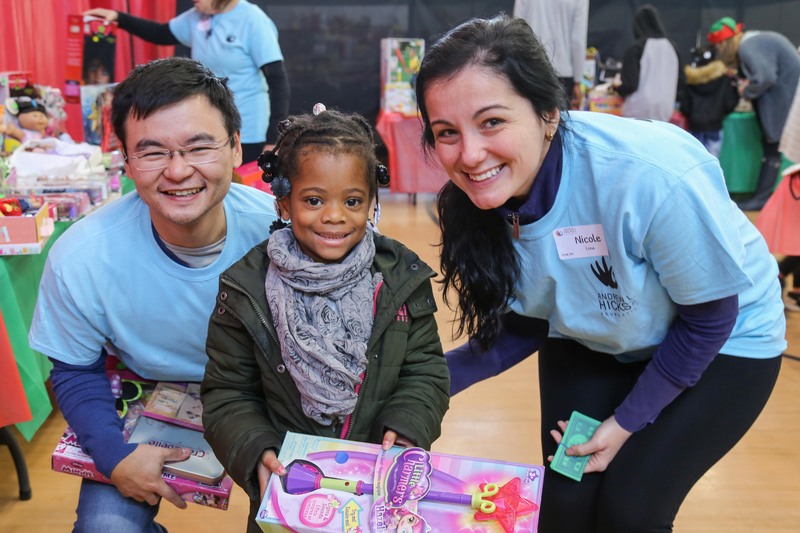 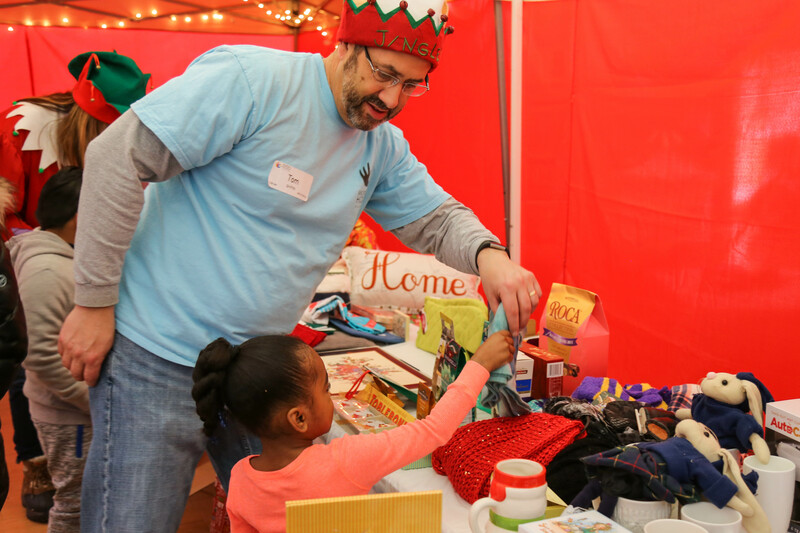 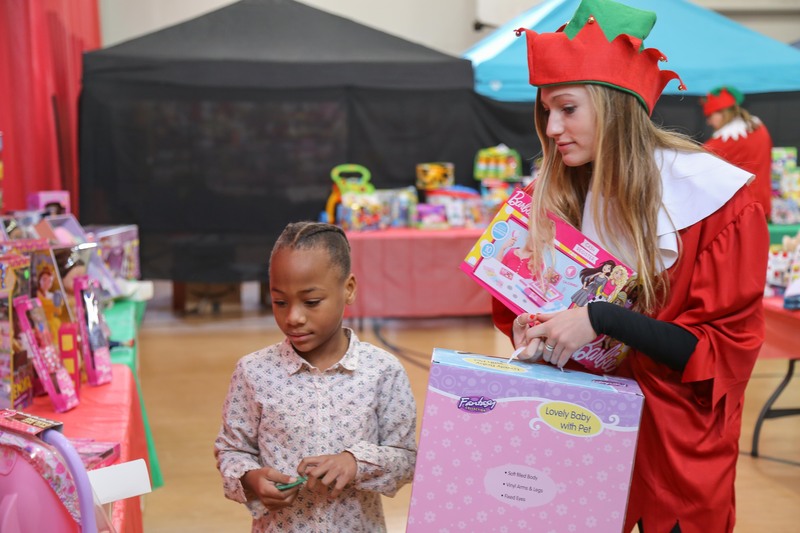 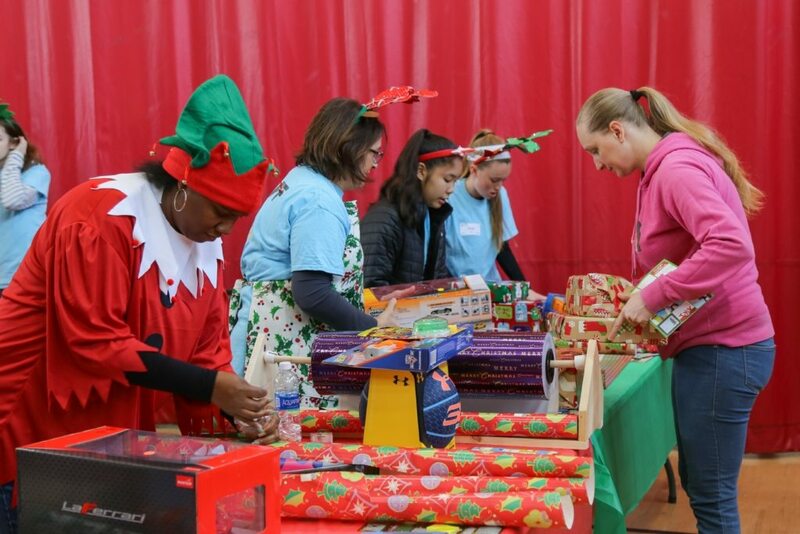 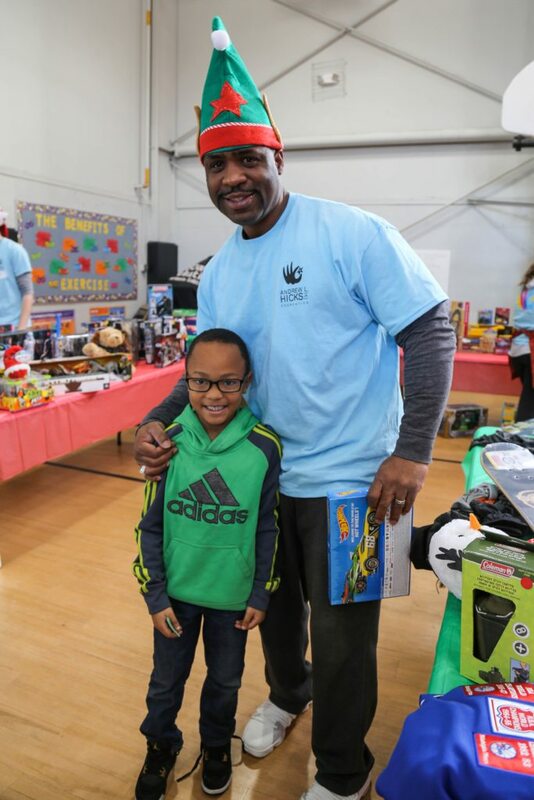 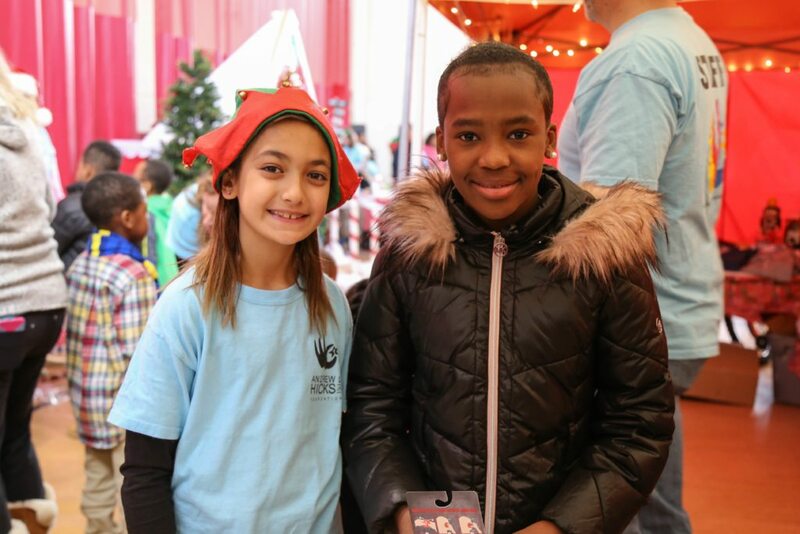 This year, over 400 Children were invited to participate in the Toy Store. 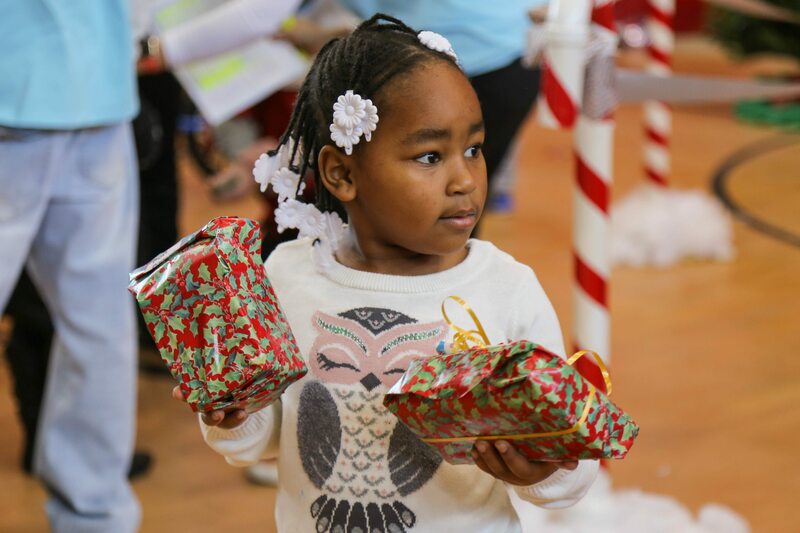 For some, this would be the only gifts they receive this Christmas. 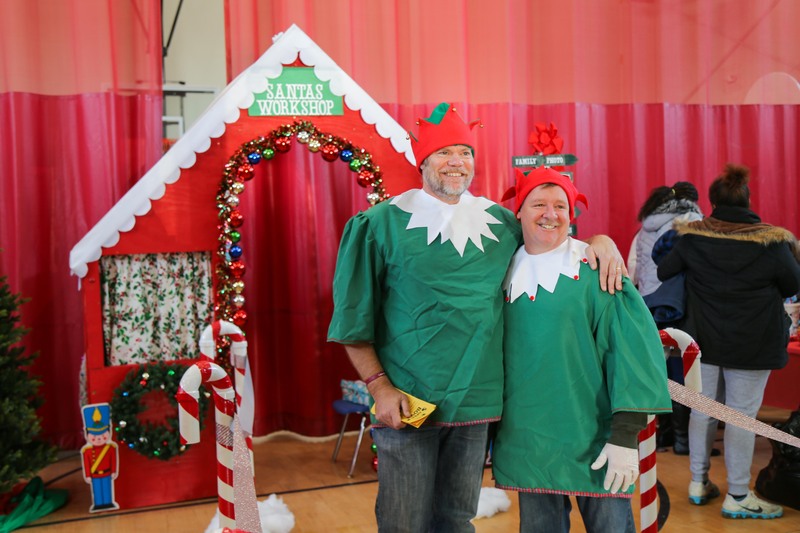 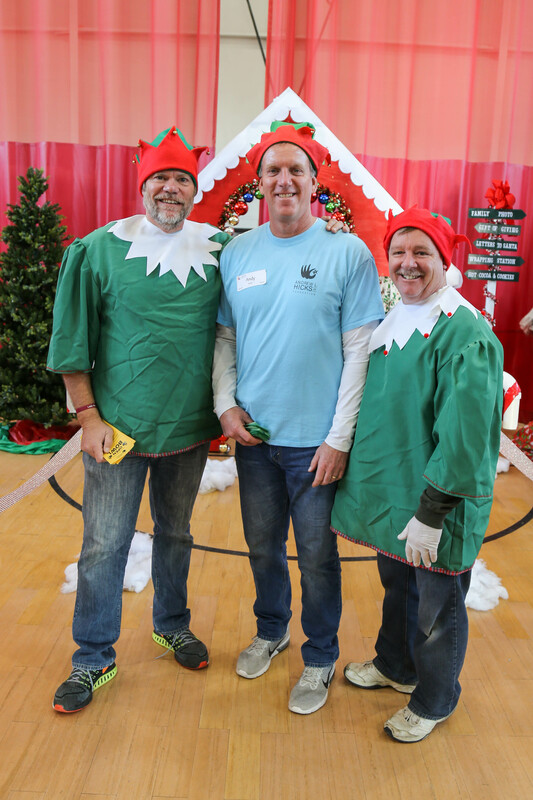 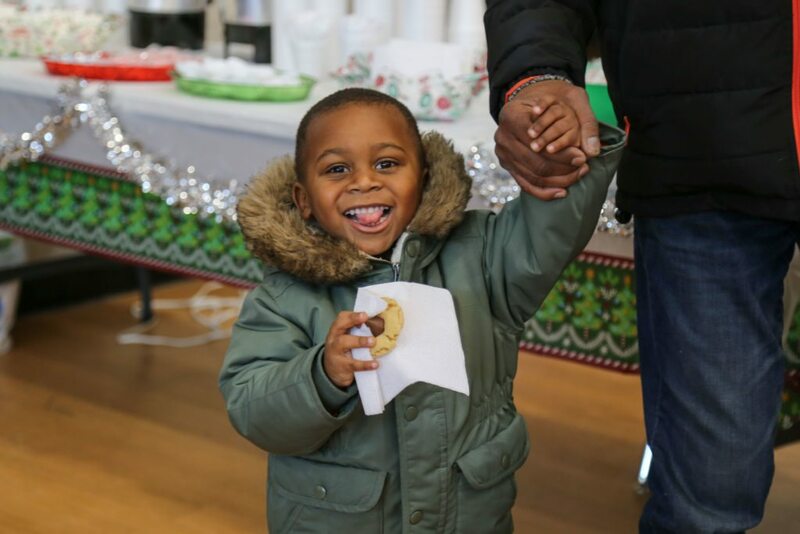 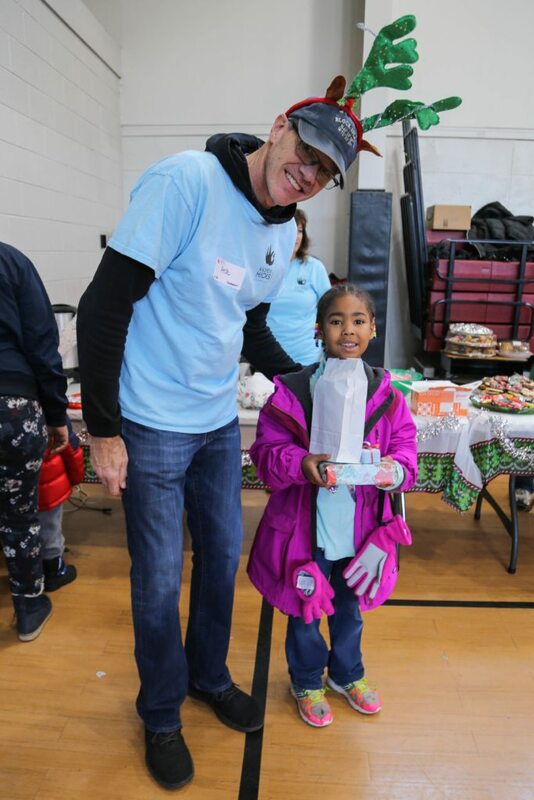 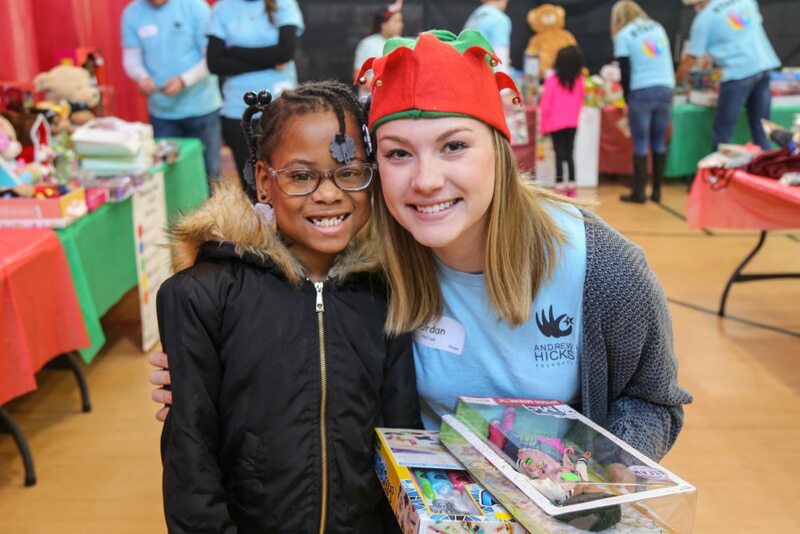 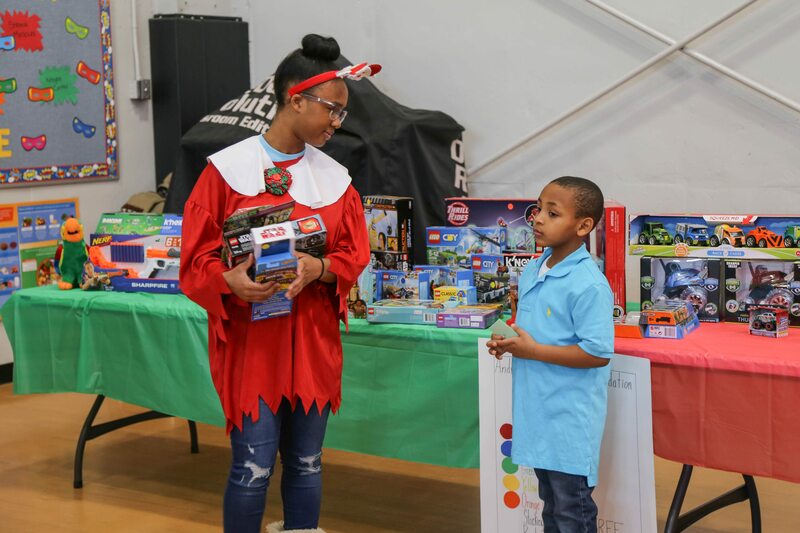 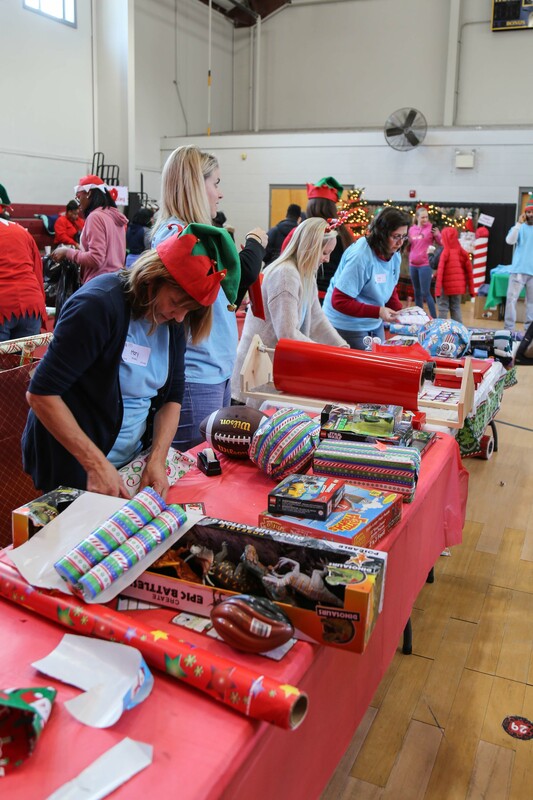 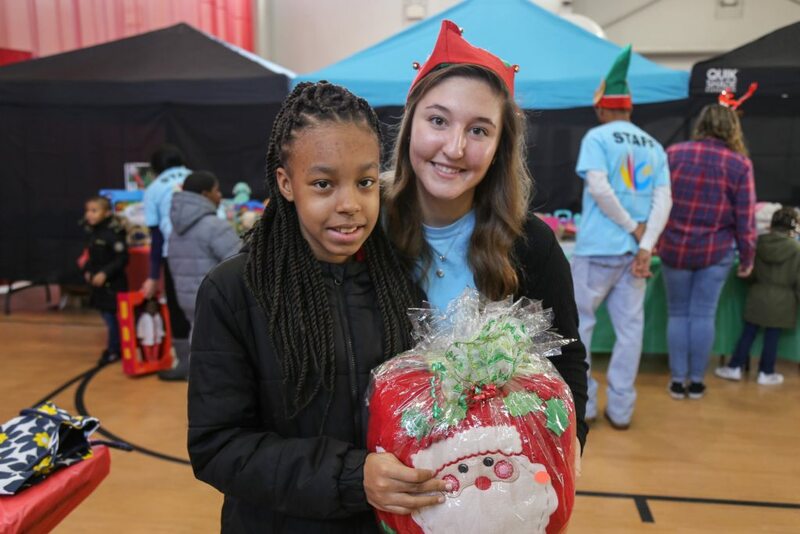 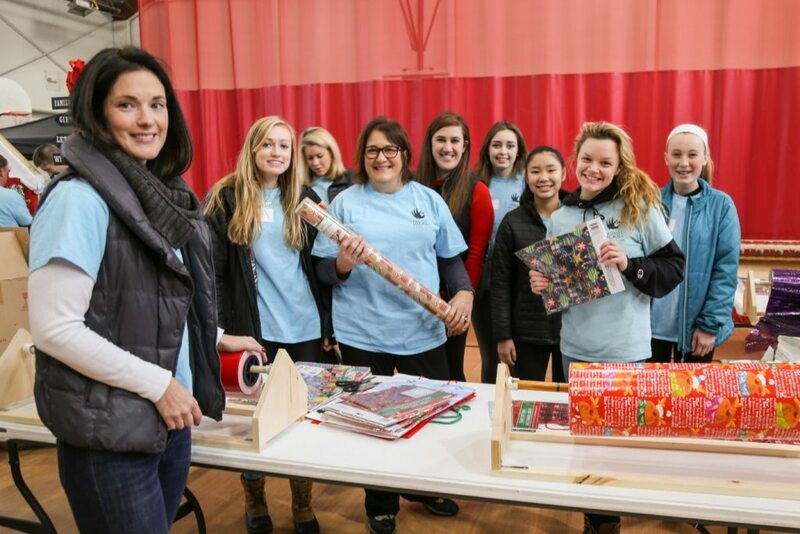 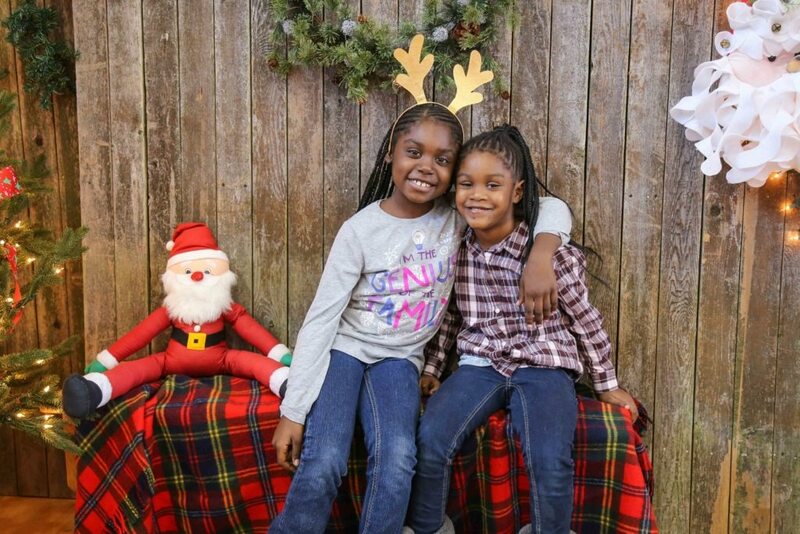 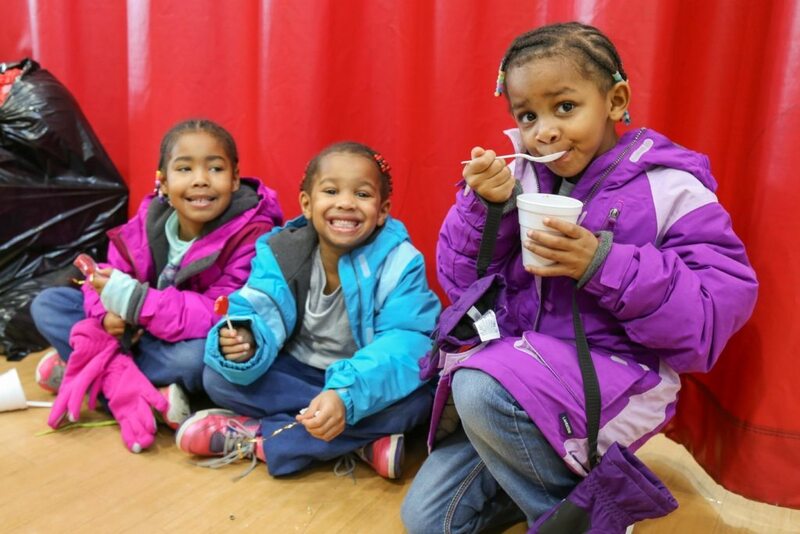 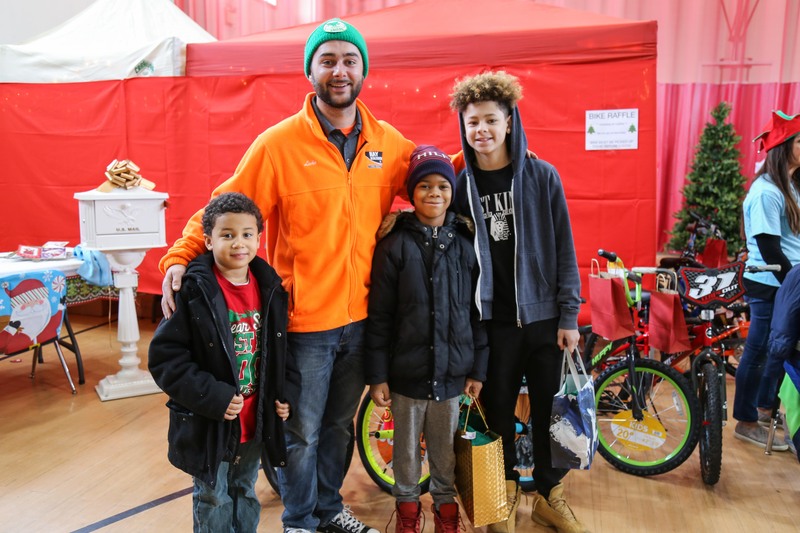 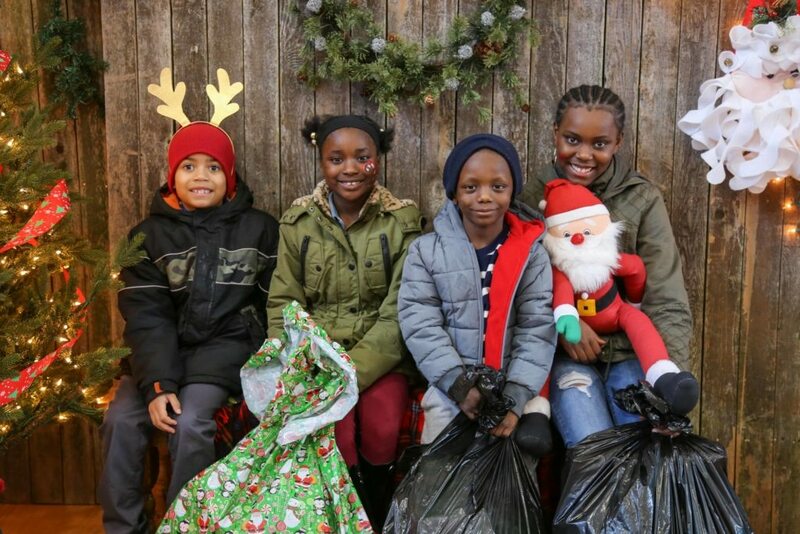 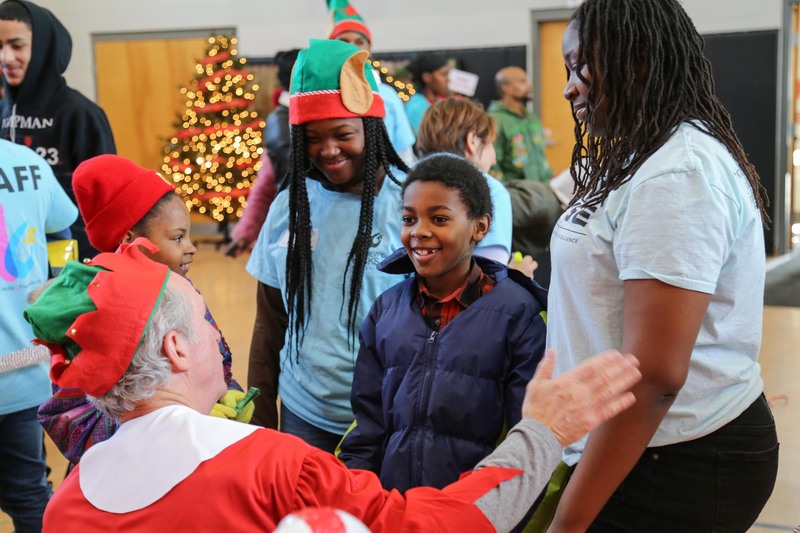 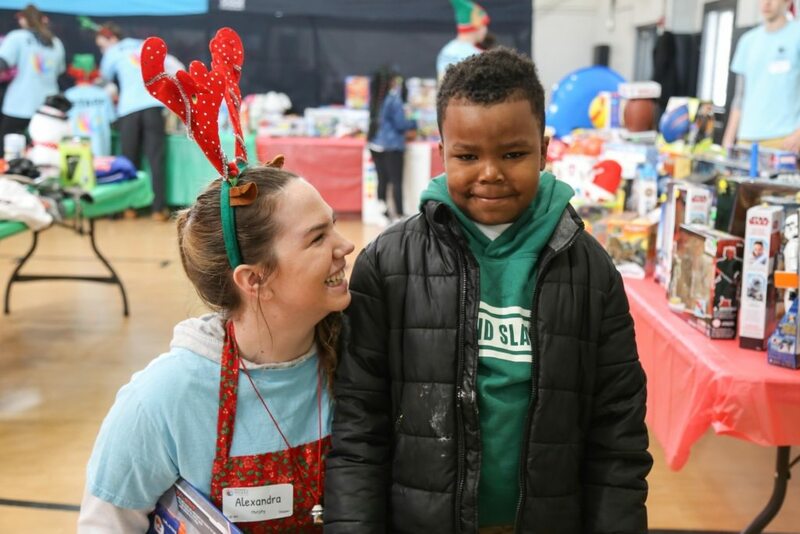 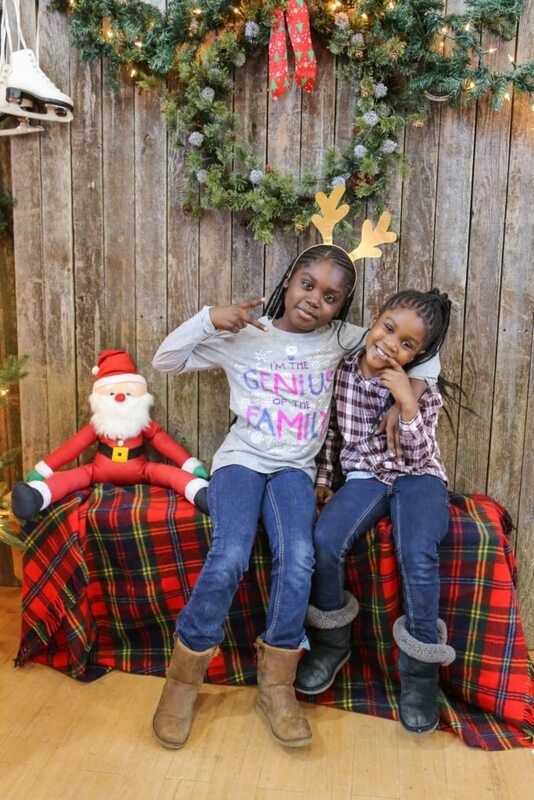 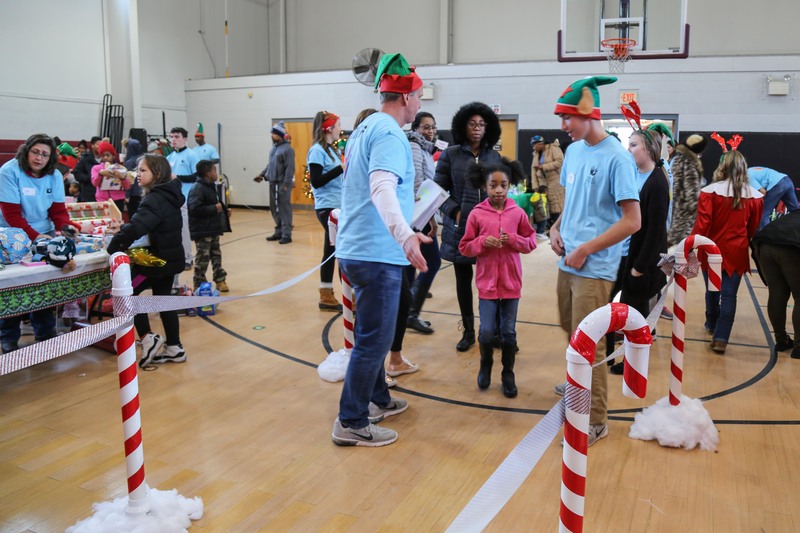 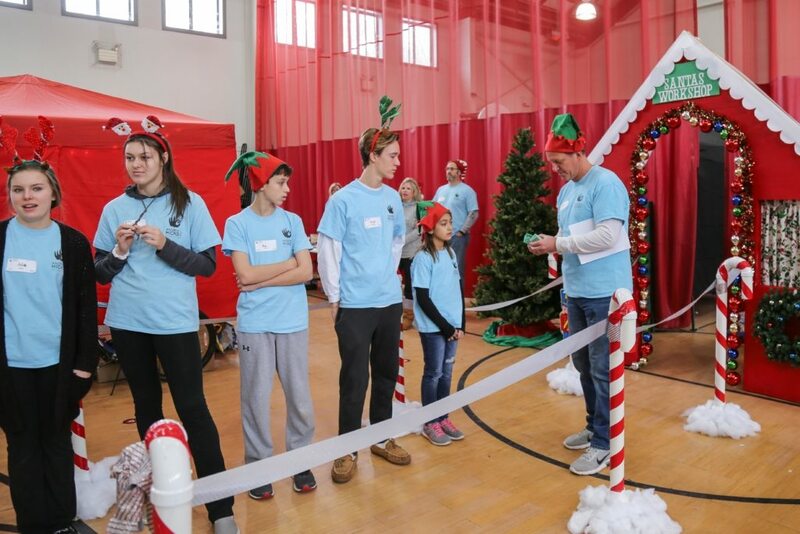 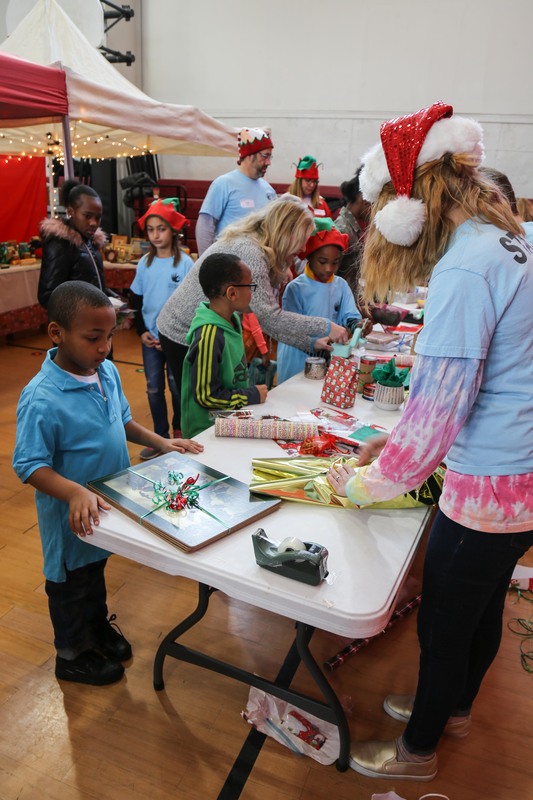 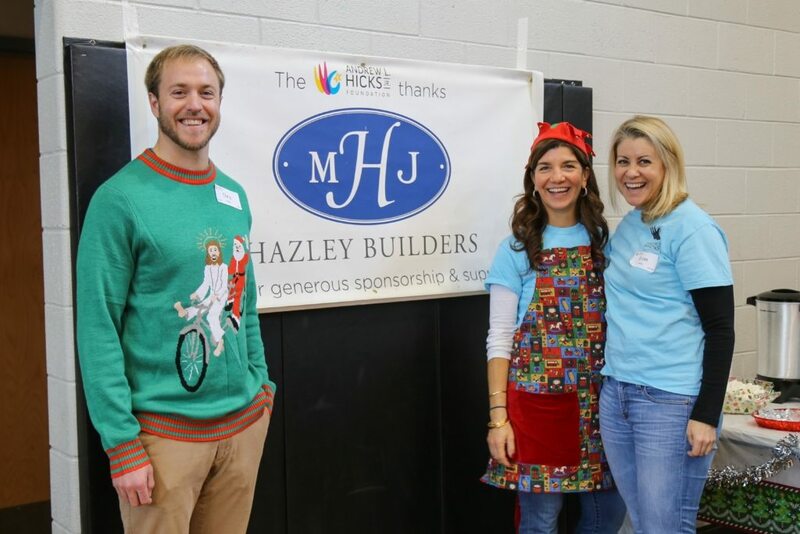 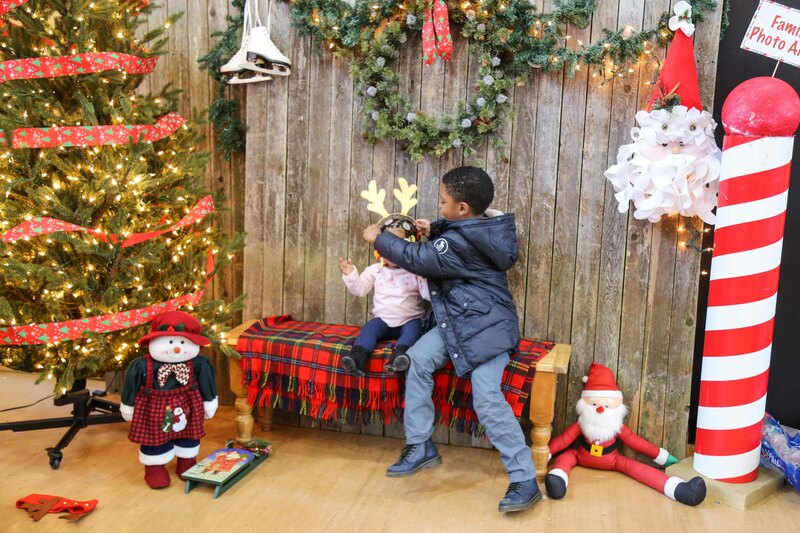 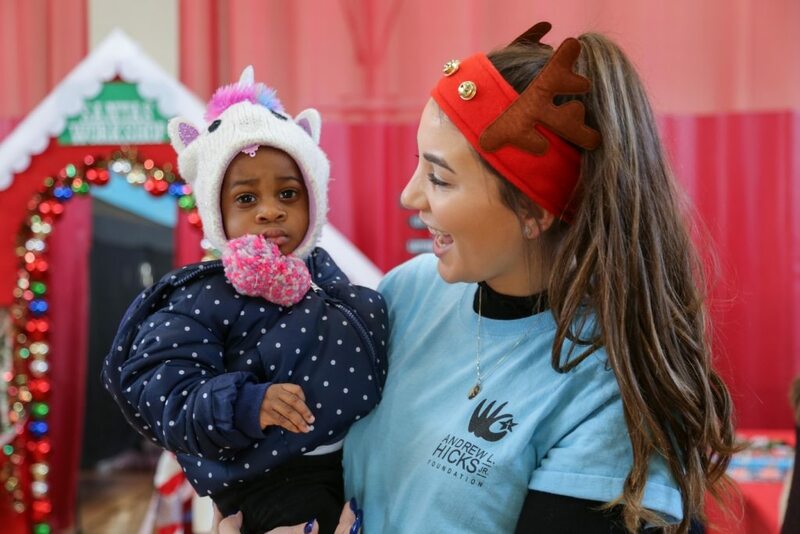 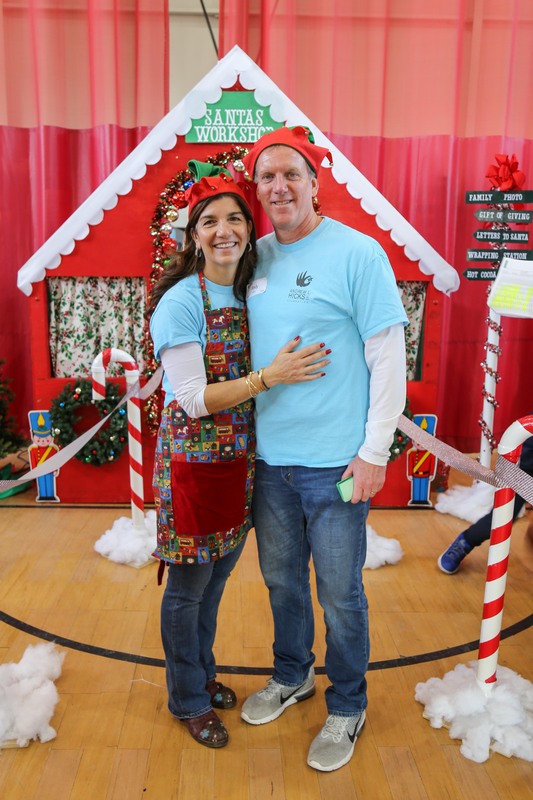 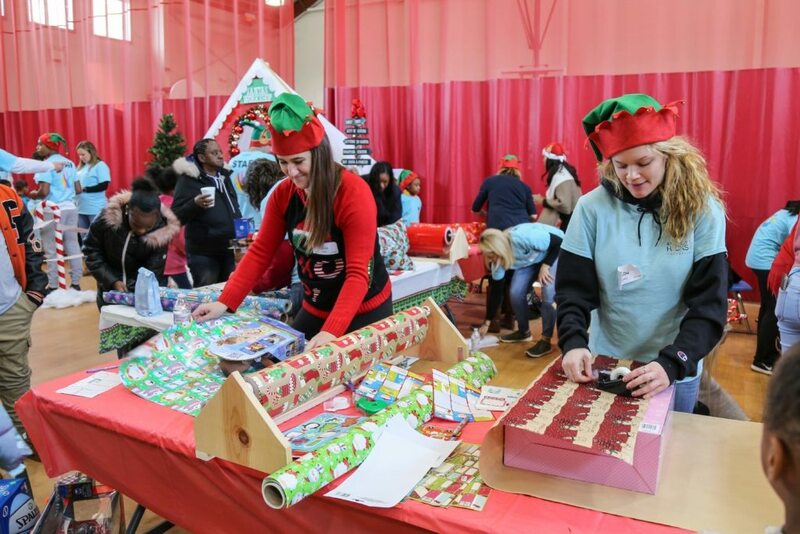 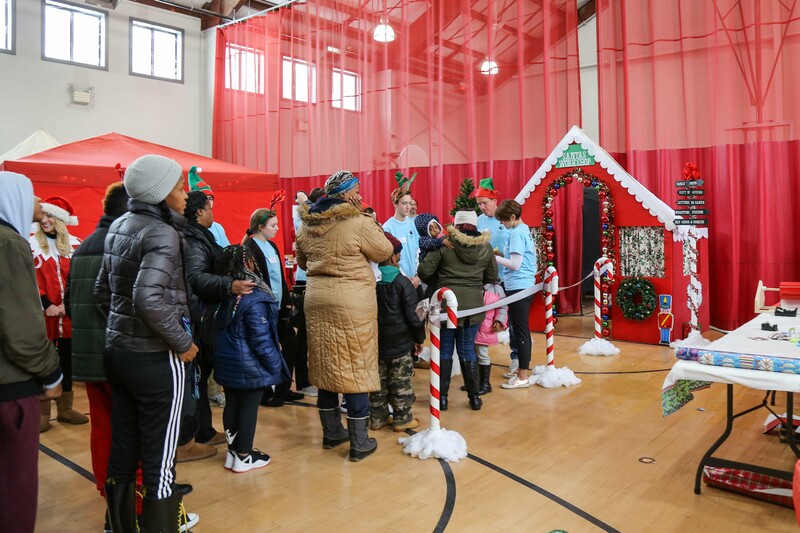 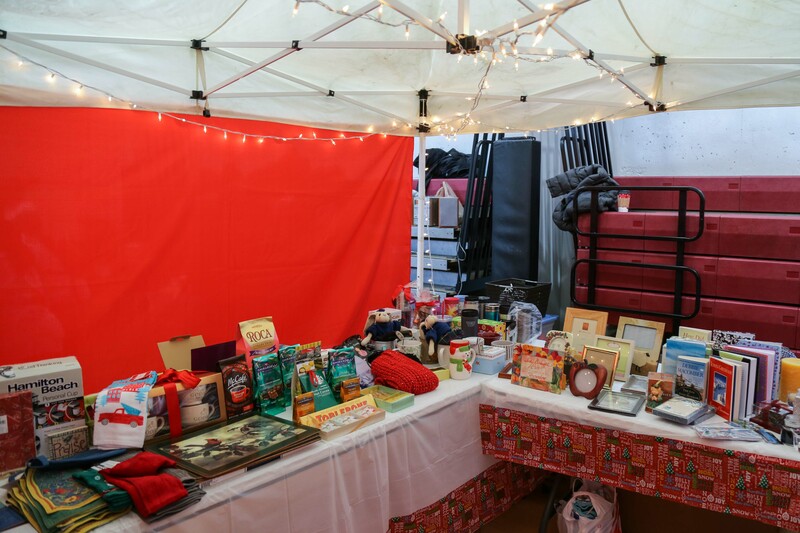 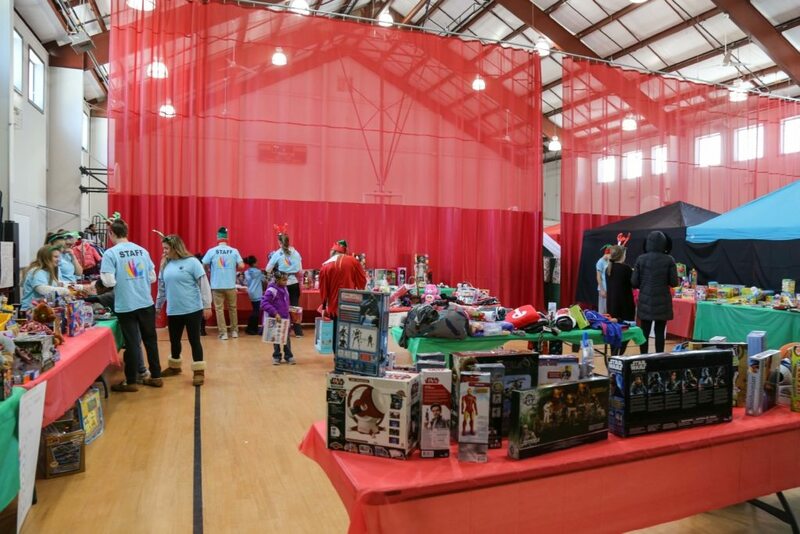 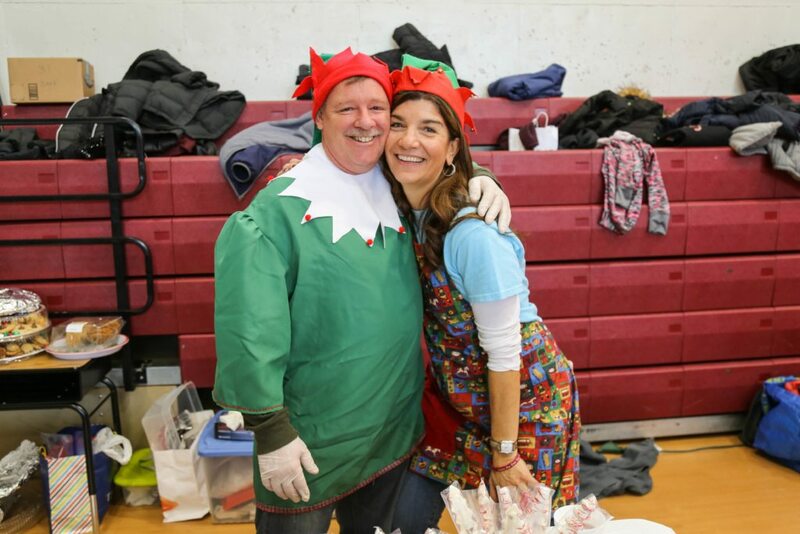 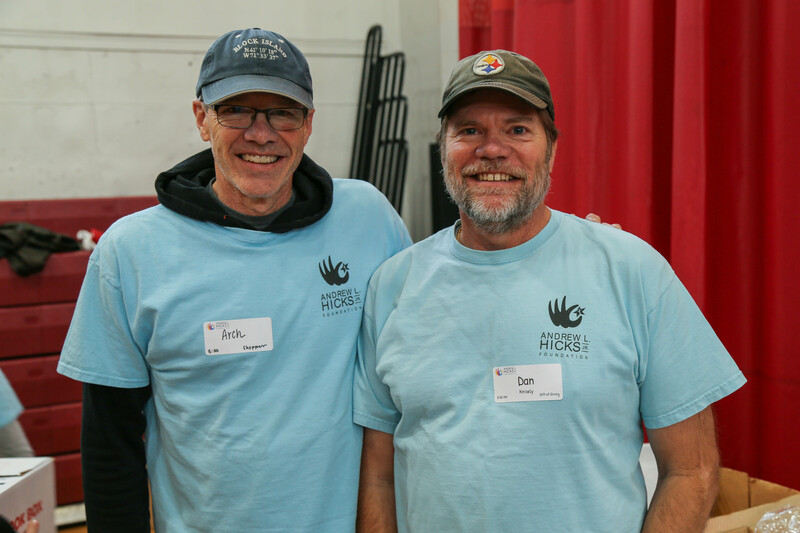 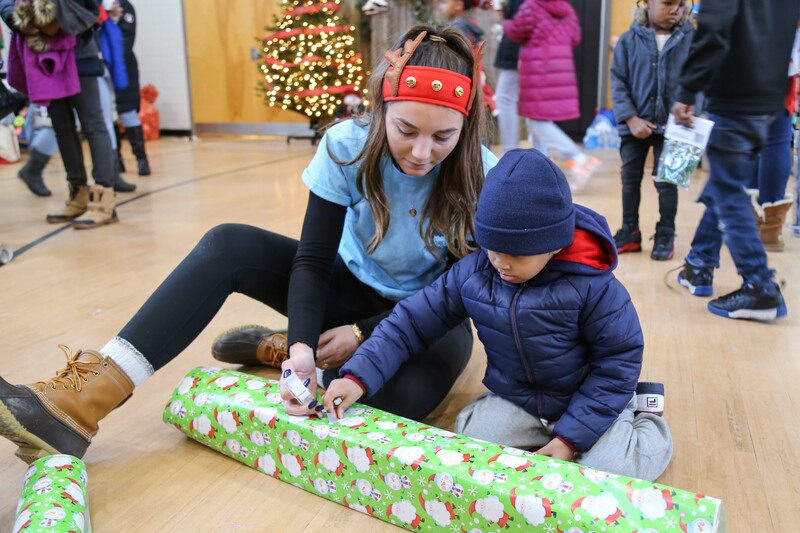 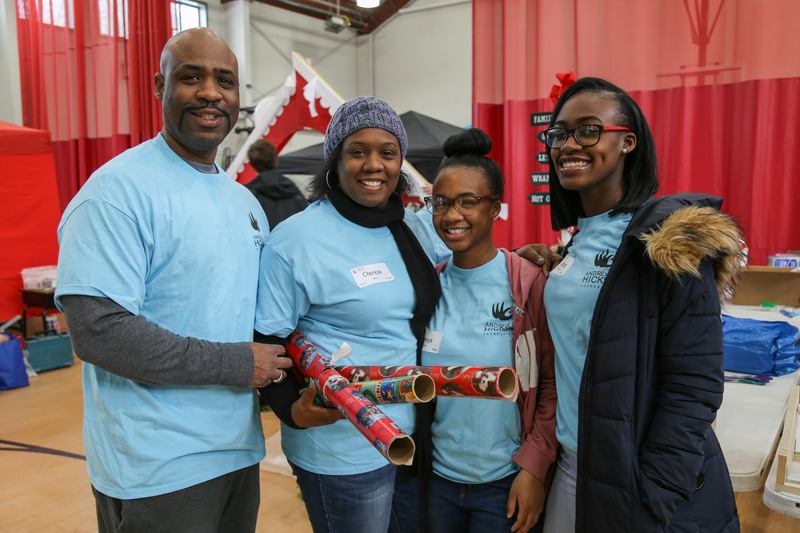 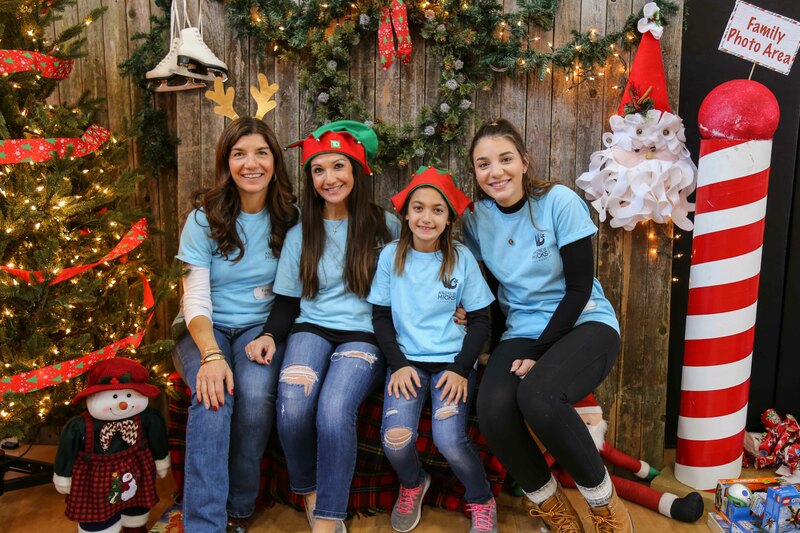 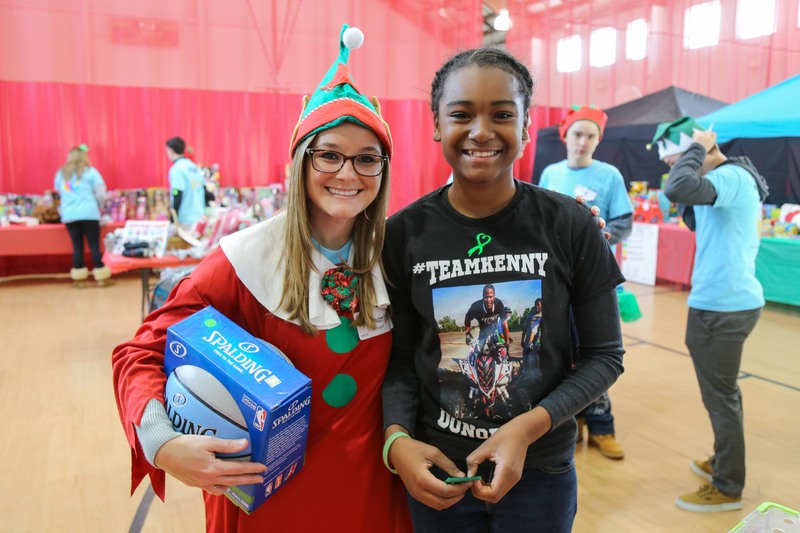 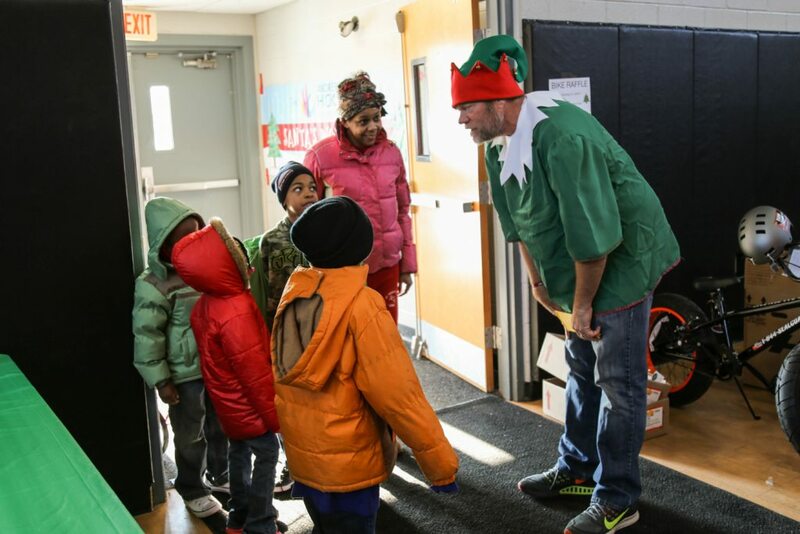 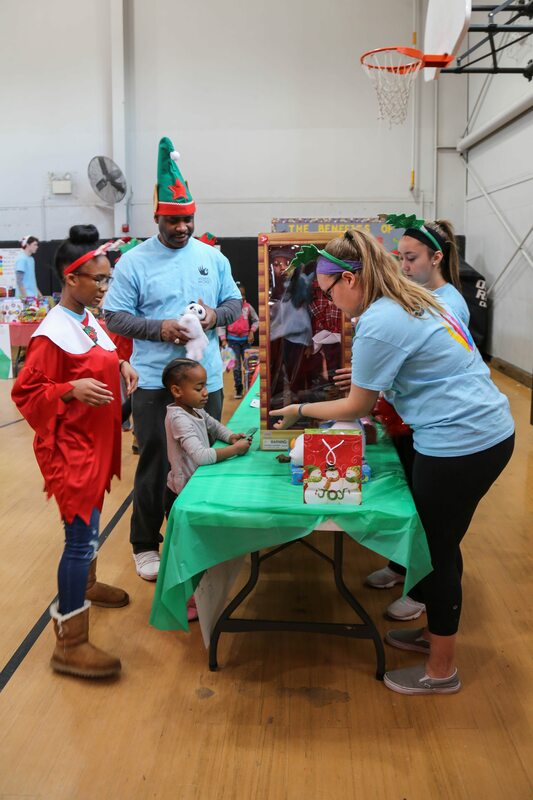 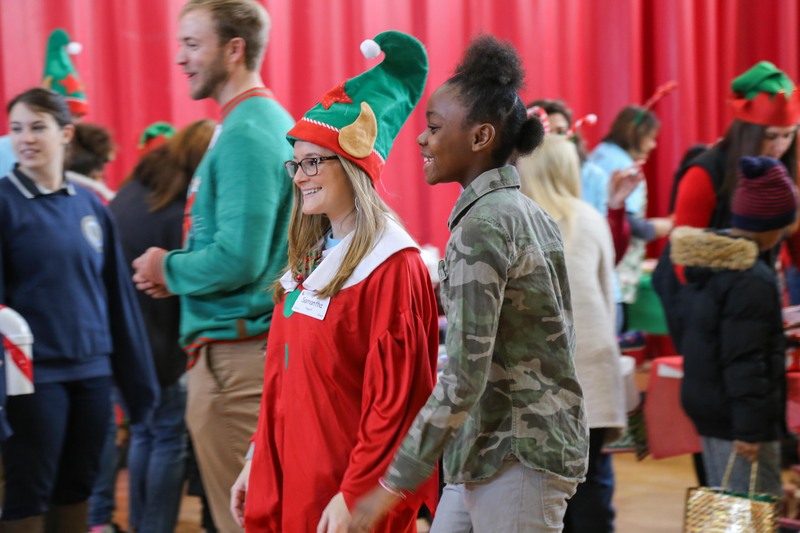 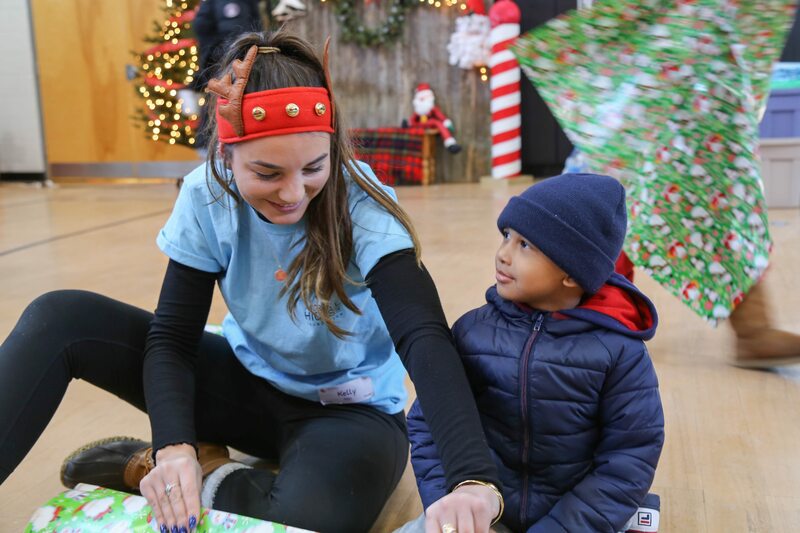 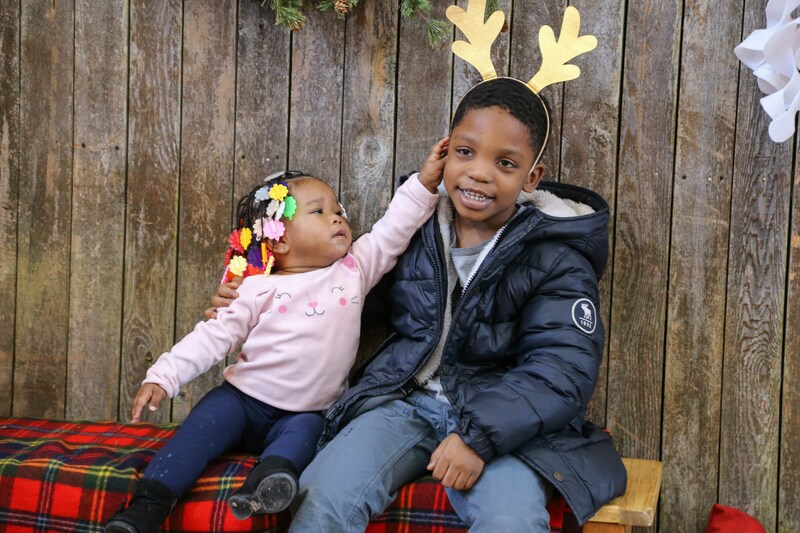 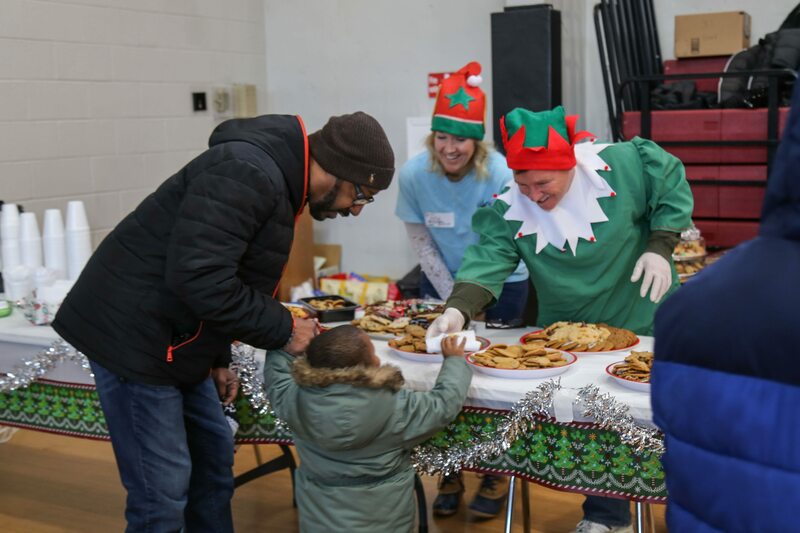 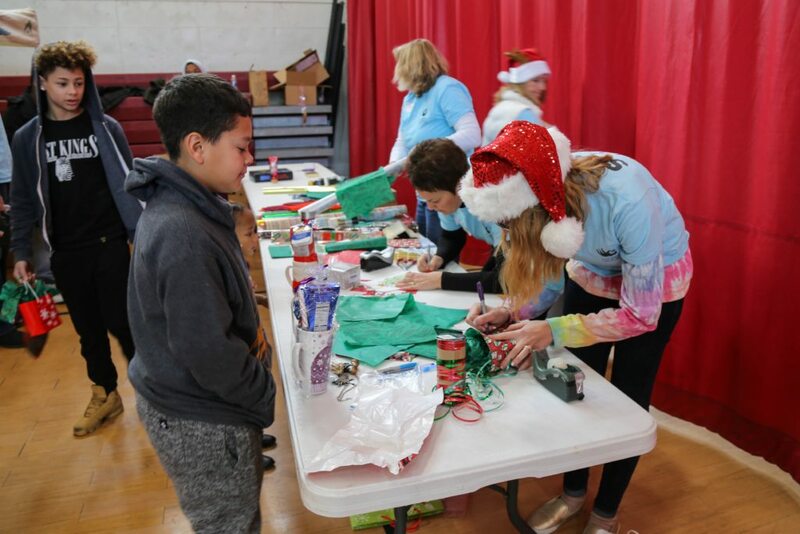 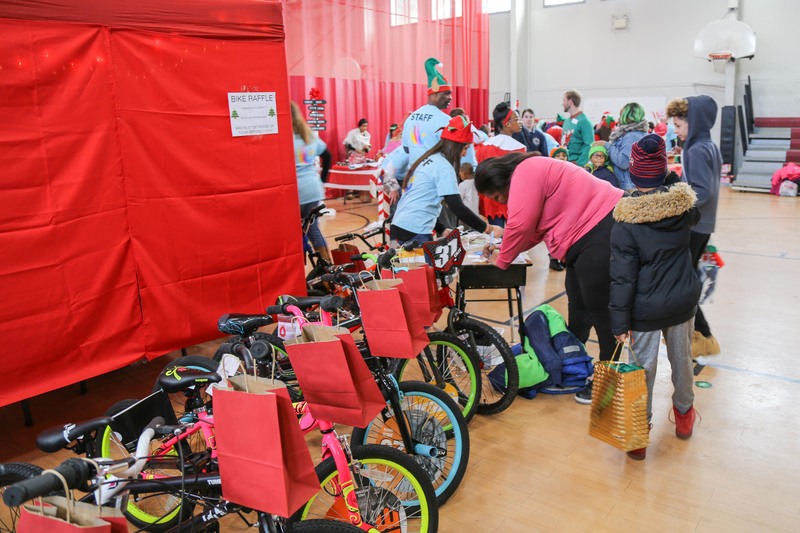 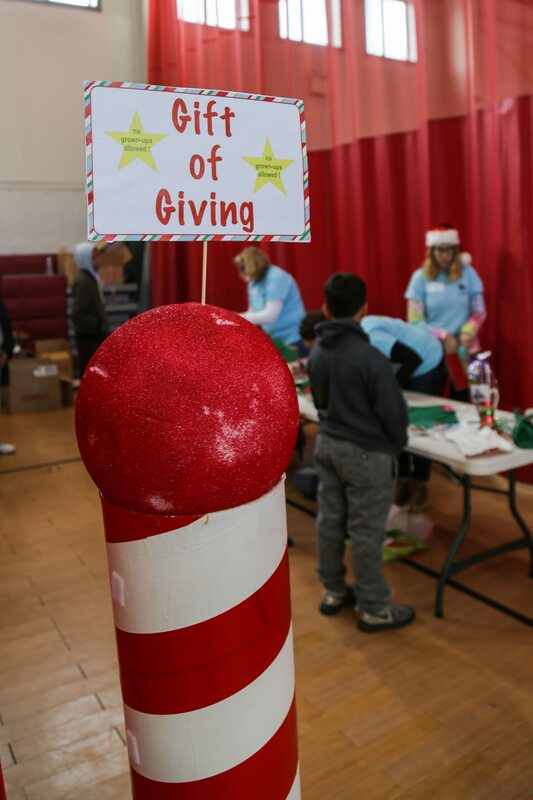 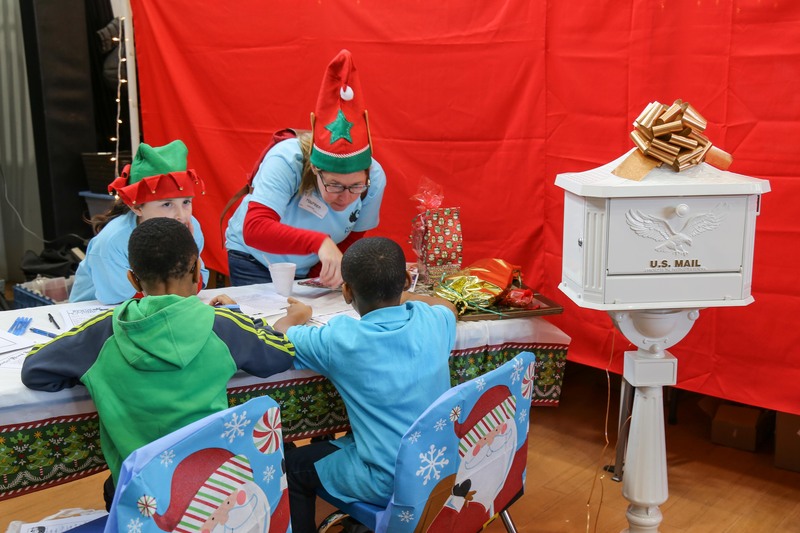 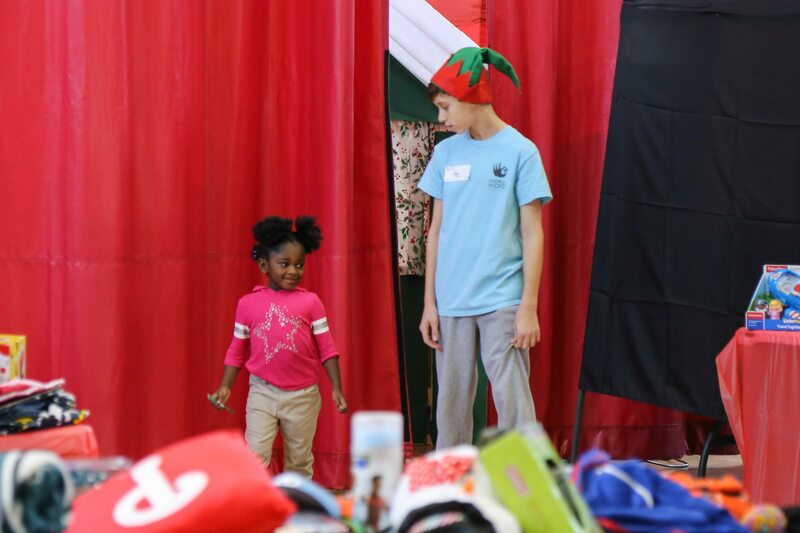 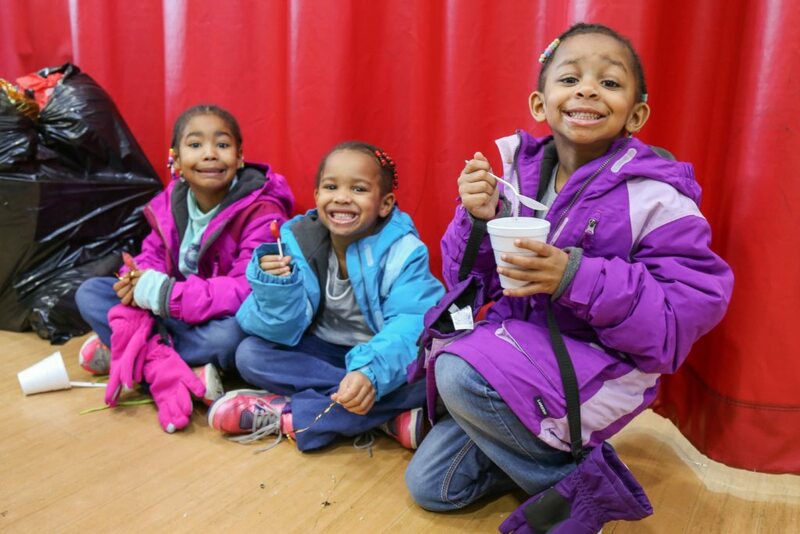 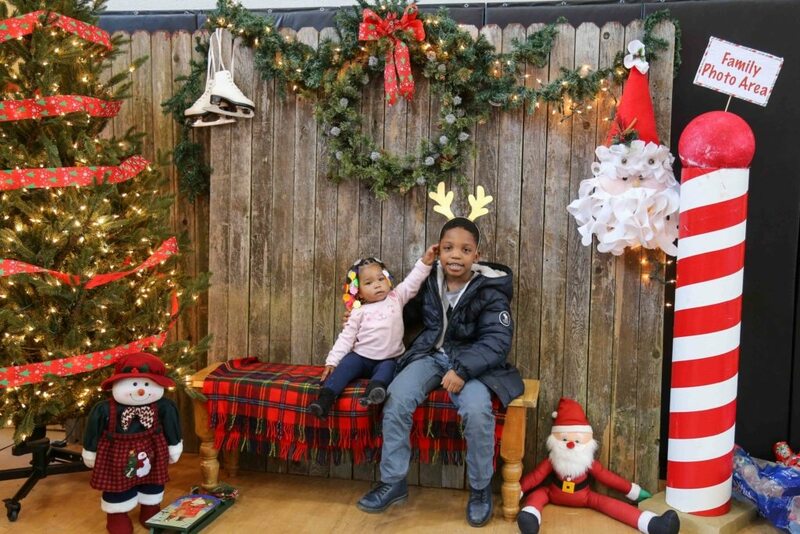 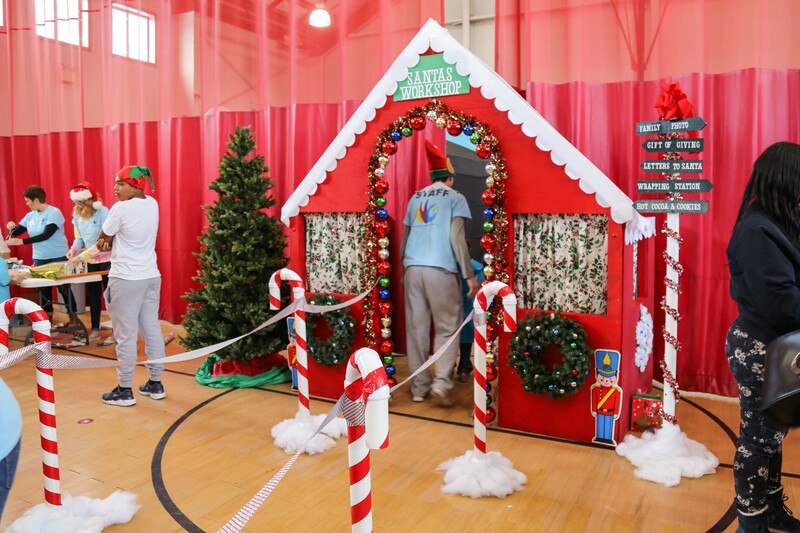 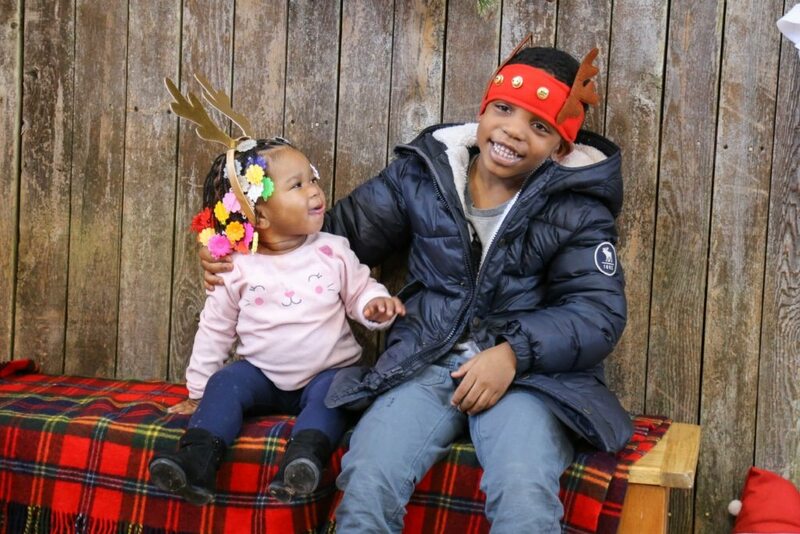 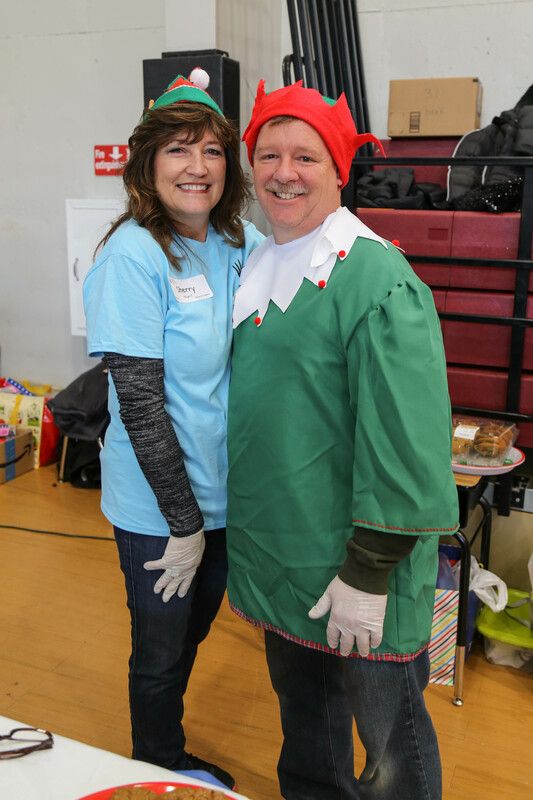 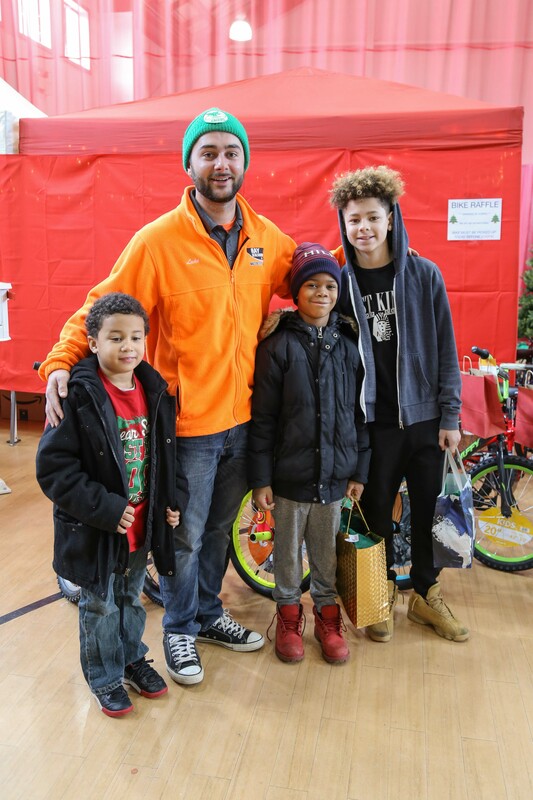 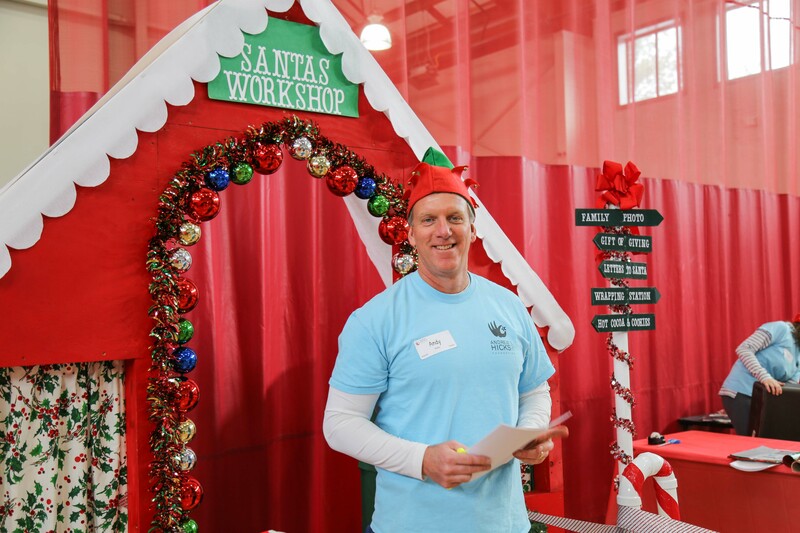 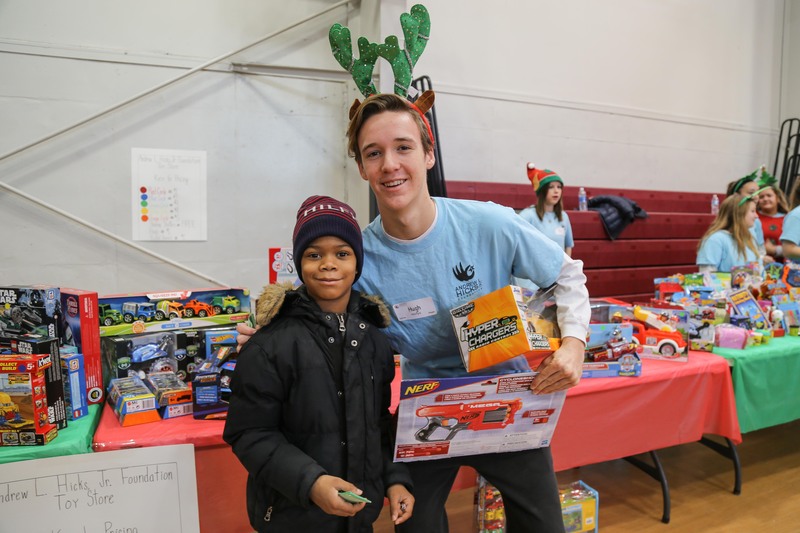 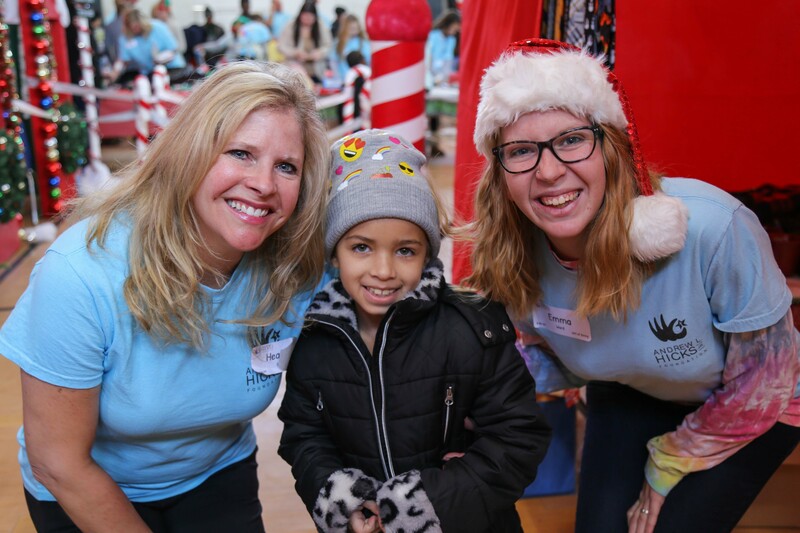 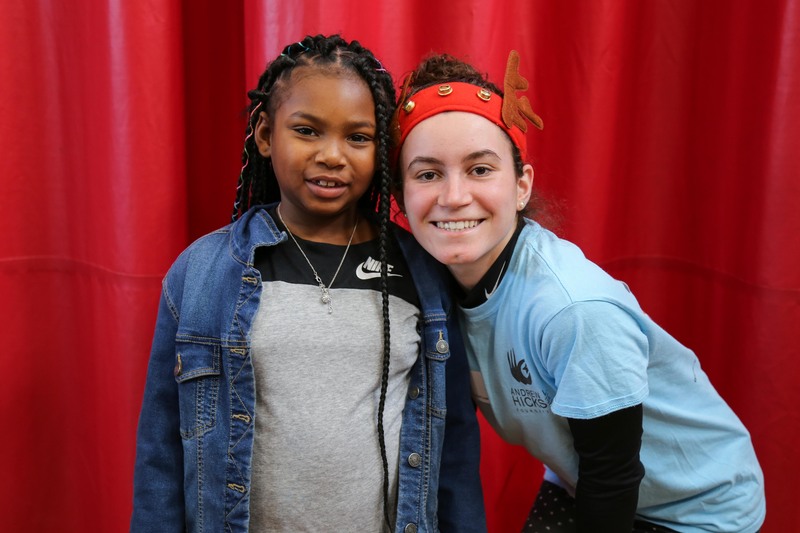 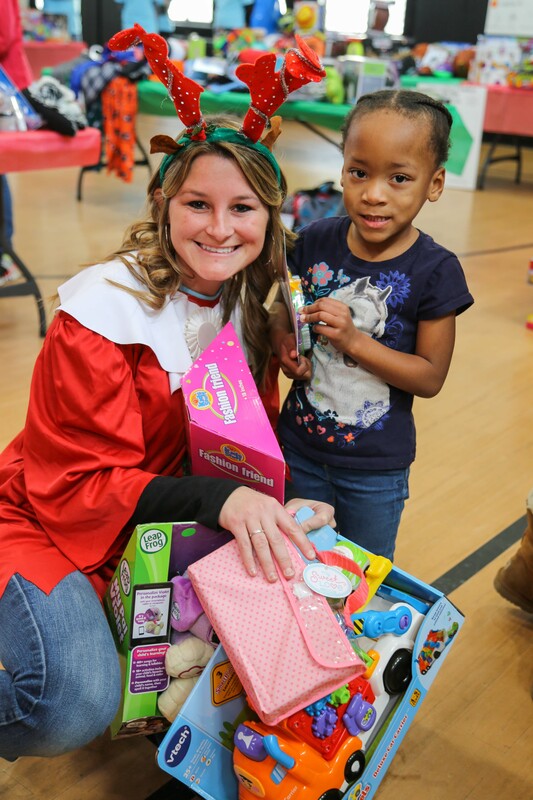 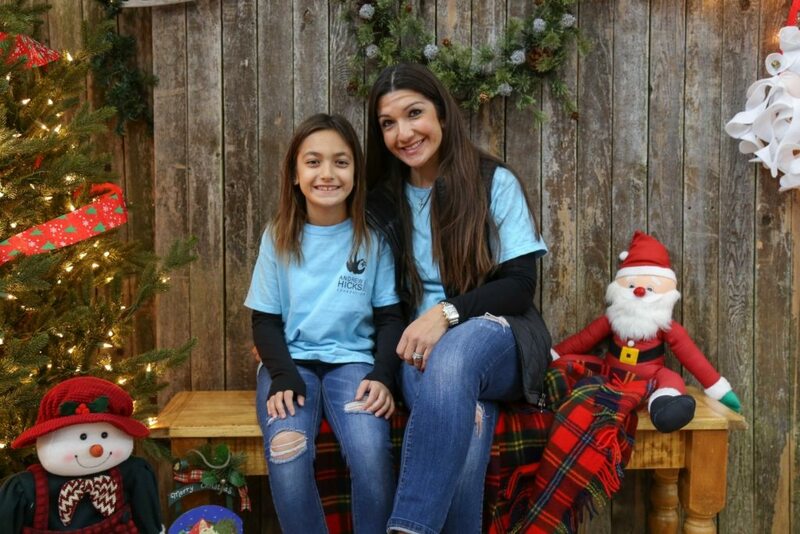 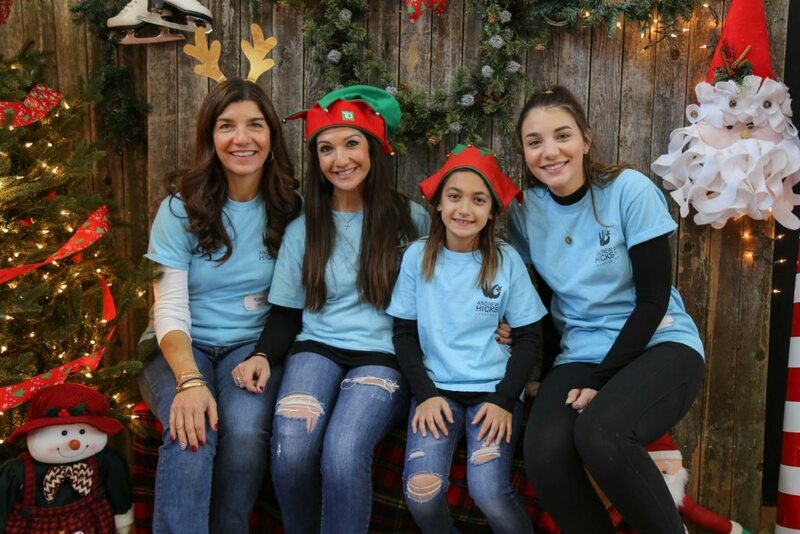 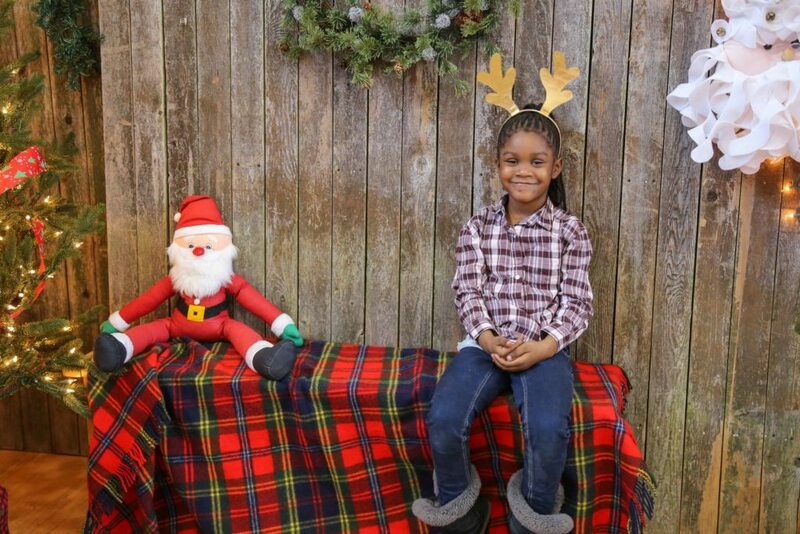 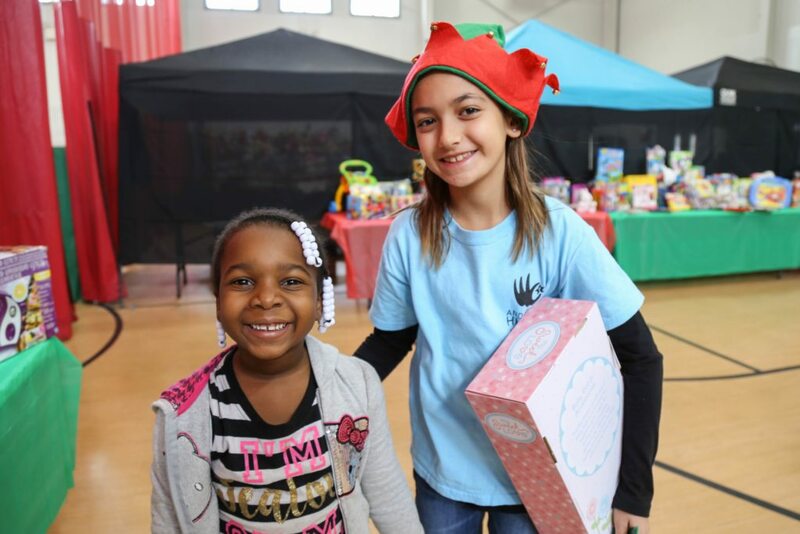 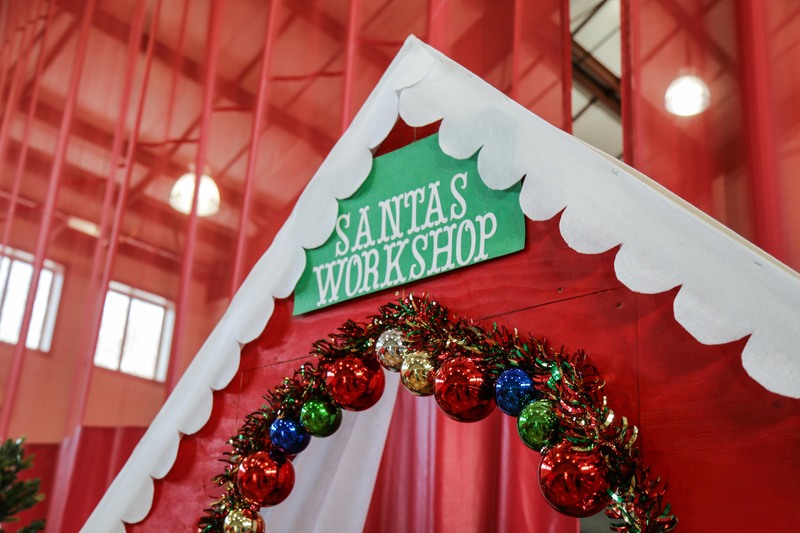 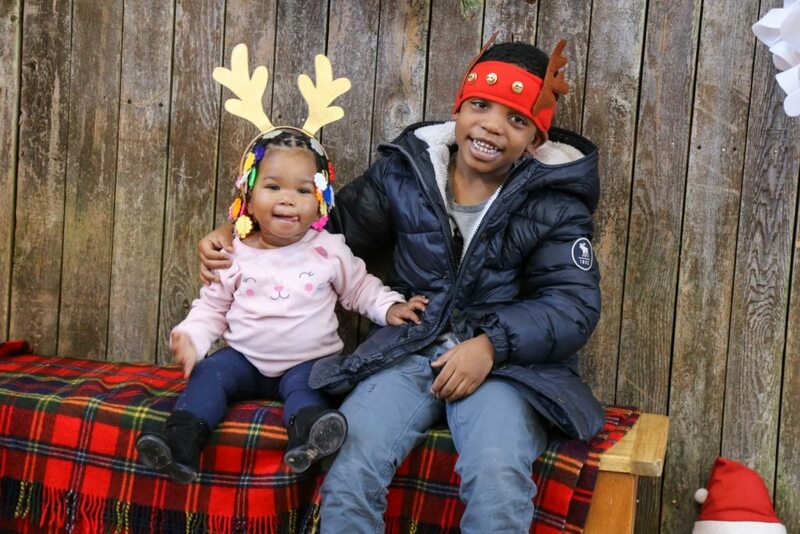 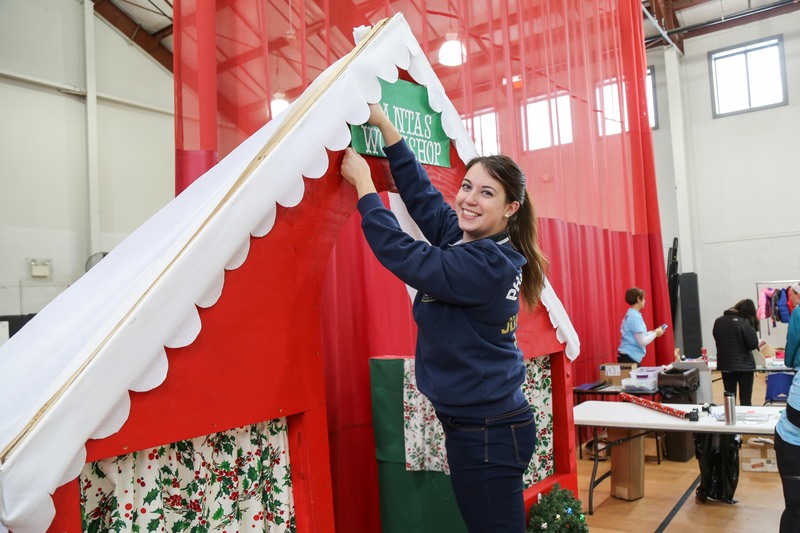 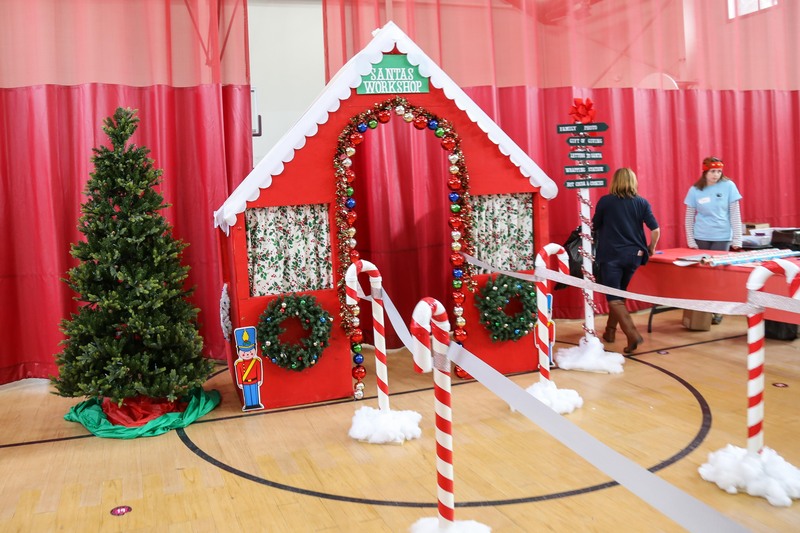 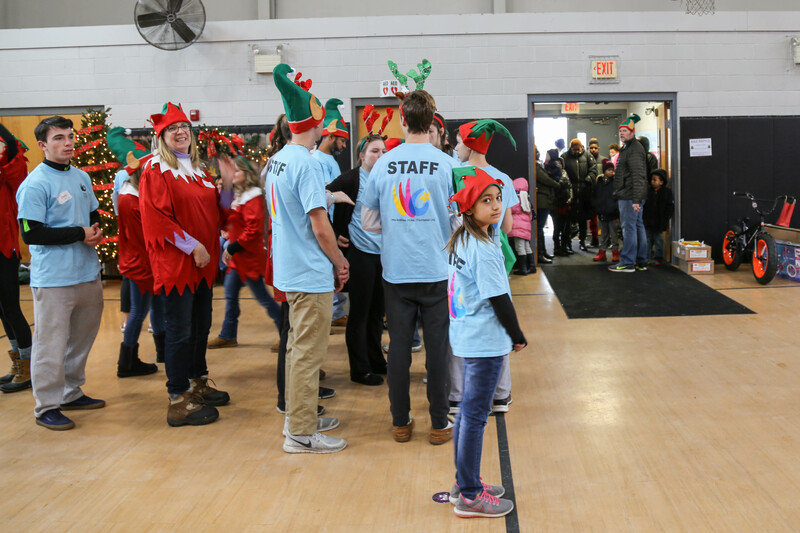 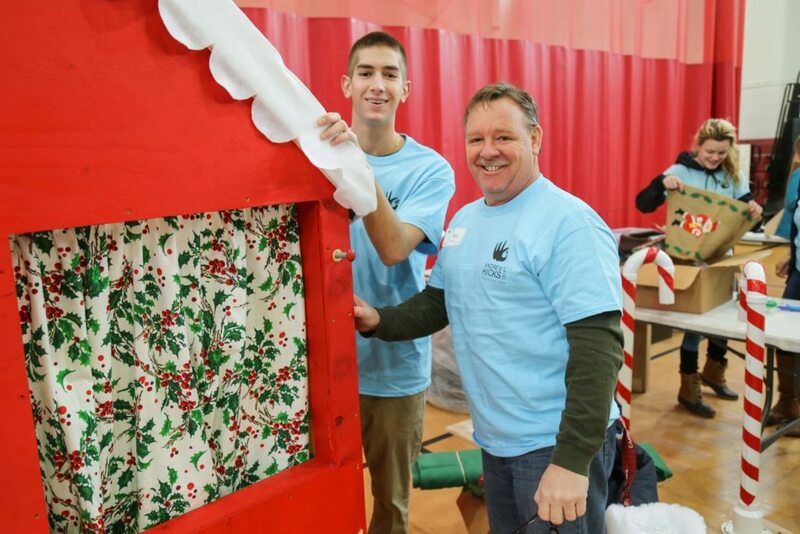 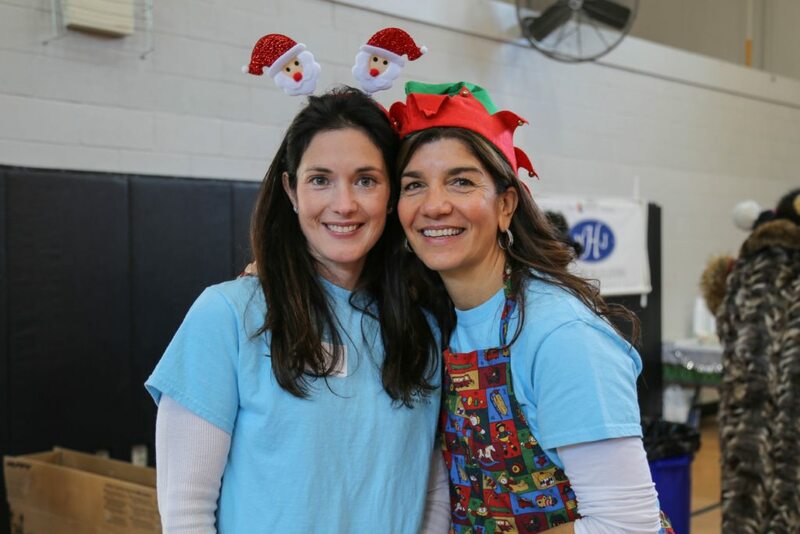 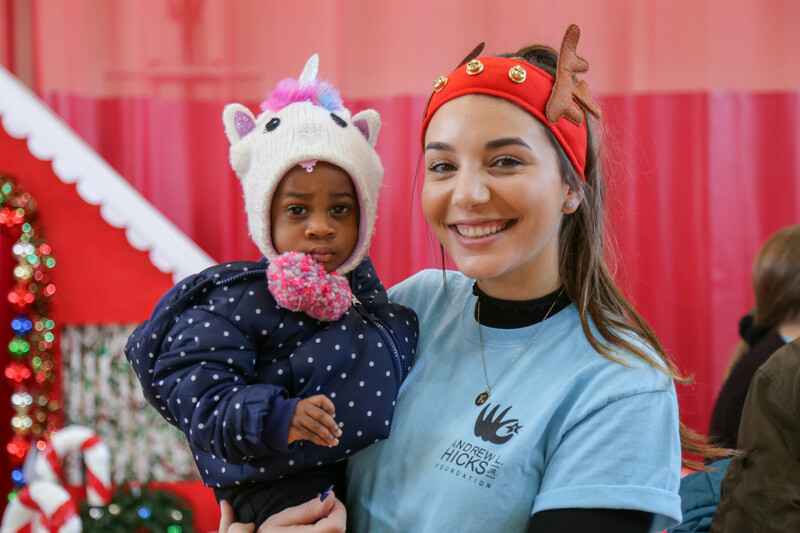 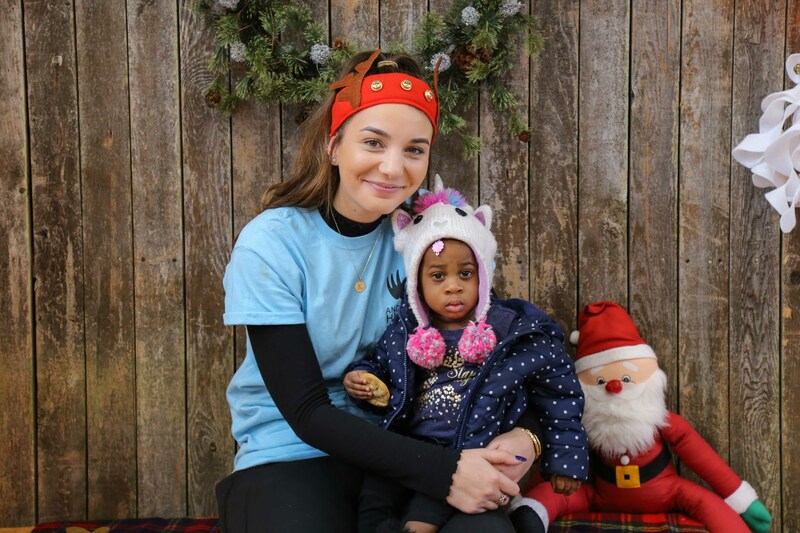 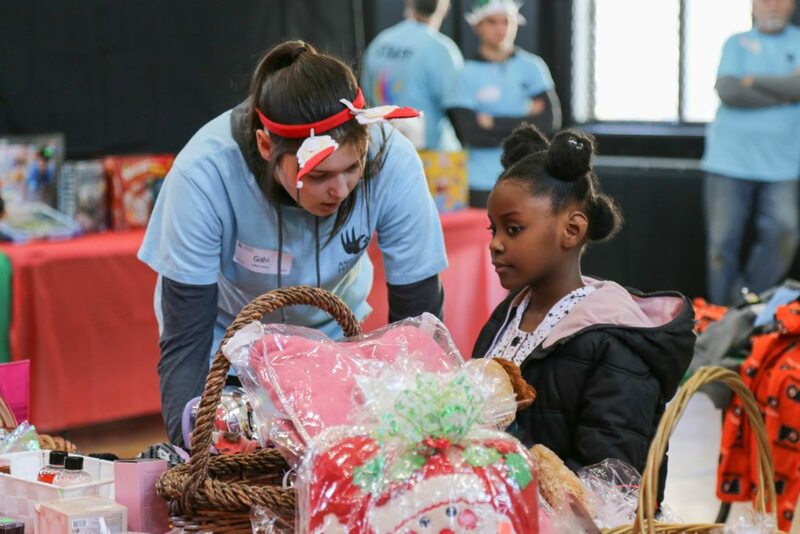 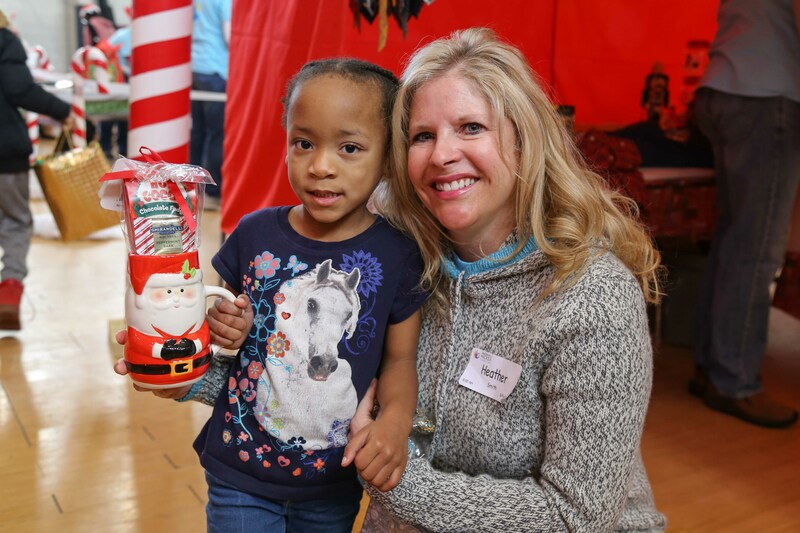 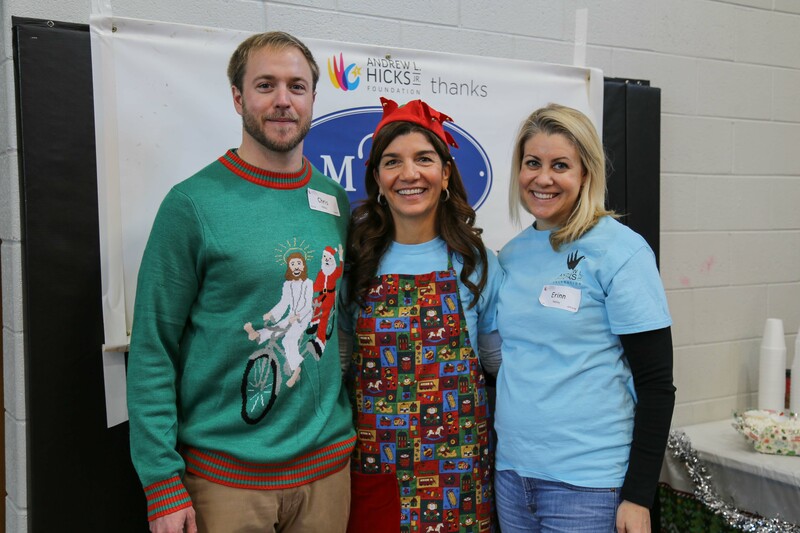 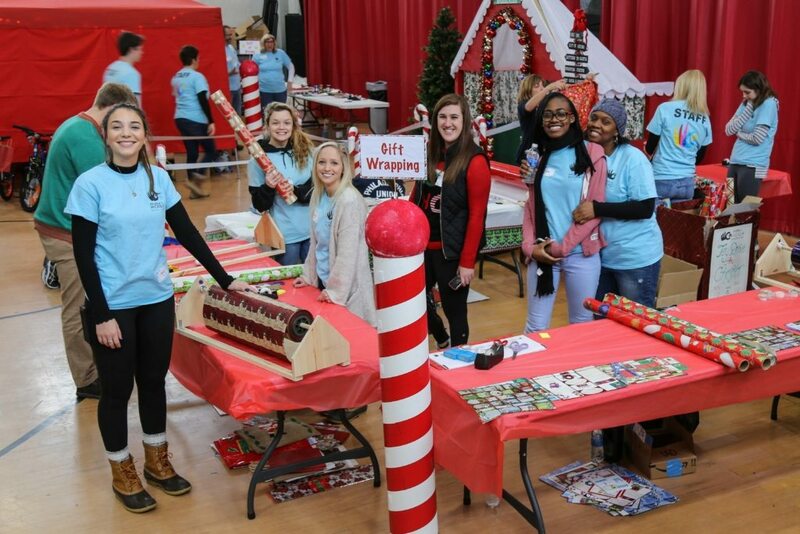 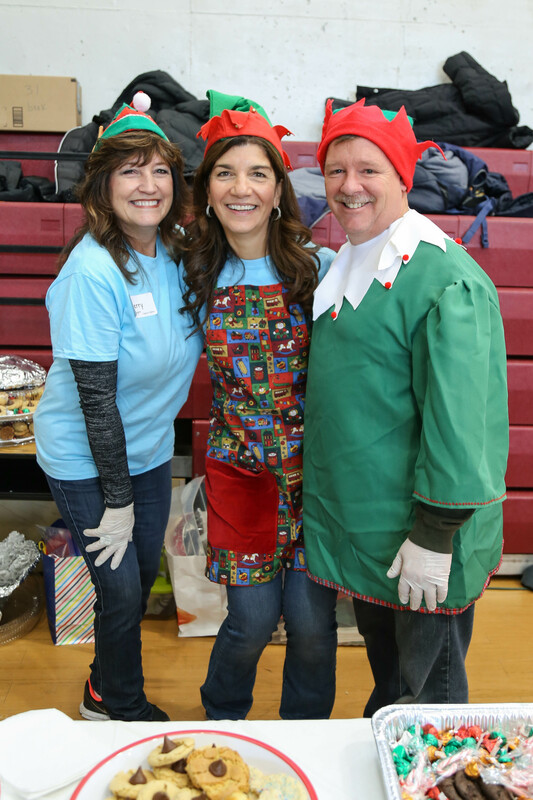 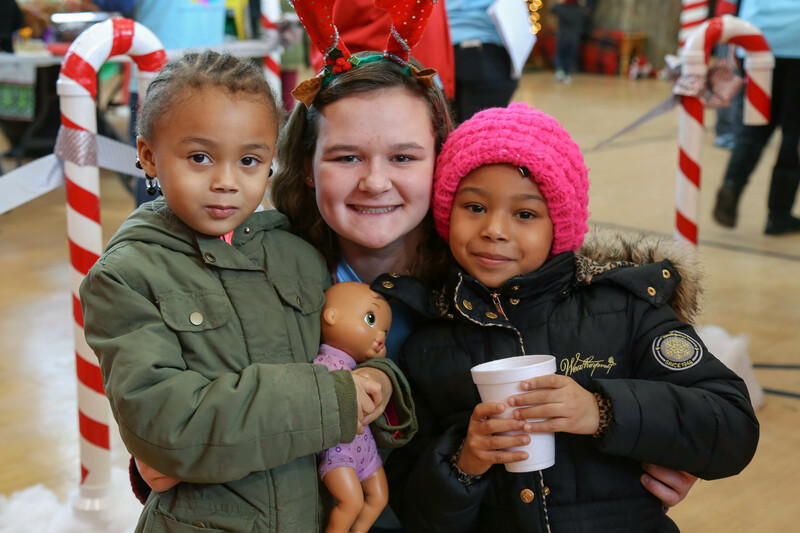 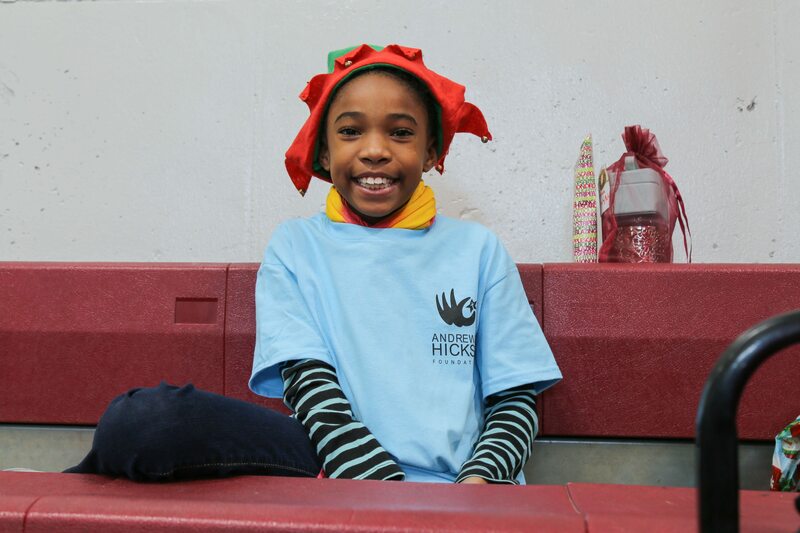 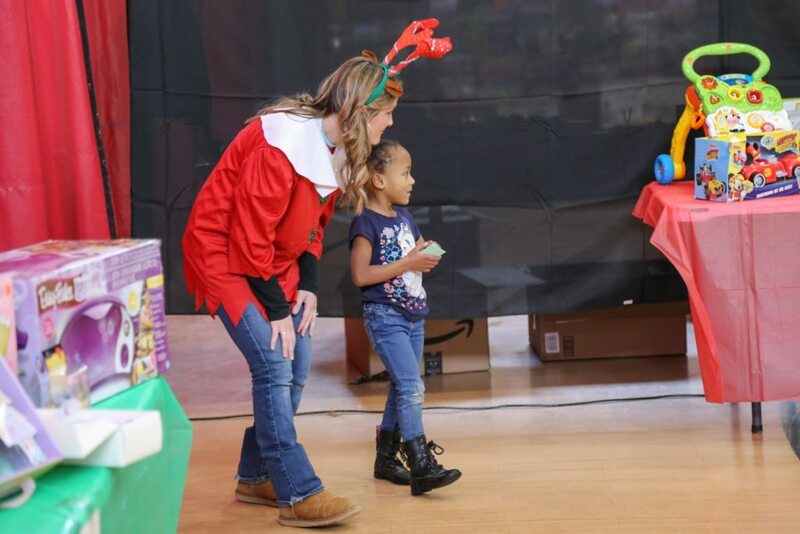 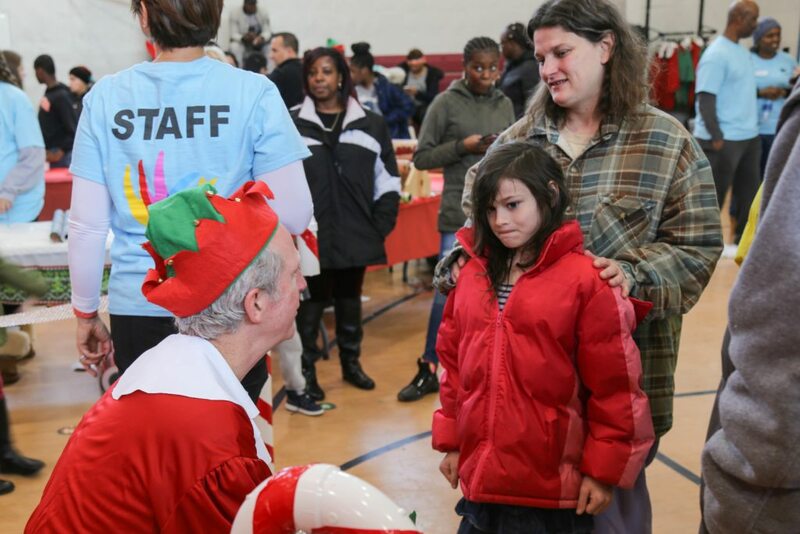 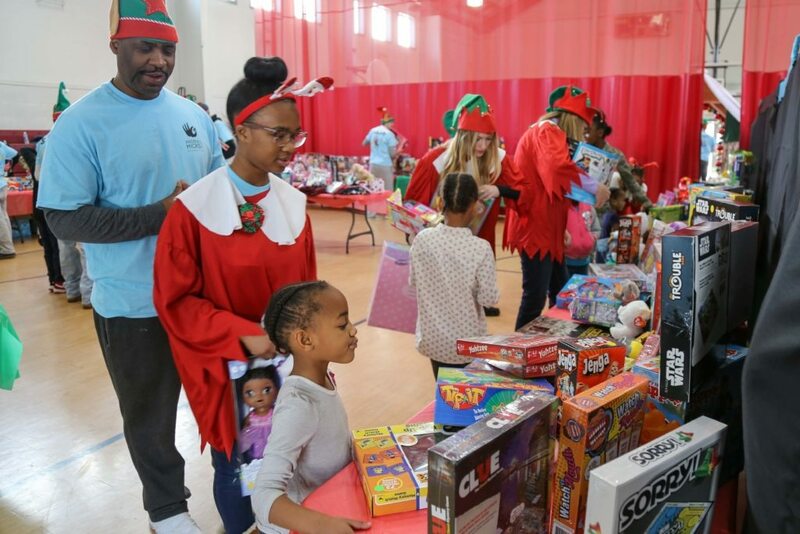 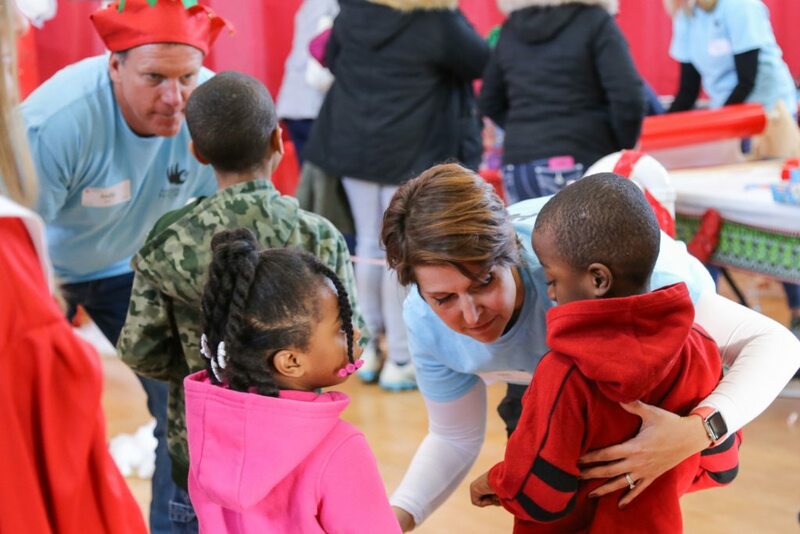 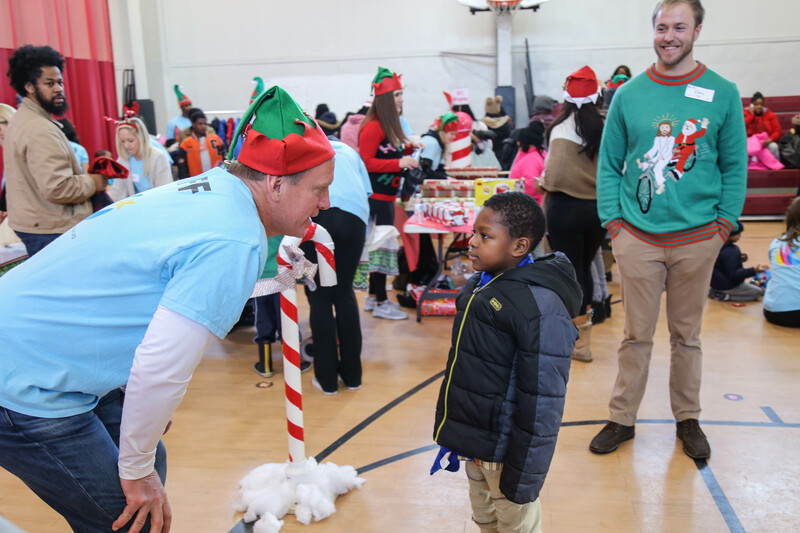 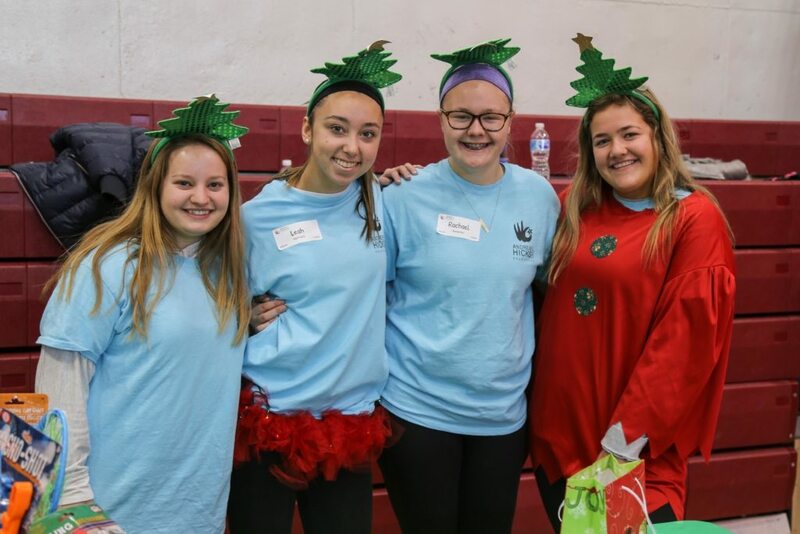 When they arrived for their allotted time slot at Chester Community Charter School‘s gym, they were welcomed by wonderful Christmas decorations, as well as a beautiful cottage built for us by this years Toy Store sponsor, Hazley Builders! 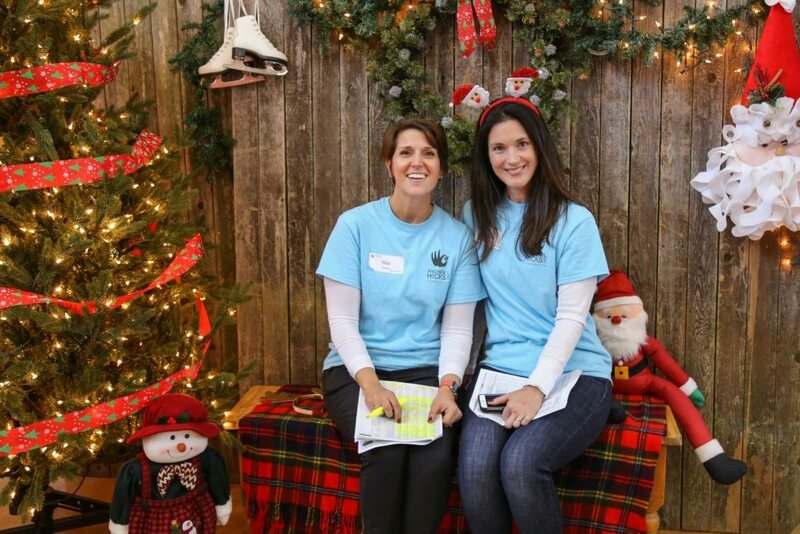 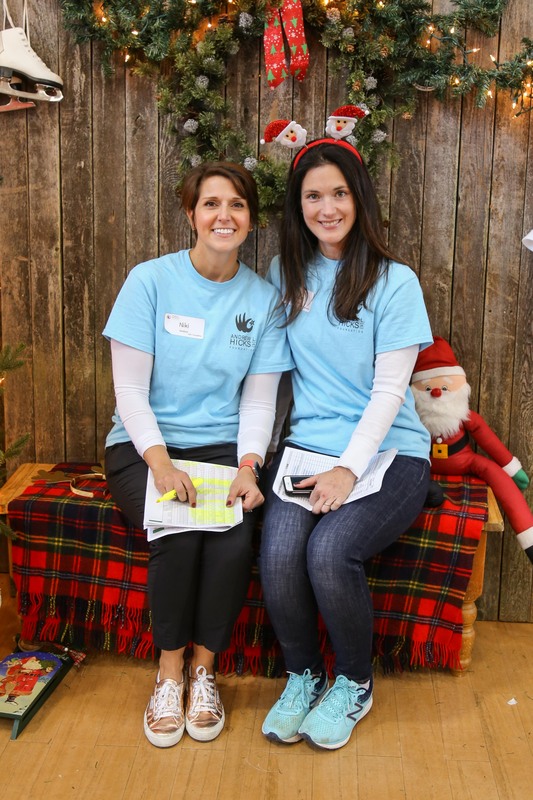 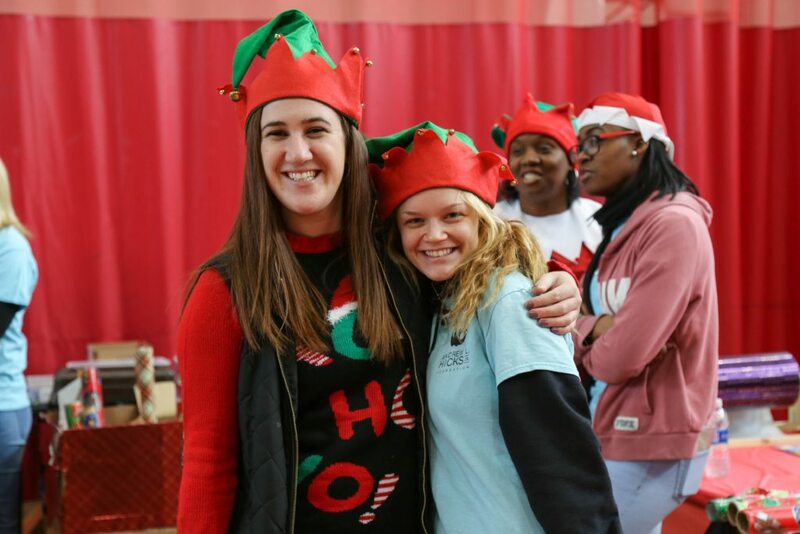 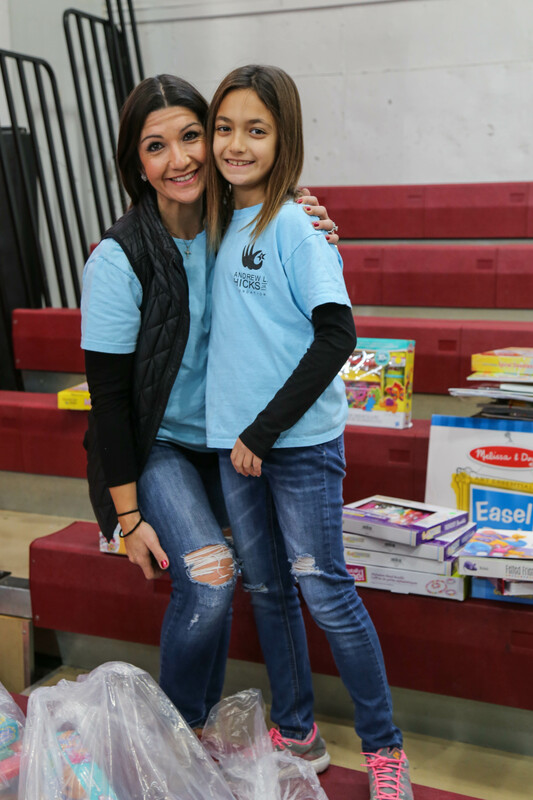 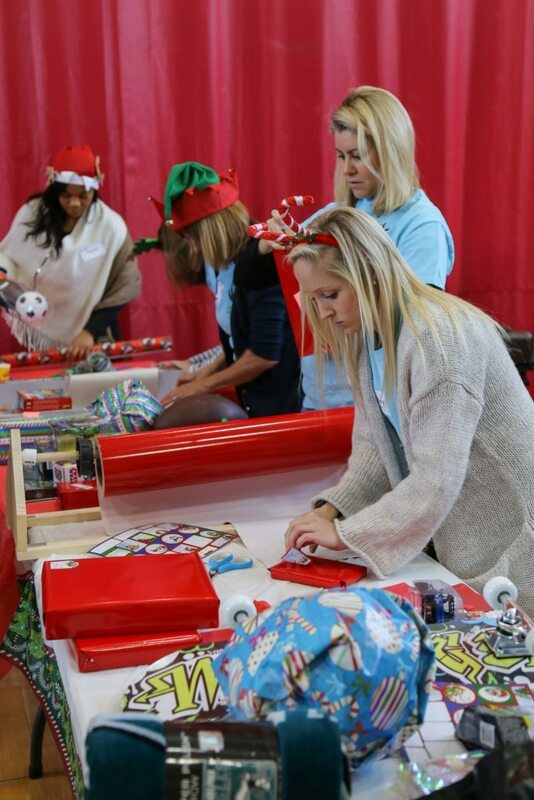 With their sponsorship as well as the hard working duo of our Program Coordinator, Julie Bernard and Program Director, Niki Goodson, this year’s Toy Store was the biggest production we’ve put on to date. 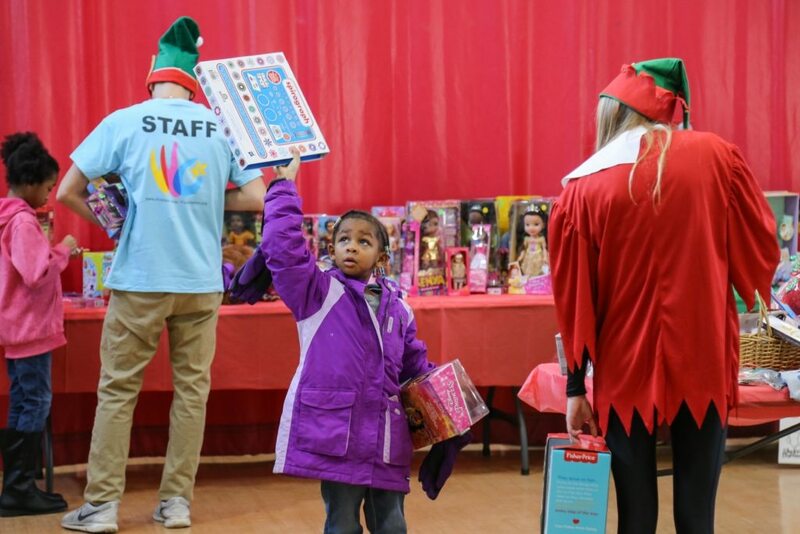 Each child that came got to “shop” in our Toy Store with their own personal shopper. 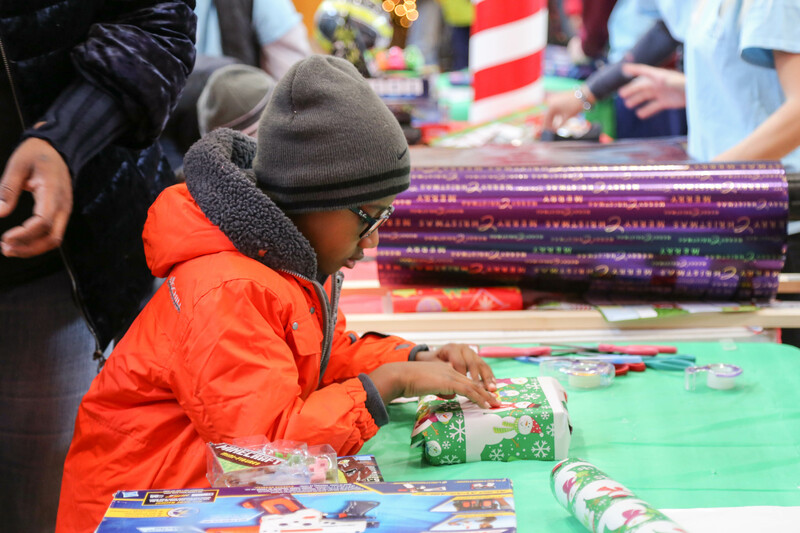 After they spent their play money, they moved on to the wrapping station, where their parents got their toy’s wrapped to put under the tree for Christmas. 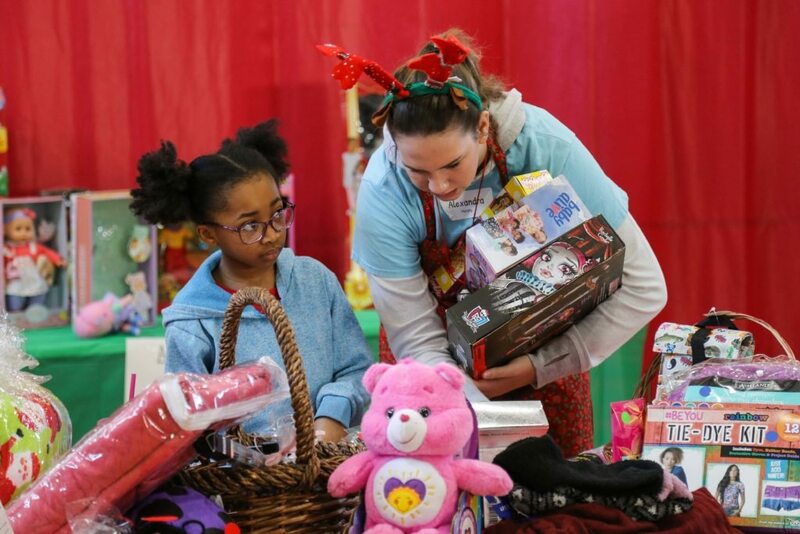 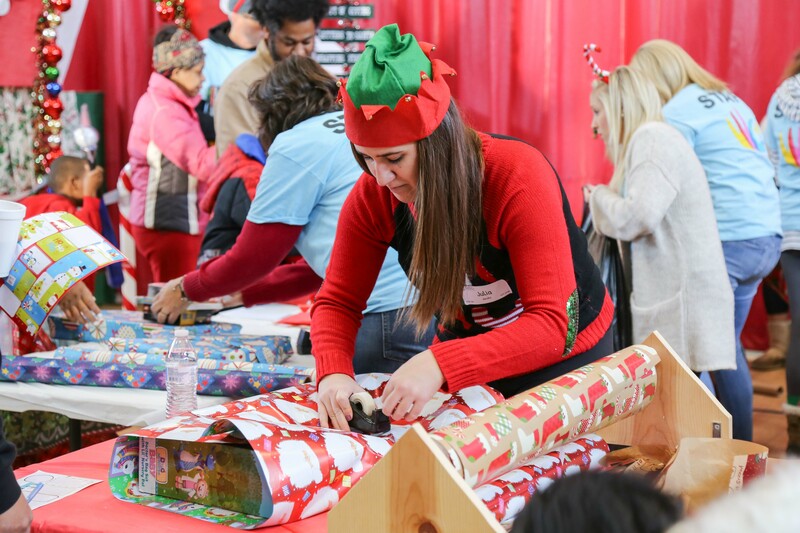 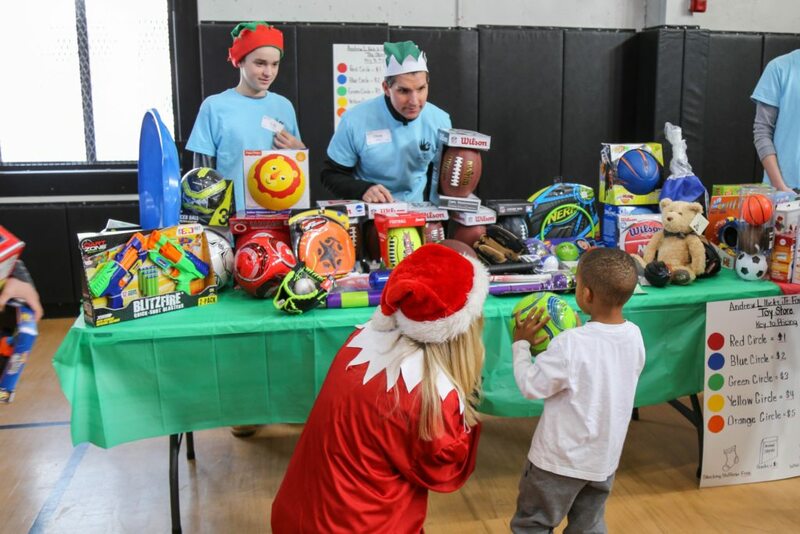 While their presents were being wrapped, the children were taken over to our “Gift of Giving” section where they could pick out toys for their loved ones and get them wrapped as well. 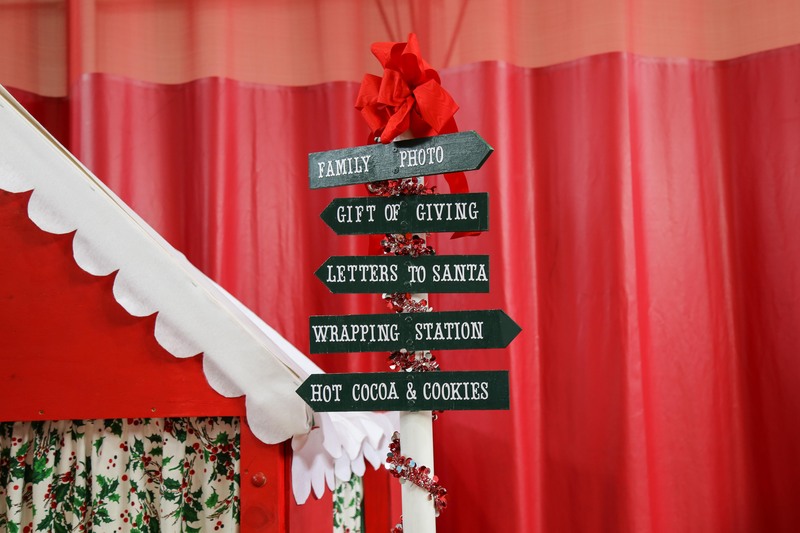 Following that, they were taken to the cookie and hot chocolate station. 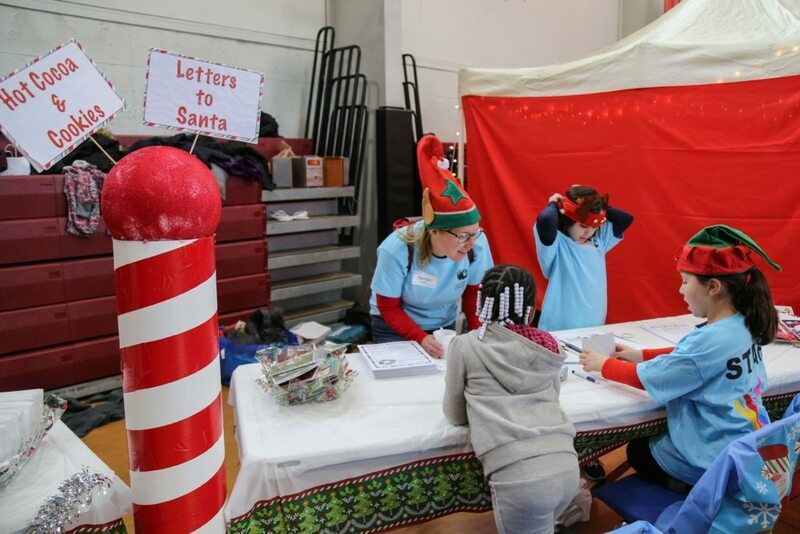 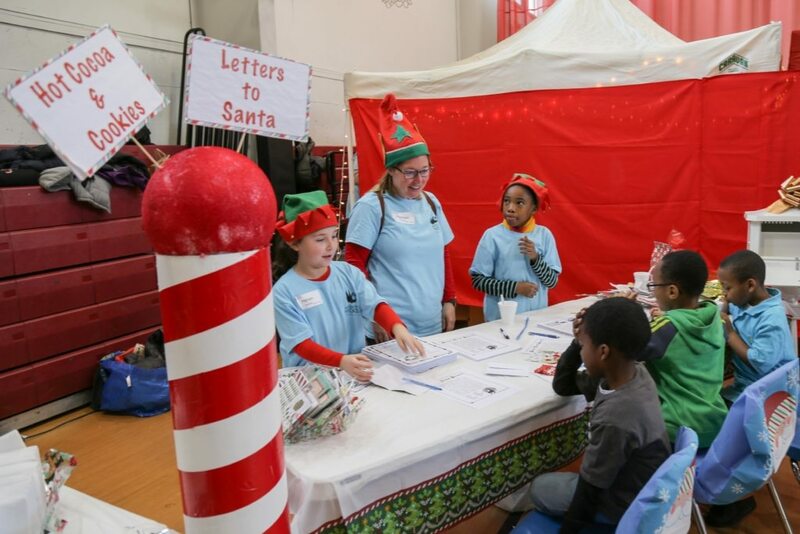 And a new addition this year was our “Letters to Santa” area where the children could write letters to Santa as well as make Christmas cards for friends and family. 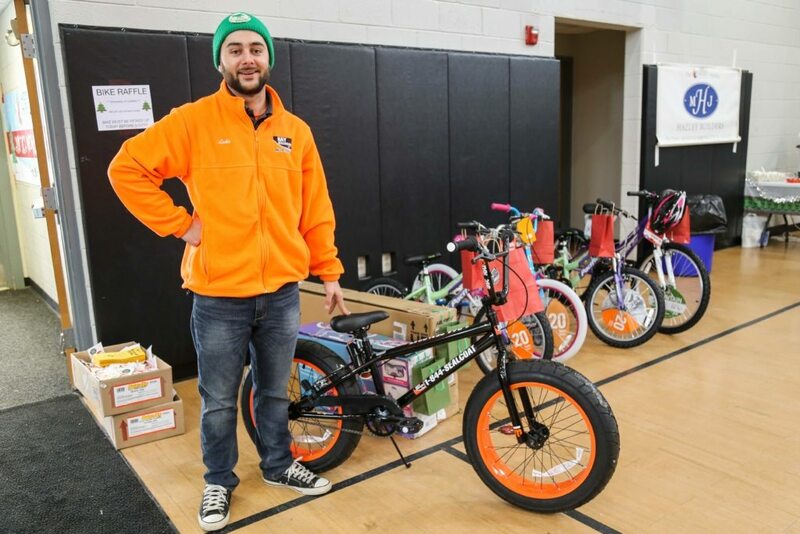 Another new addition this year was the amazing Bike Raffle organized by Hay Sealcoating! 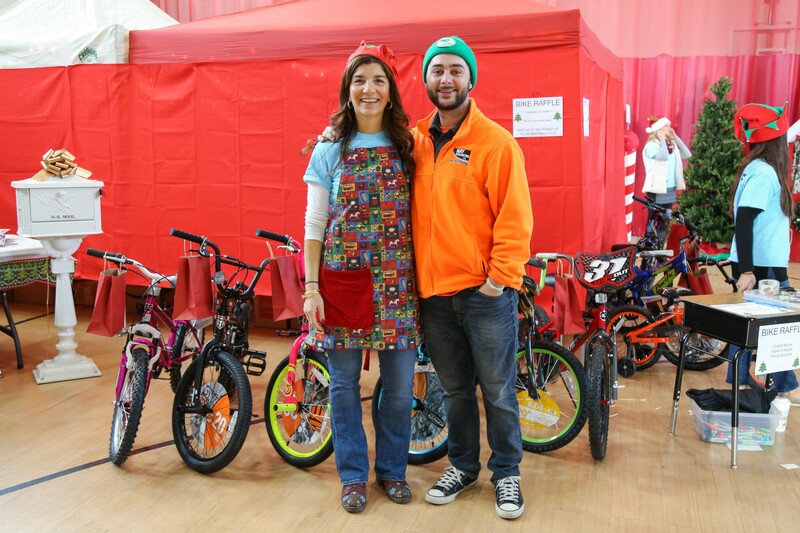 They collected 16 brand new bikes and brought them to the store to be raffled off to 16 lucky children. We were so grateful for this wonderful unprompted addition, and look forward to working with them in the future! 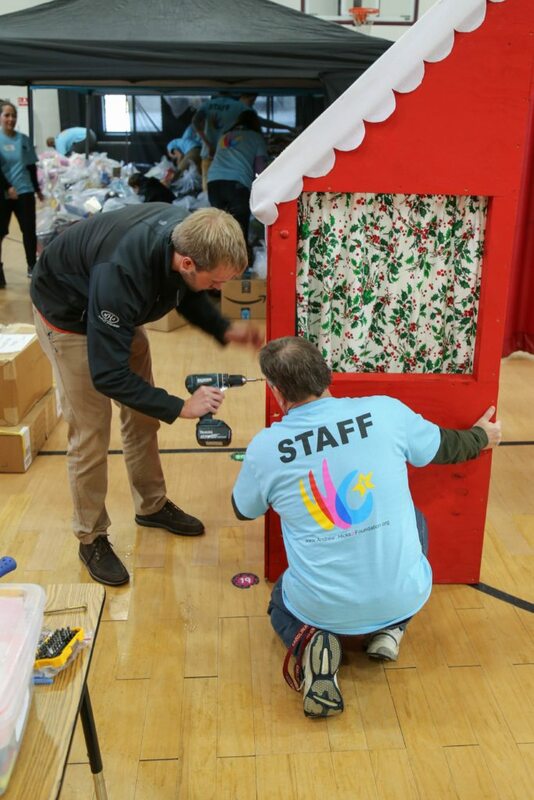 This whole large under taking of an event was mostly thanks to our 120+ volunteers who worked tirelessly in three hour shifts through out the day. Their Christmas spirit and heartless volunteering made the day go so smoothly and we are so thankful for them giving up time to spend a Saturday morning with us!